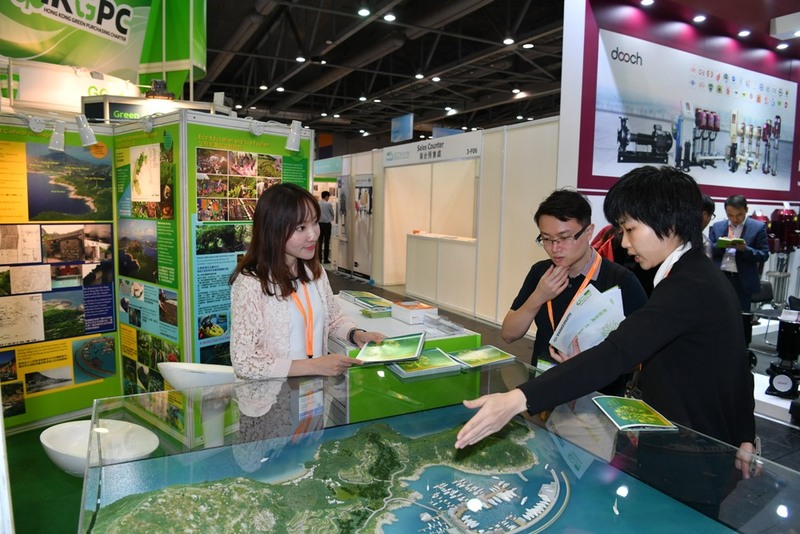 Eco Expo Asia – International Trade Fair on Environmental Protection. 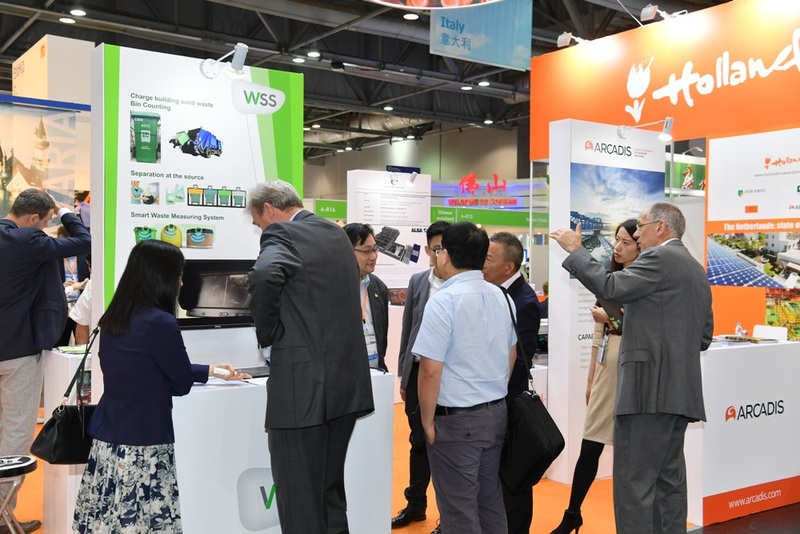 Eco Expo Asia 2017 announces record-breaking exhibitor and visitor numbers with an elevated international participation. 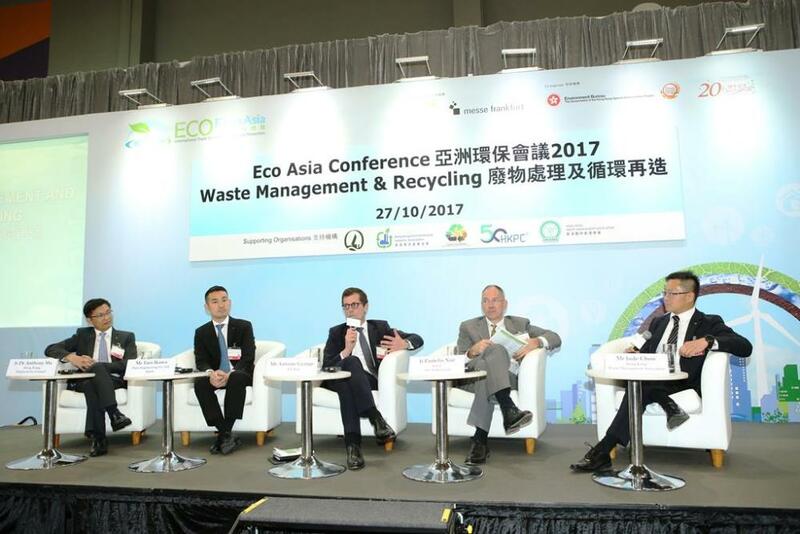 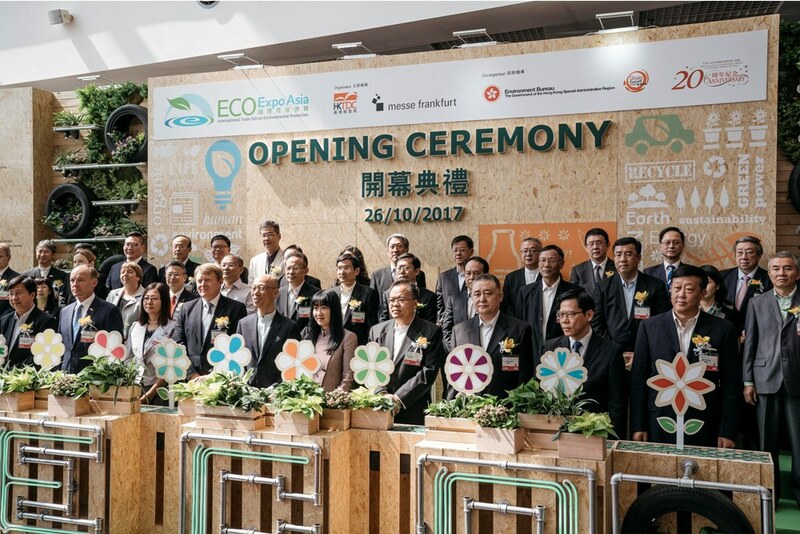 The 12th edition of Eco Expo Asia, held from 26 ‒ 29 October 2017 at AsiaWorld-Expo, Hong Kong, concluded with record-breaking numbers. 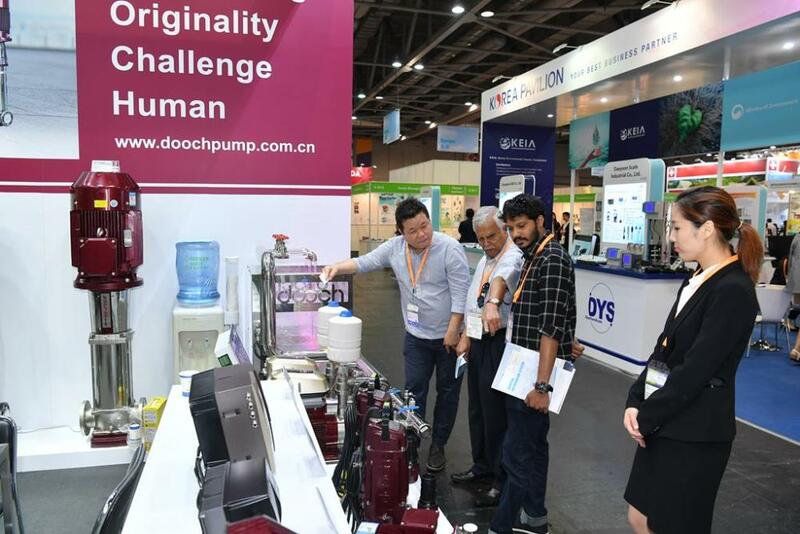 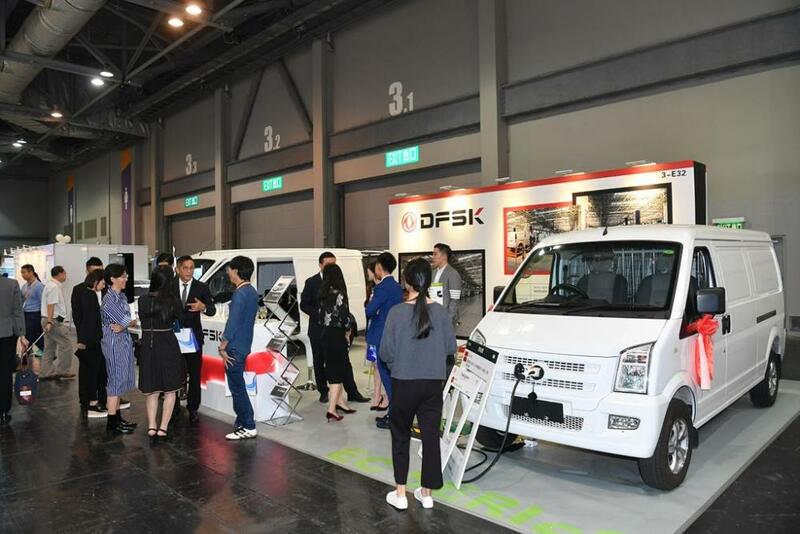 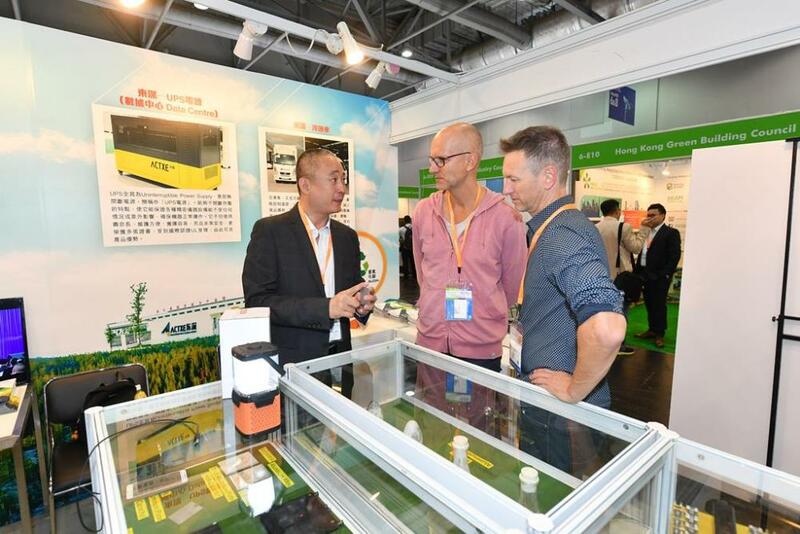 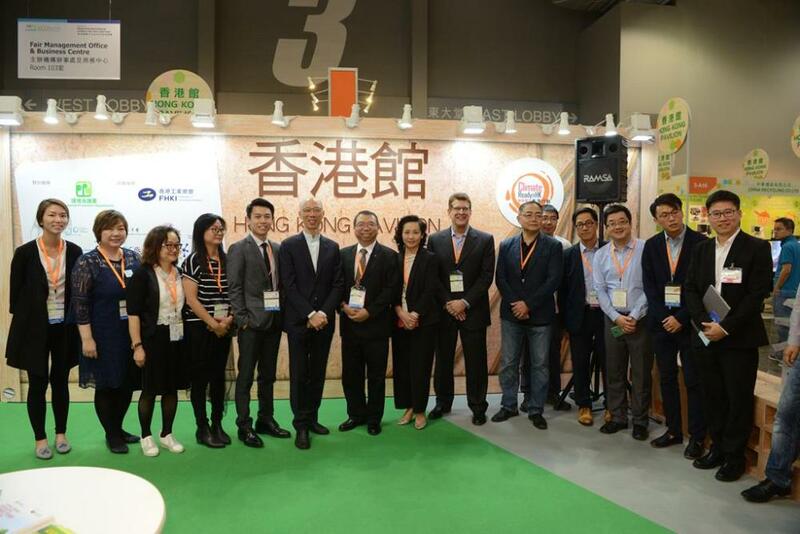 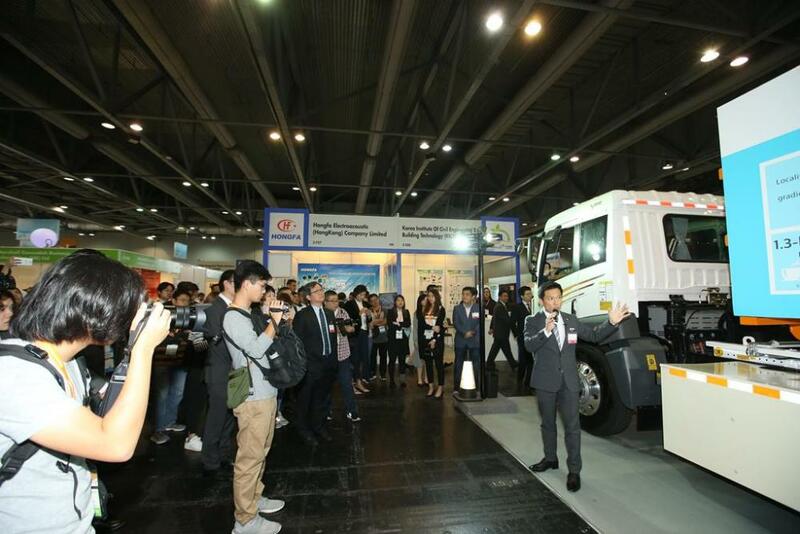 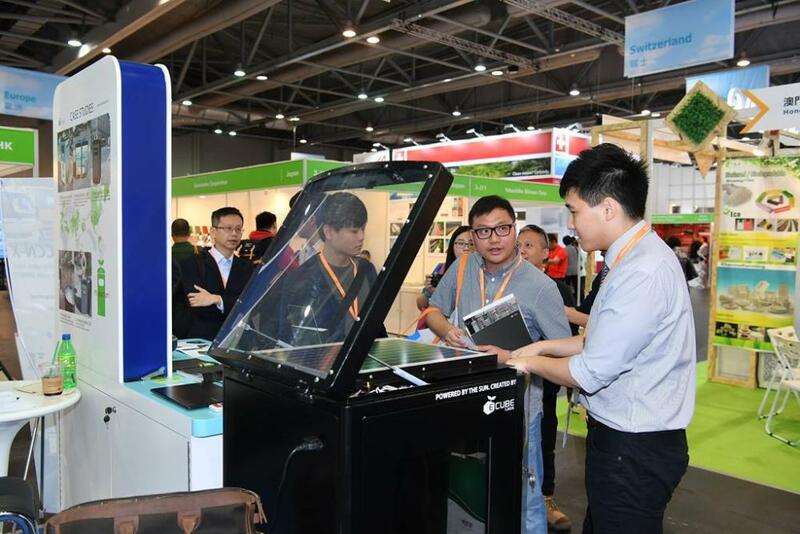 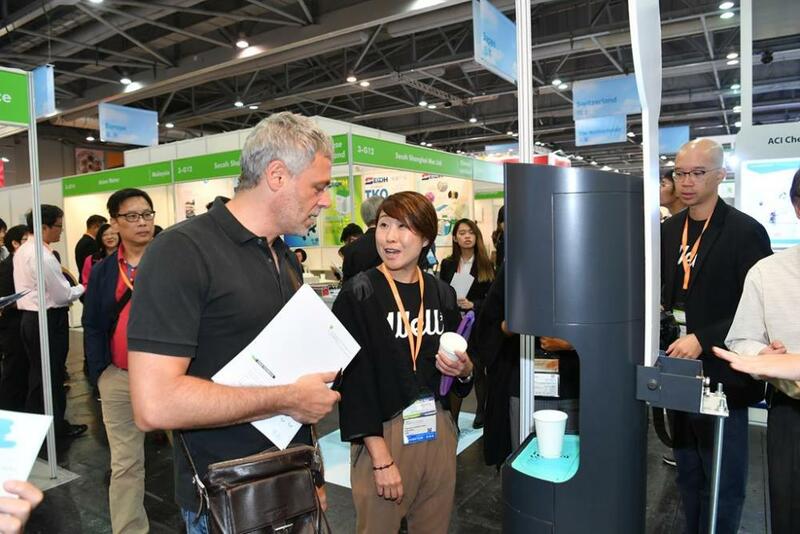 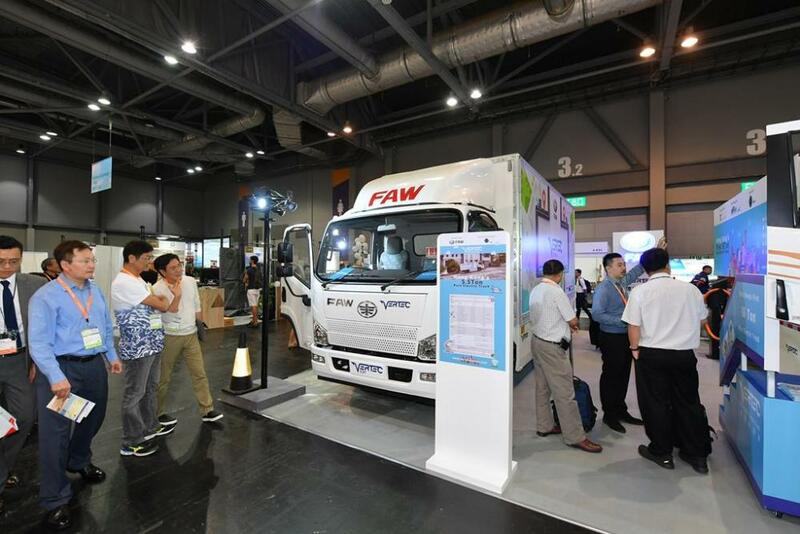 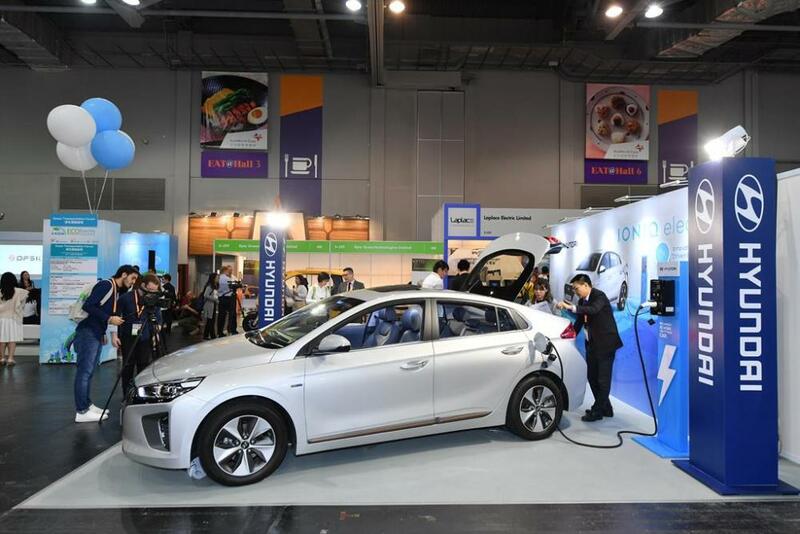 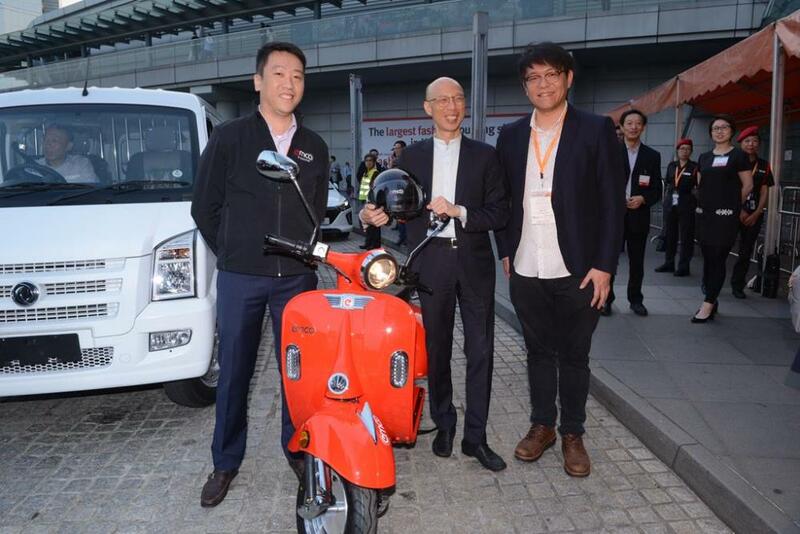 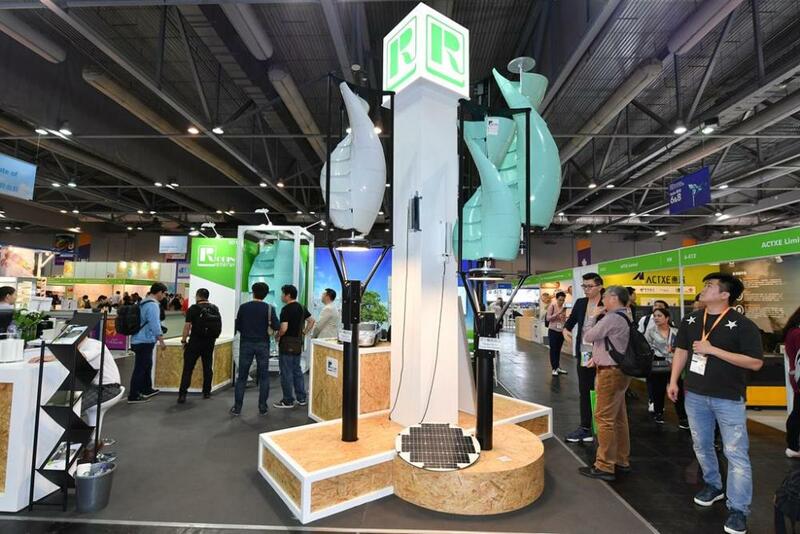 The expo was jointly organised by Messe Frankfurt (HK) Ltd and the Hong Kong Trade Development Council (HKTDC), and co-organised by the Environment Bureau of the Government of Hong Kong Special Administrative Region. 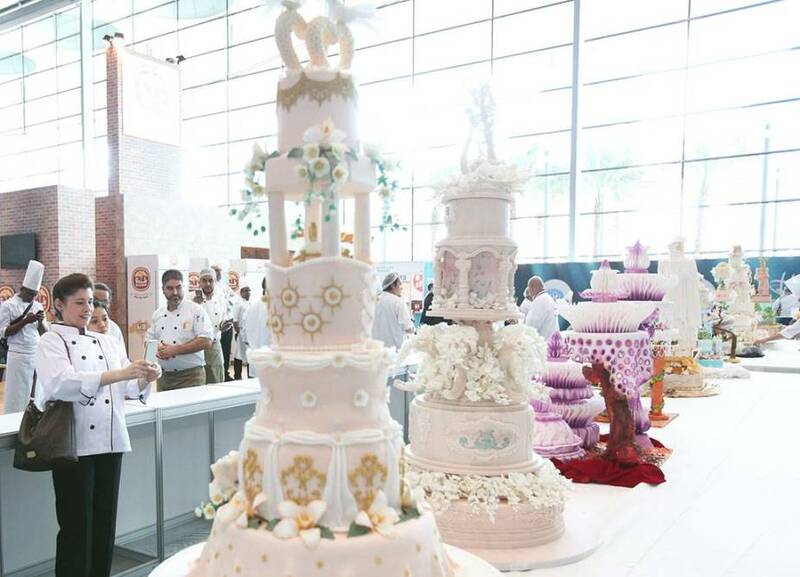 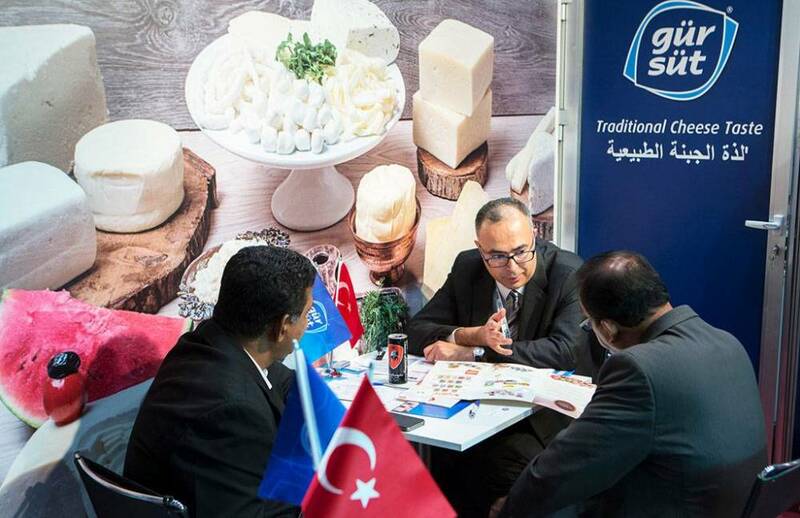 The four-day fair welcomed 335 exhibitors from 18 countries and regions, including 16 overseas and local pavilions and group participations. 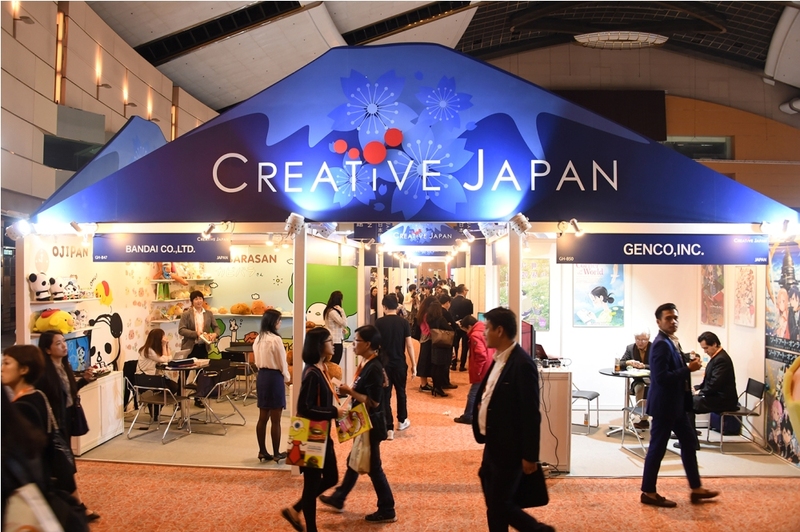 The 2017 edition saw a record number of 14,029 visitors from more than 100 countries and regions, a 4% increase from last year. 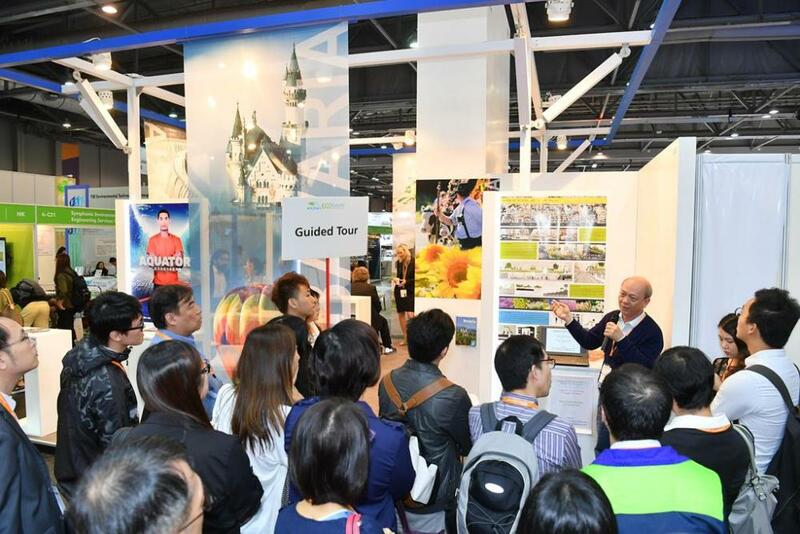 There was also a noteworthy 30% increase in overseas visitors at the fair which emphasises the strong international status that Hong Kong enjoys as well as Eco Expo Asia’s position as a global platform for the environmental protection industry. 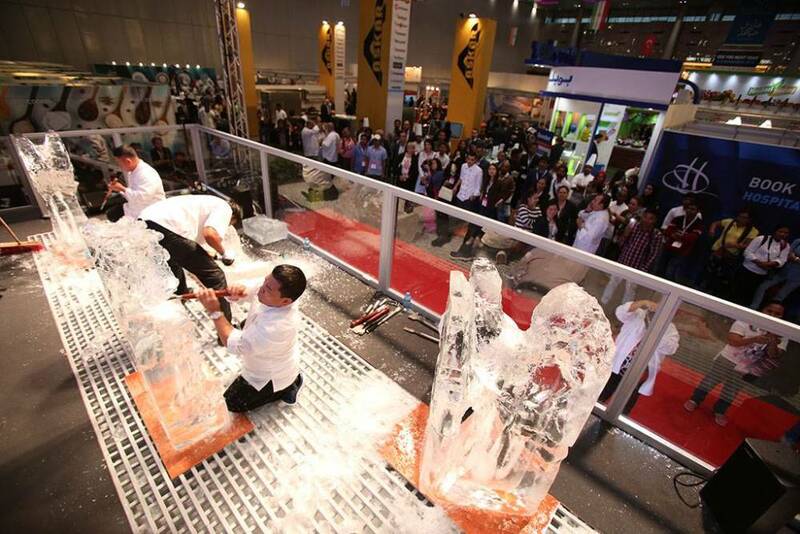 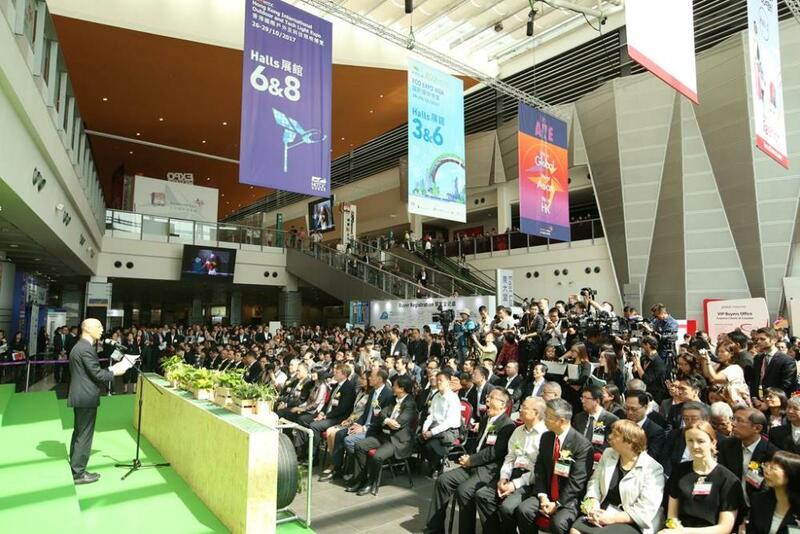 Eco Expo Asia embraced a theme of ‘Innovative Solutions for Greener Cities’. 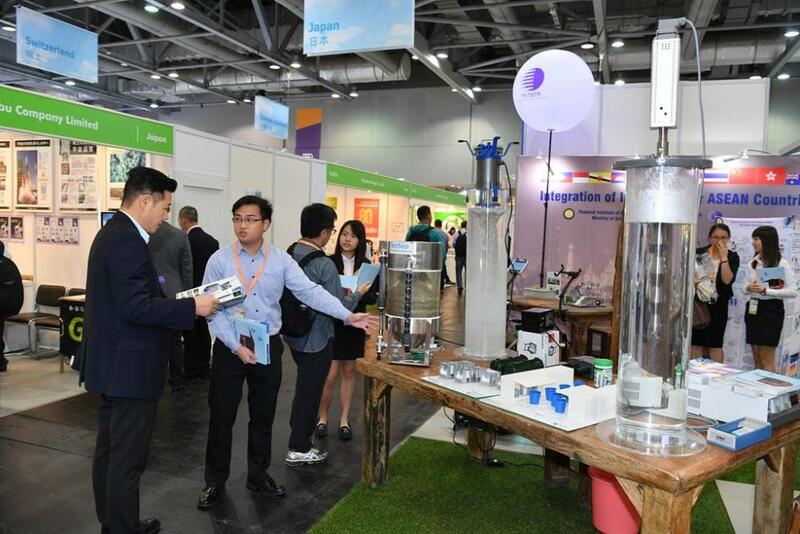 Highlighted product categories included Green Buildings and Energy Efficiency, Green Transportation, Waste Management and Recycling, as well as Water Treatment and Quality Management. 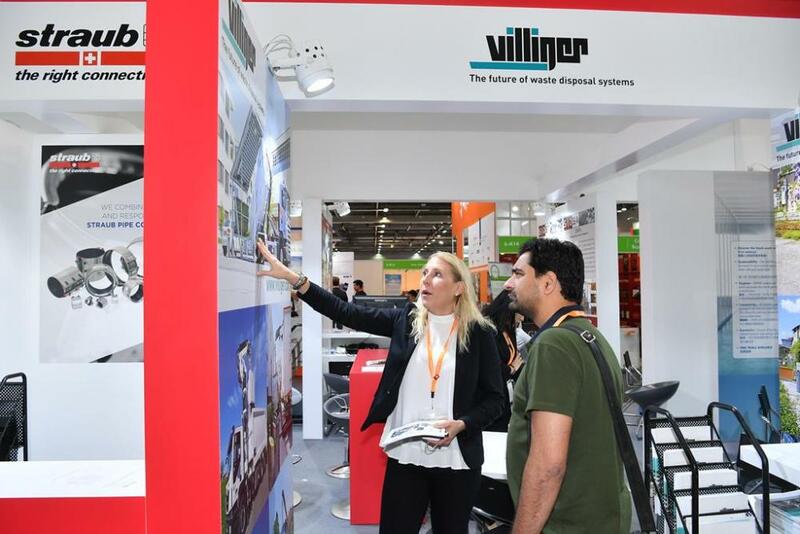 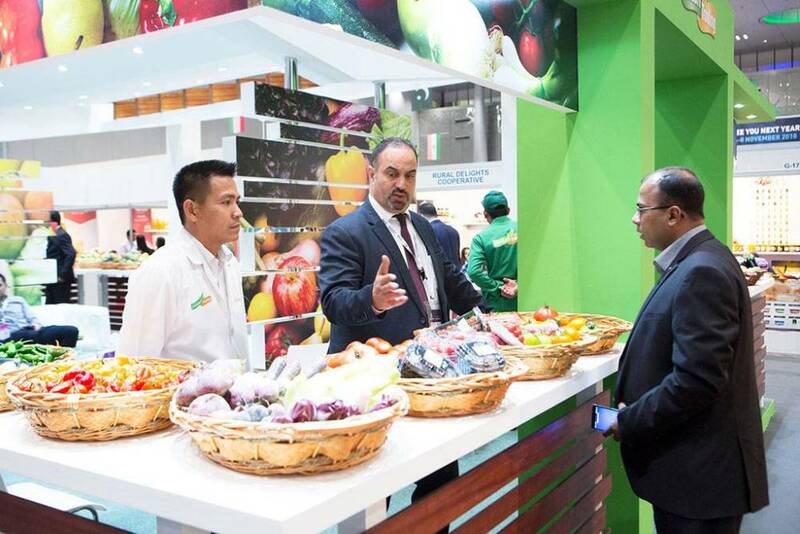 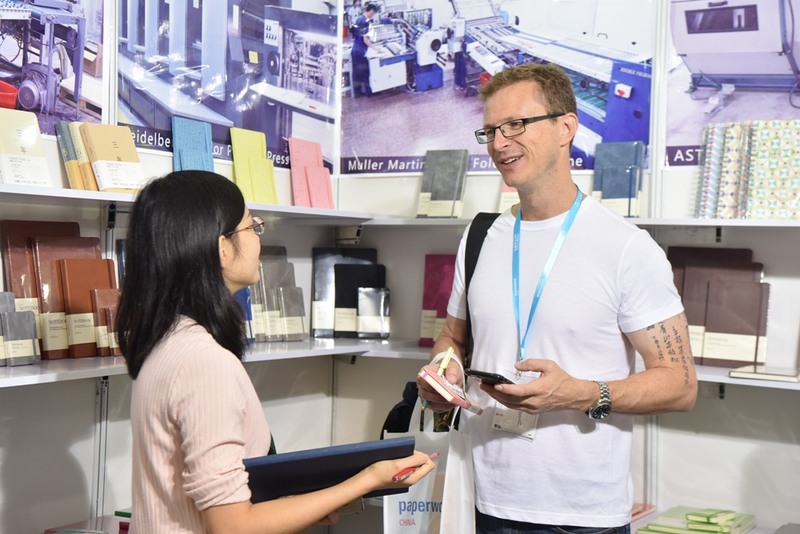 The fair provided an exceptional opportunity for the industry to not only learn about new trends and developments but also to explore new relationships and do business. 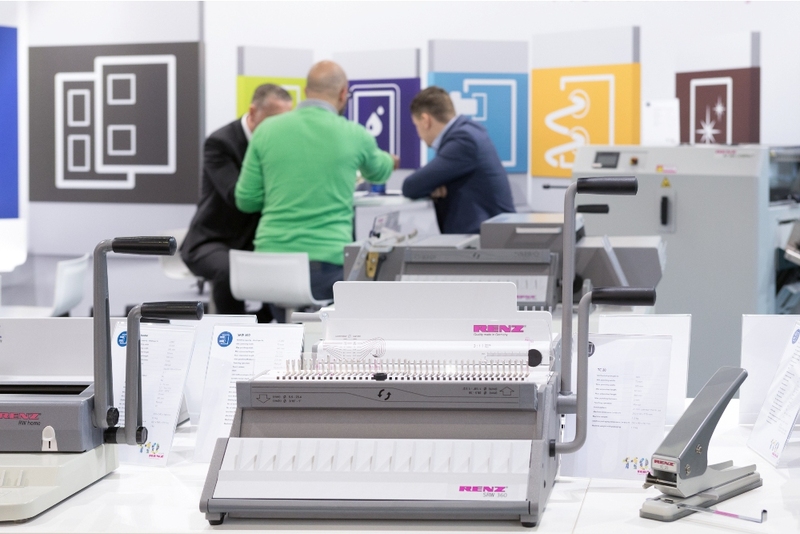 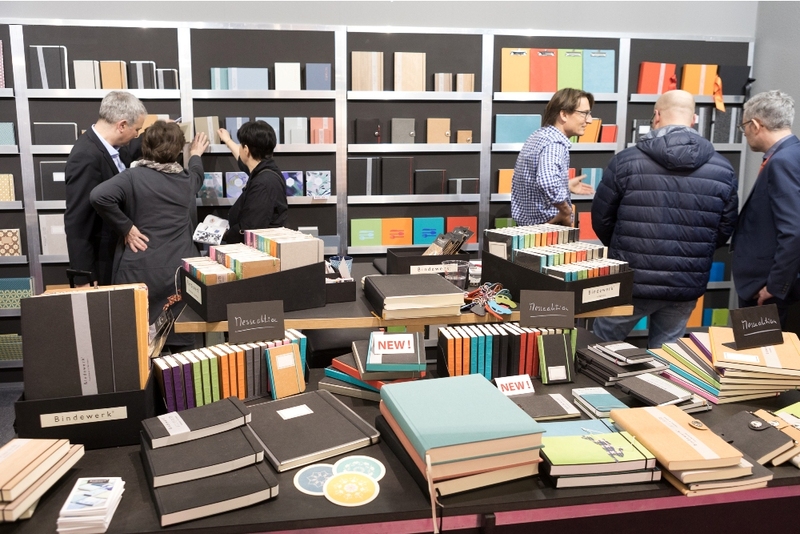 Paperworld 2019 Offers the World’s Biggest Range for the Office Sector (Commercial Office) and the Stationery Sector (Paper, School and Stationery Products for Private Use). 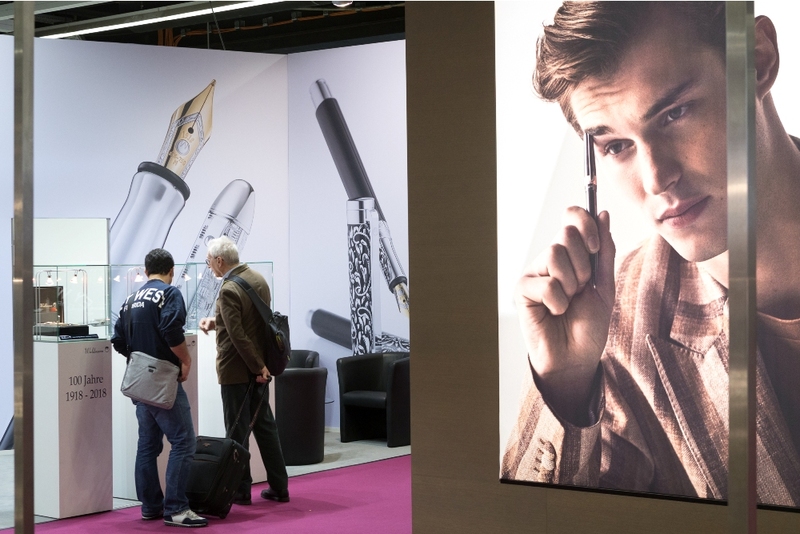 Read everything about the facts and figures on Paperworld and find out more about the largest office and stationery trade fair in the world. 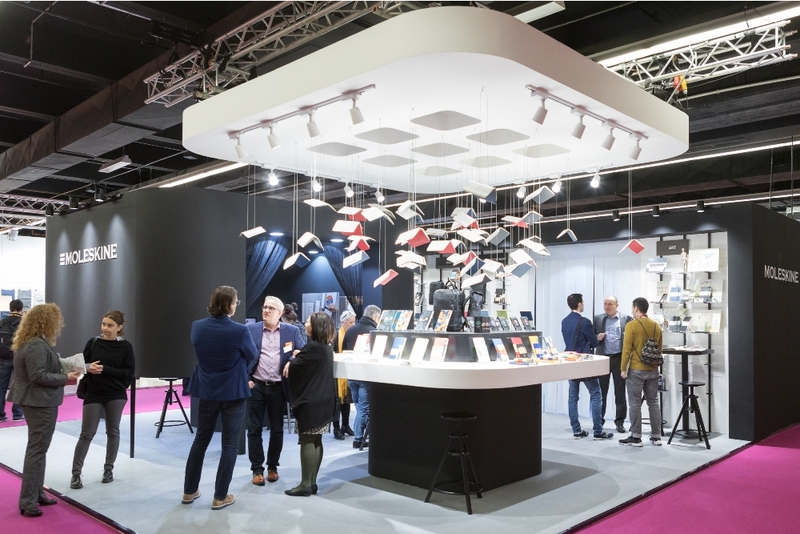 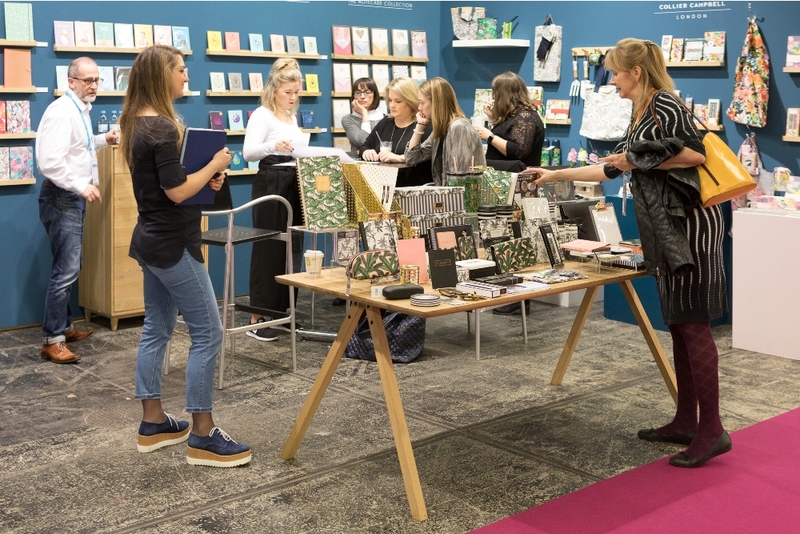 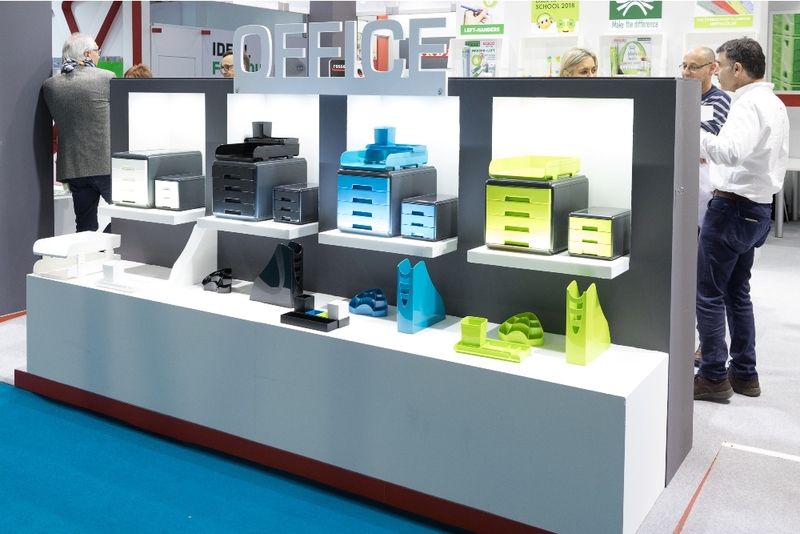 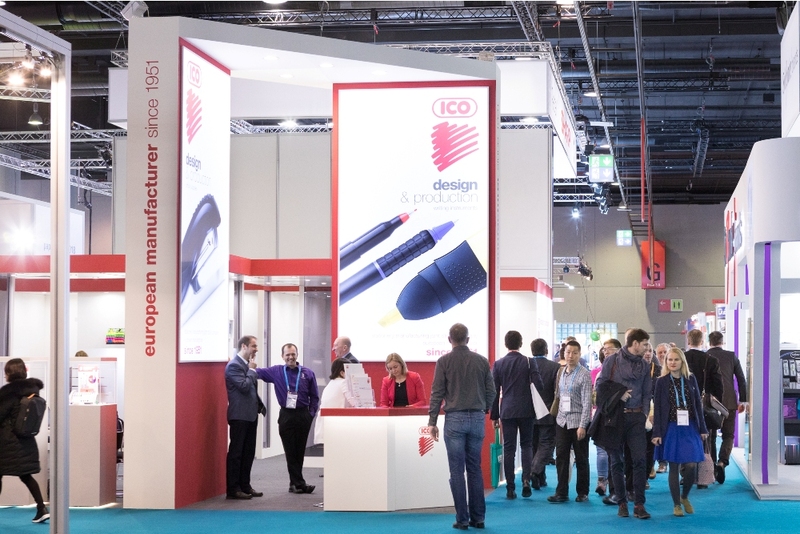 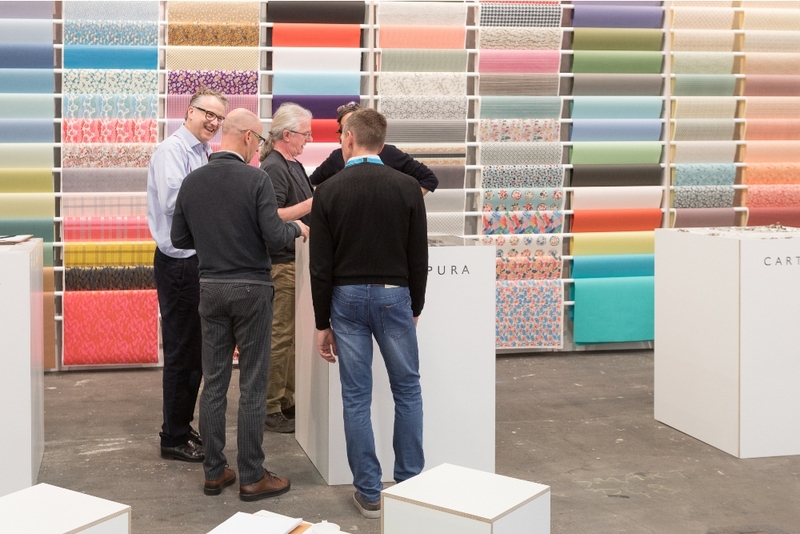 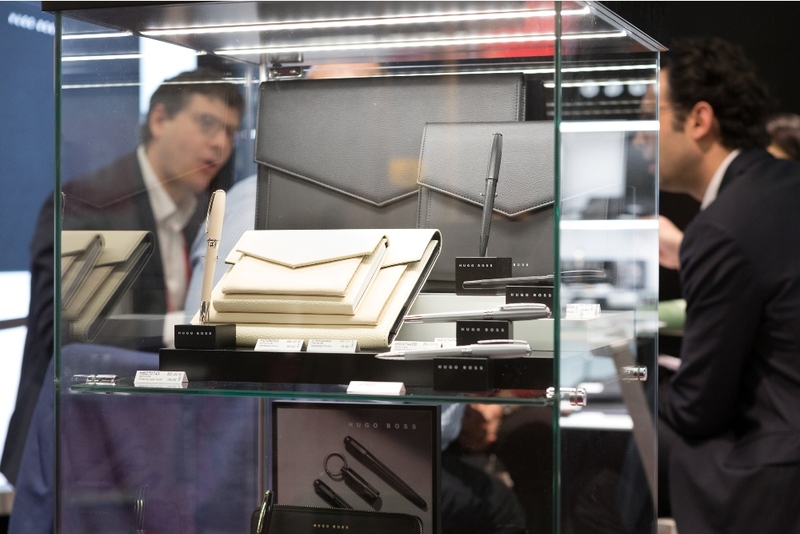 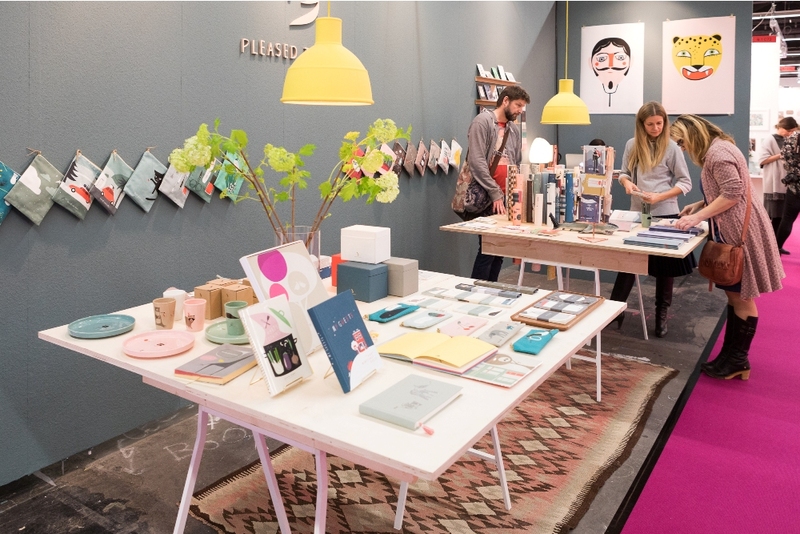 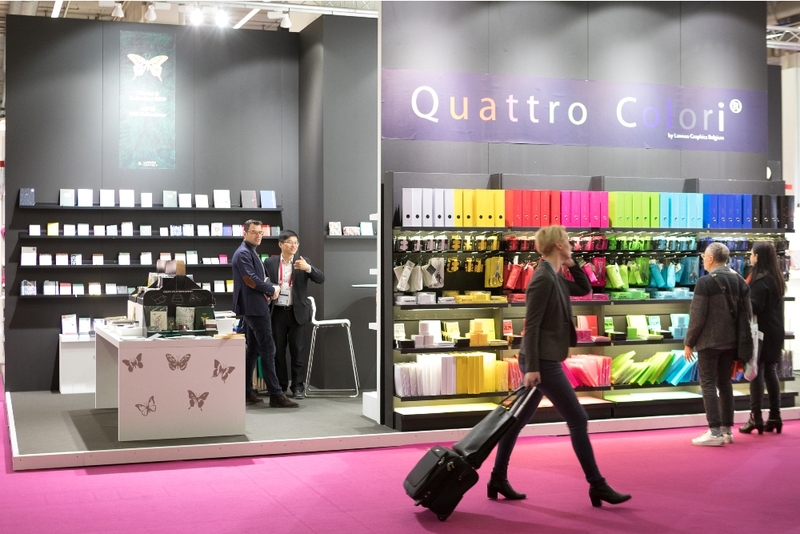 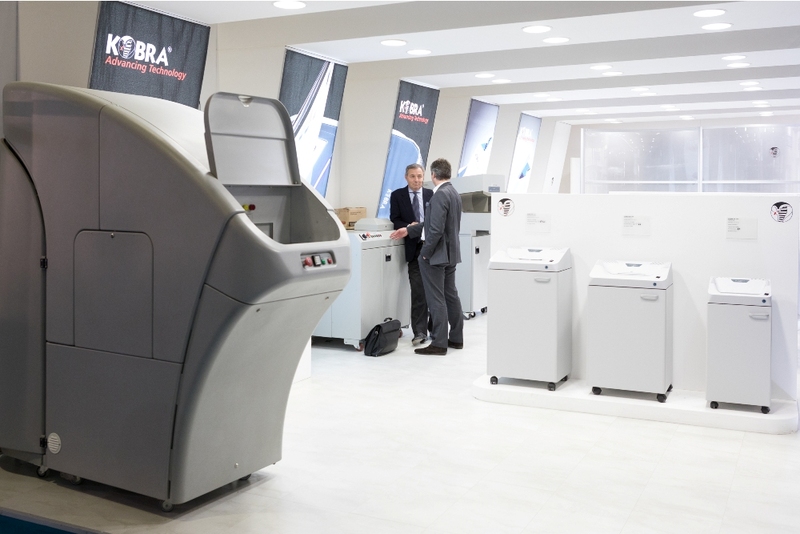 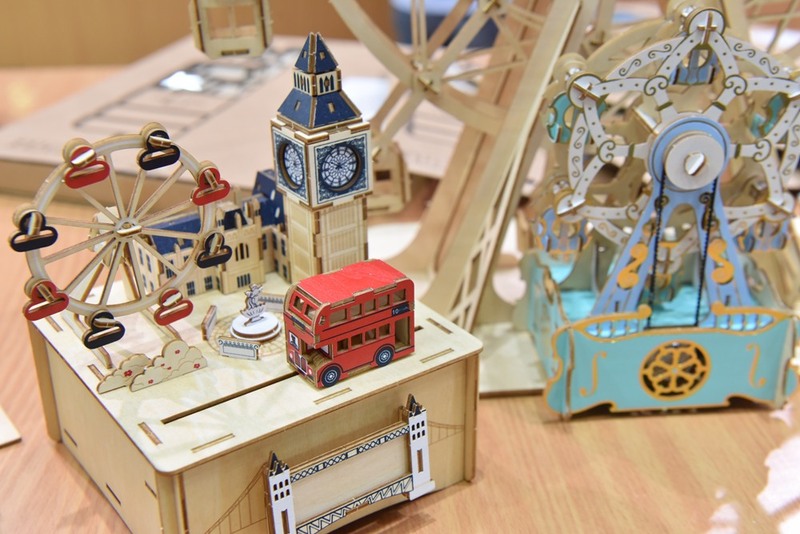 Following further growth on both the exhibitor and visitor sides at Paperworld 2018, the fair will expand its position as the pioneering event for the paper, office supplies and stationery sector In 2019, the international trade fair will sharpen its focus on the visionary office and stationery trends with a new hall concept. 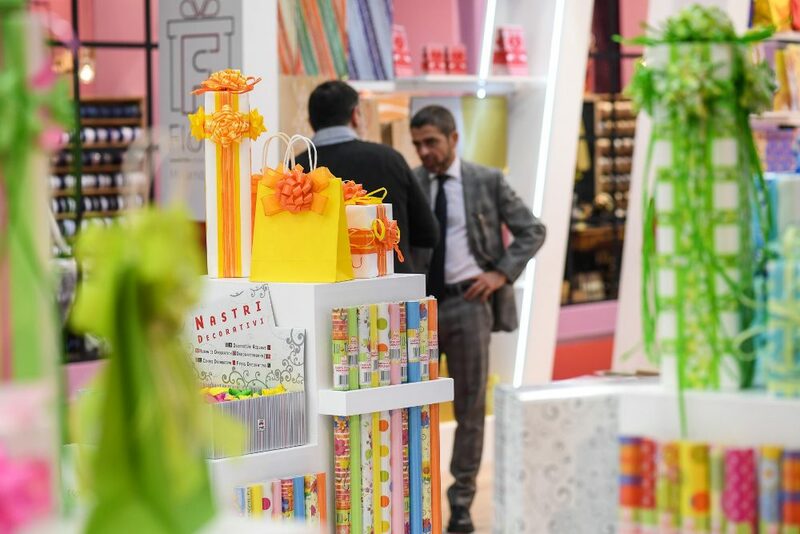 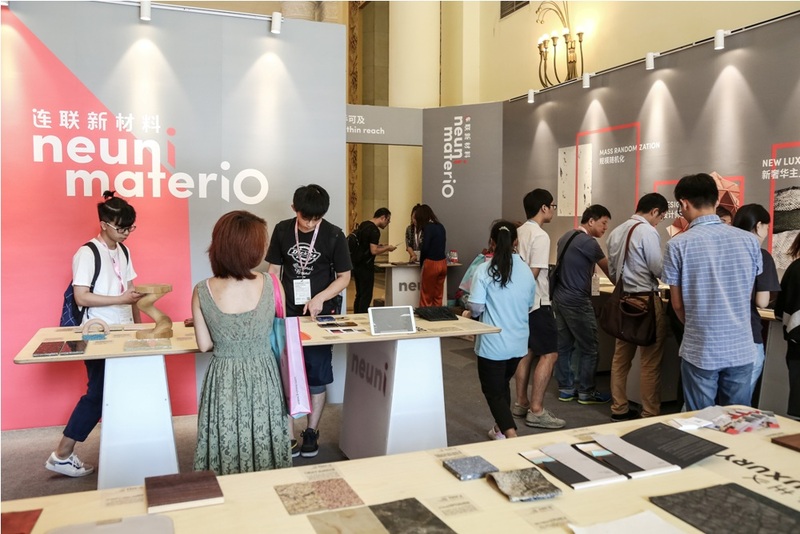 Over 1,600 of the world’s leading manufacturers and innovative start-ups will show what the future holds for the modern office and the private paper and stationery sector in seven exhibition hall. 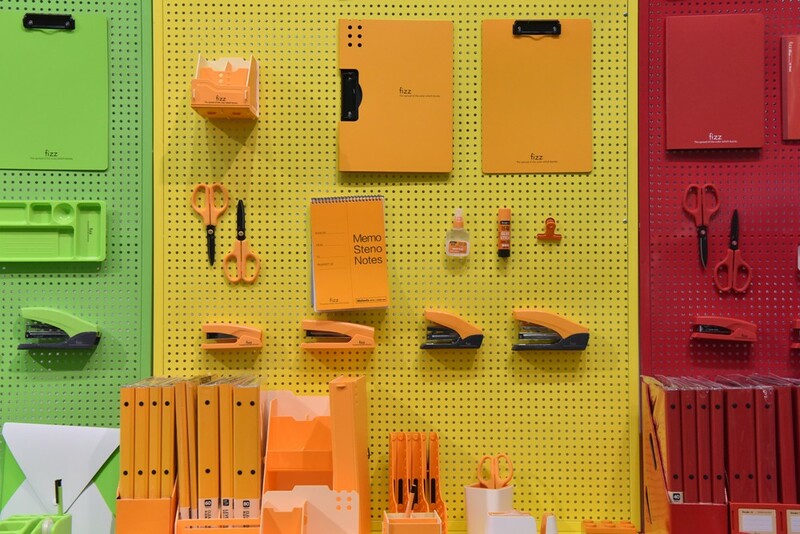 At Paperworld, everything related to stationery, office supplies and writing instruments is divided into the two areas the visionary office and the stationery trends: Office covers commercial office supplies, while Stationery concerns paper and stationery products for private use. 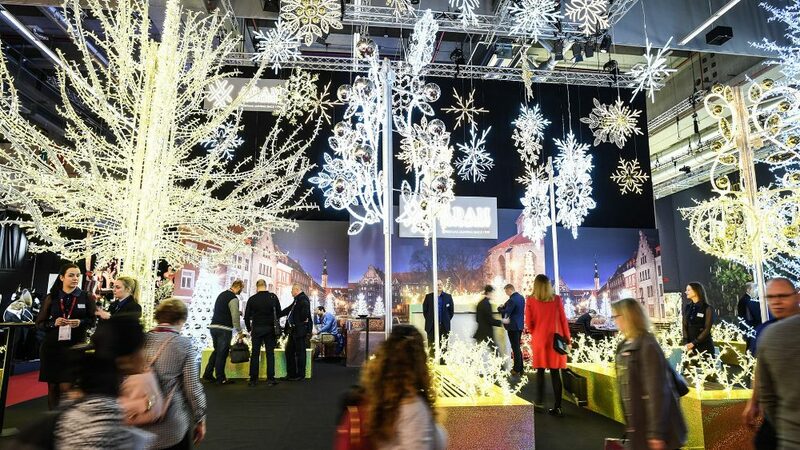 Christmasworld: International Trade Fair for Seasonal and Festive Decorations Christmasworld is the world’s biggest trend and order platform for the international seasonal and festive decoration sector – and therefore the perfect B2B trade fair for a great start to the new business season. 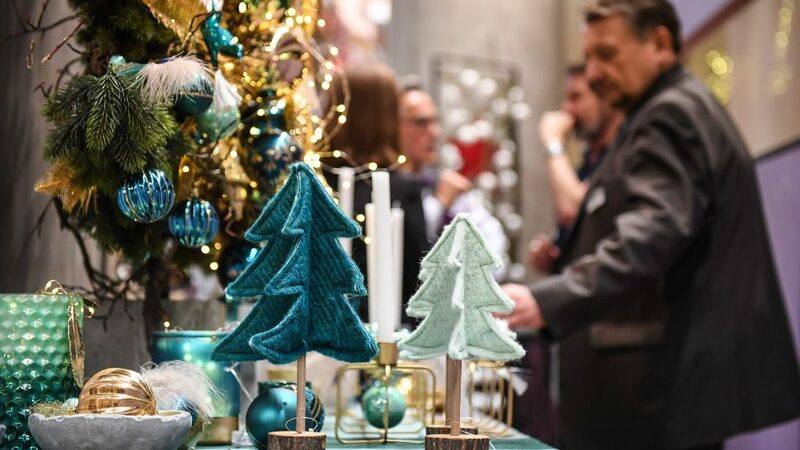 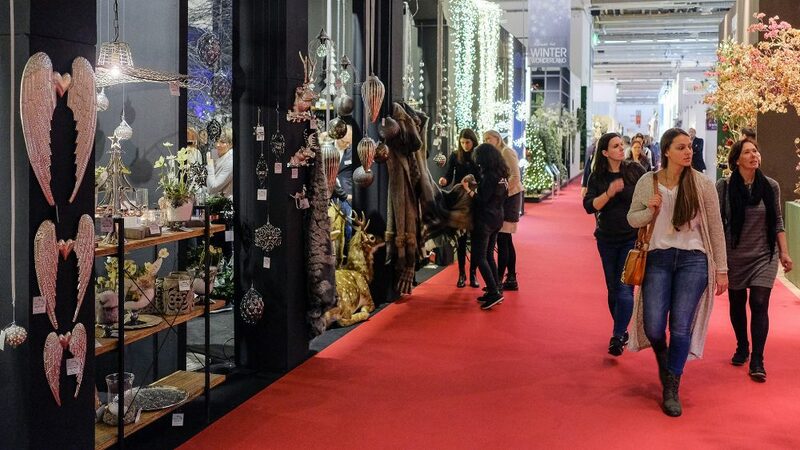 Christmasworld in Frankfurt am Main brings together manufacturers and retailers, as well as major commercial buyers from all over the world. 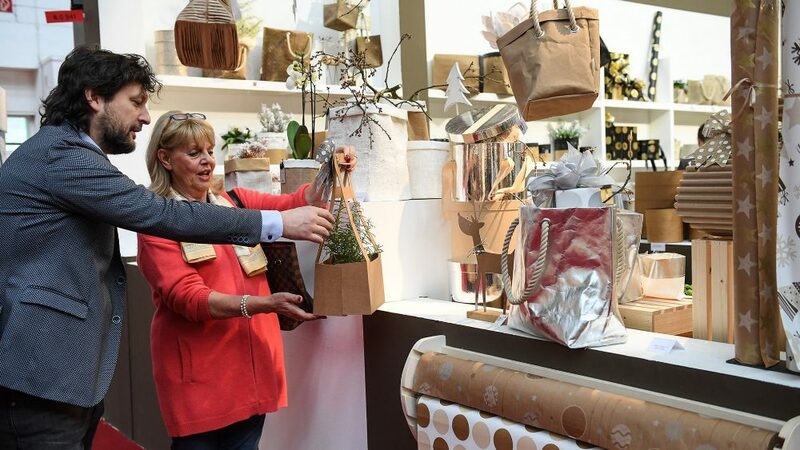 Find out more about the complete spectrum to be seen at Christmasworld. 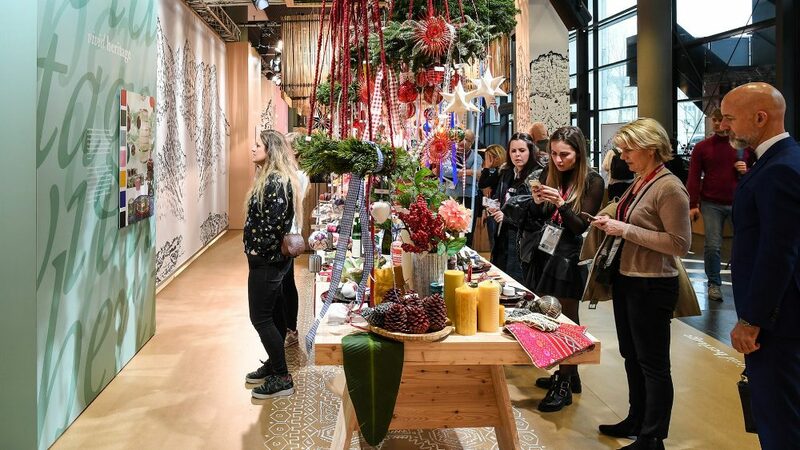 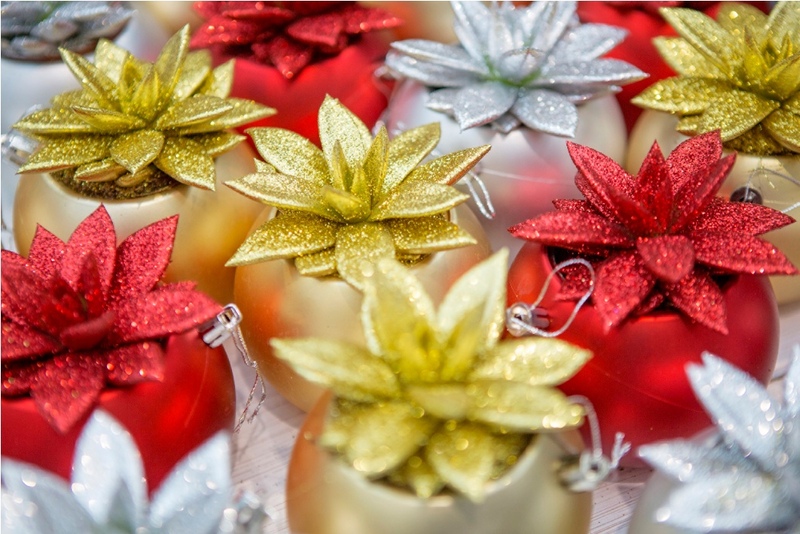 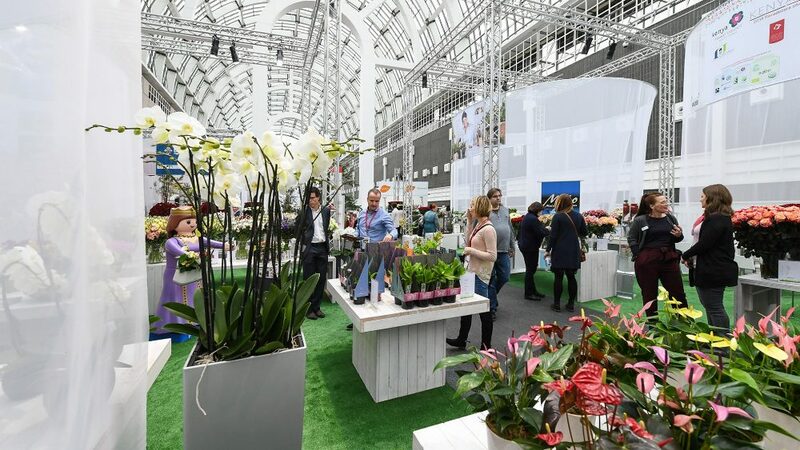 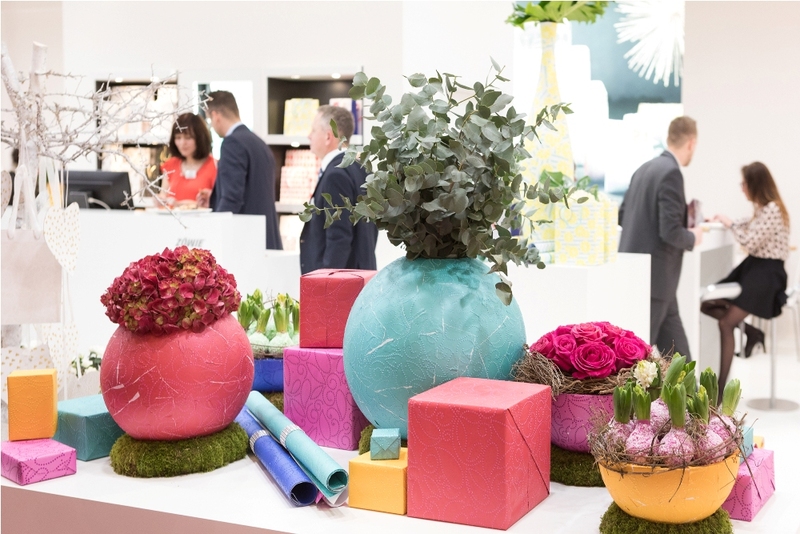 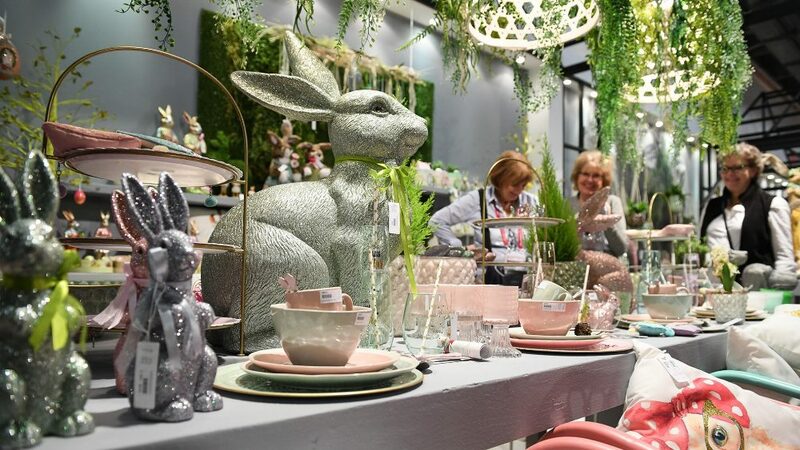 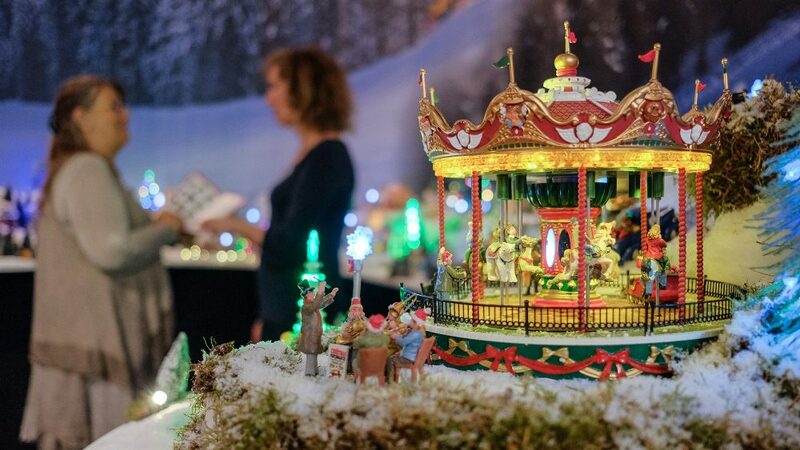 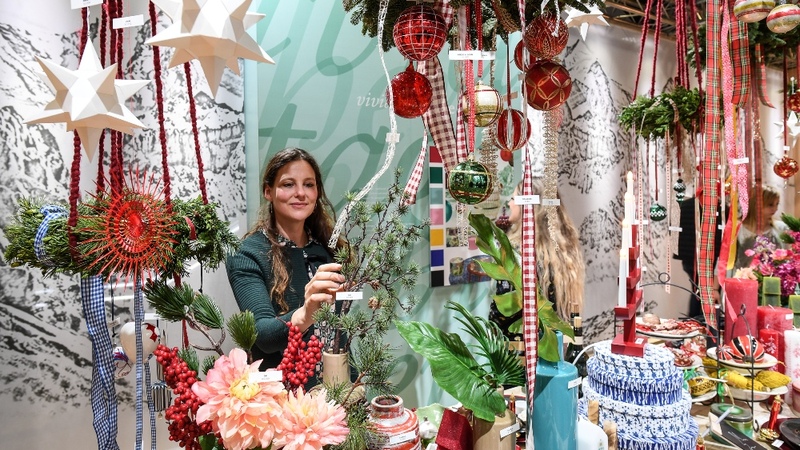 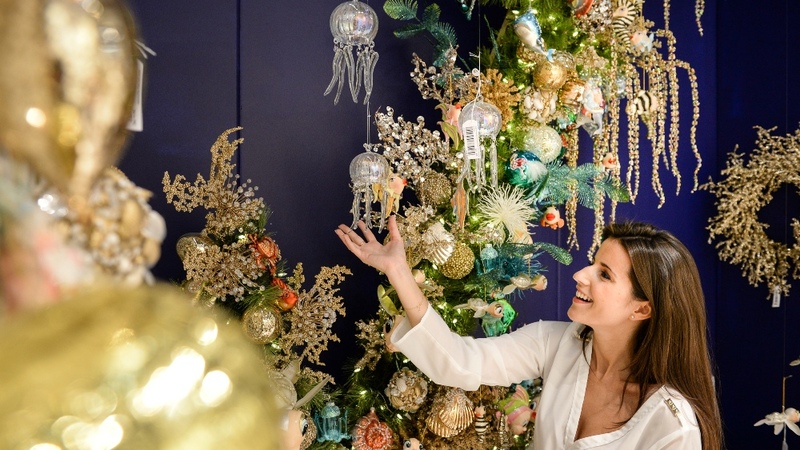 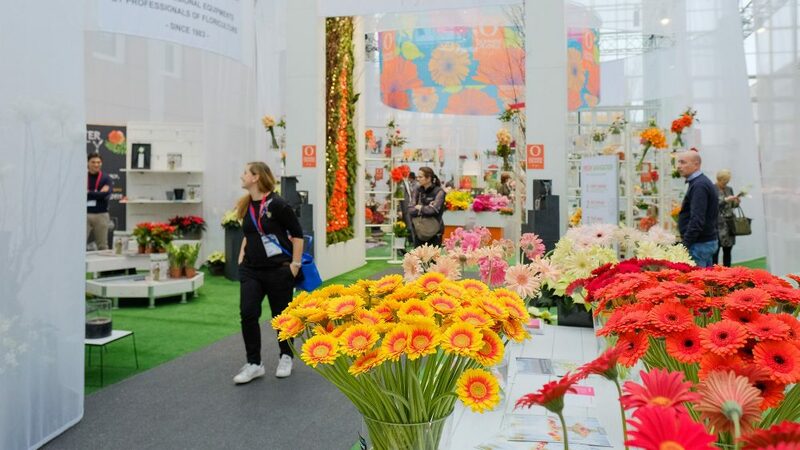 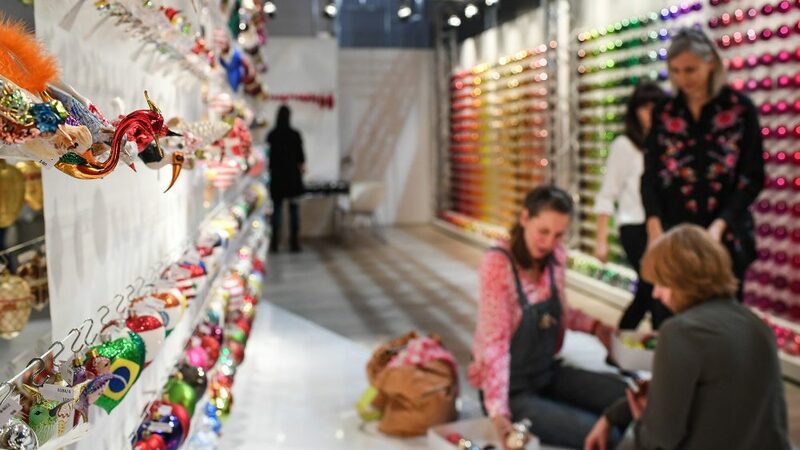 At Christmasworld and Floradecora, 1,047 exhibitors from 43 countries presented their product innovations and fresh sales concepts for festive and seasonal decorations, as well as fresh flowers and plants. 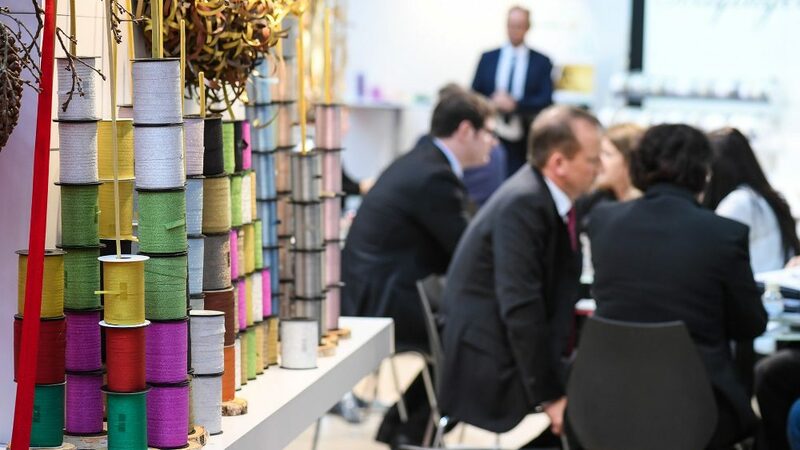 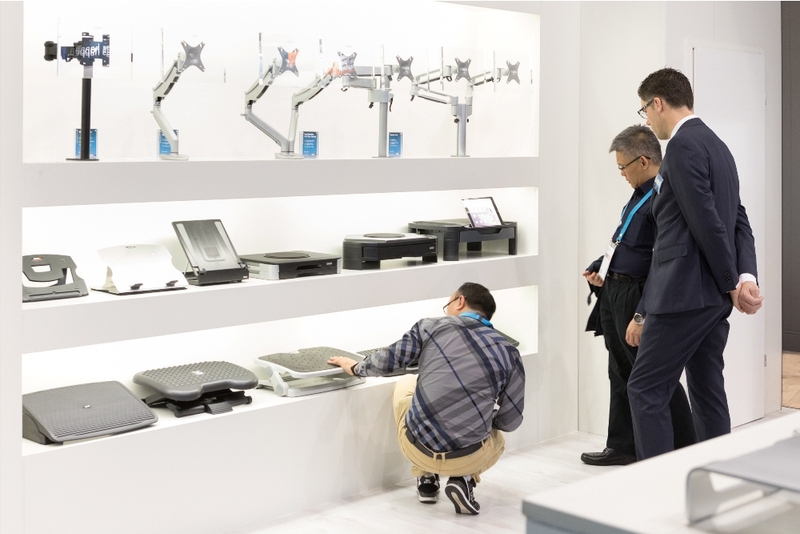 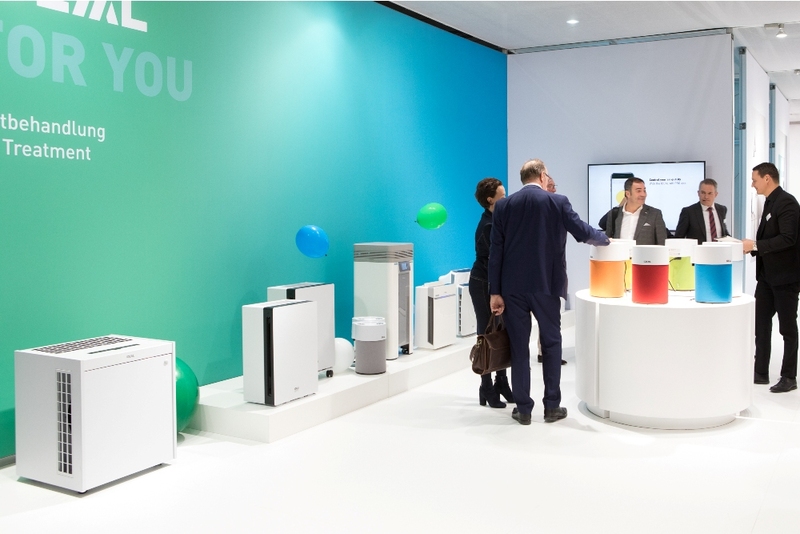 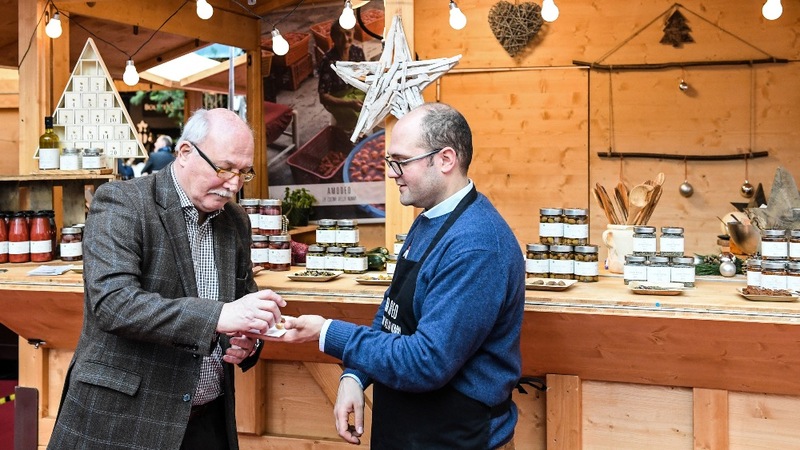 A total of 43,450 visitors from 129 countries made their way to Frankfurt to discover the latest trends and top themes, and to boost their business. 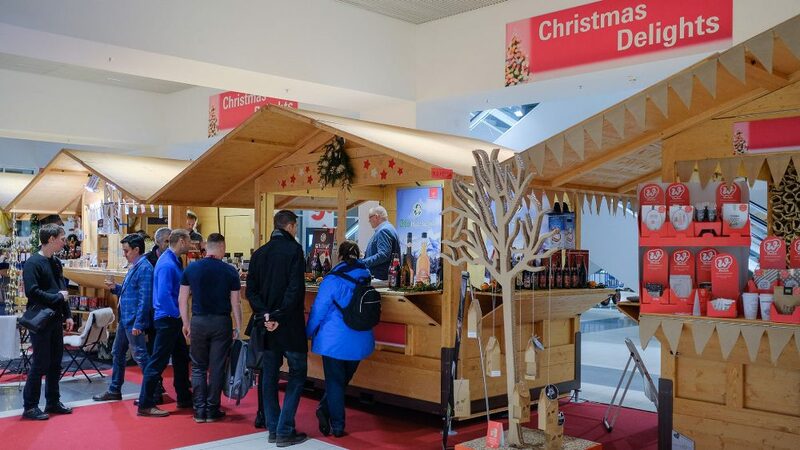 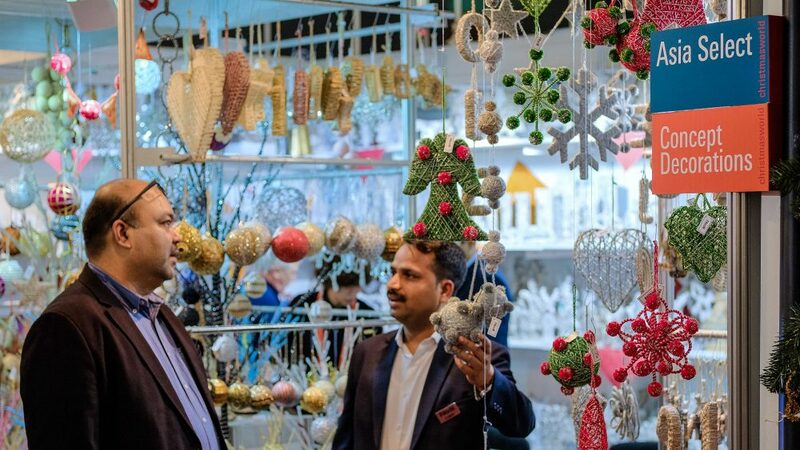 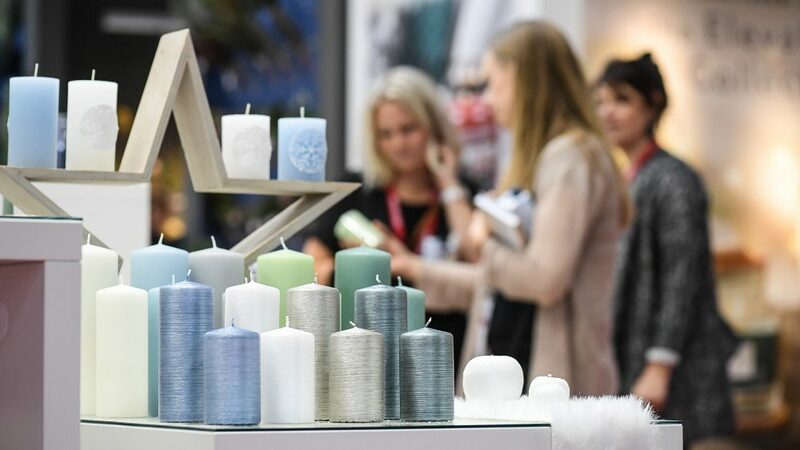 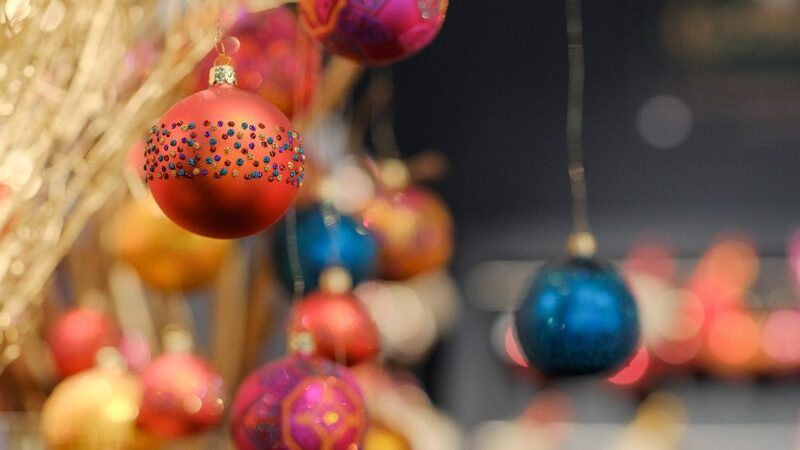 As the world’s leading trade fair for festive and seasonal decoration, Christmasworld in Frankfurt am Main exercises a magnetic power of attraction on top buyers from the wholesale, import / export and retail trades who make their way to Frankfurt am Main to place their main orders for the year. 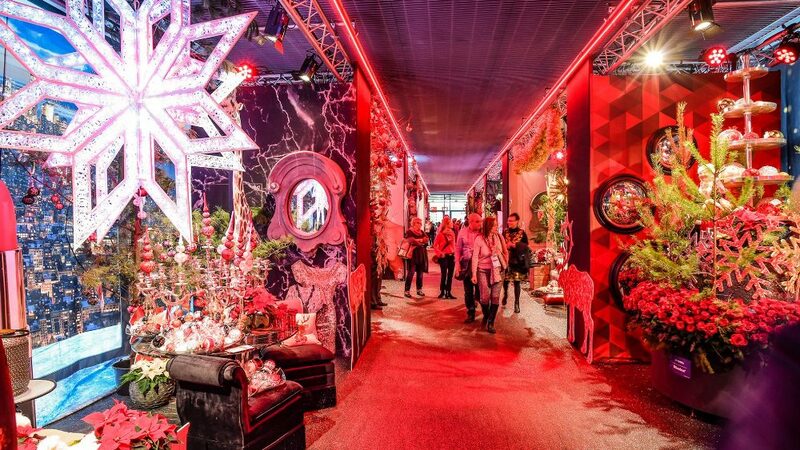 Discover the most important facts and figures about Christmasworld here. 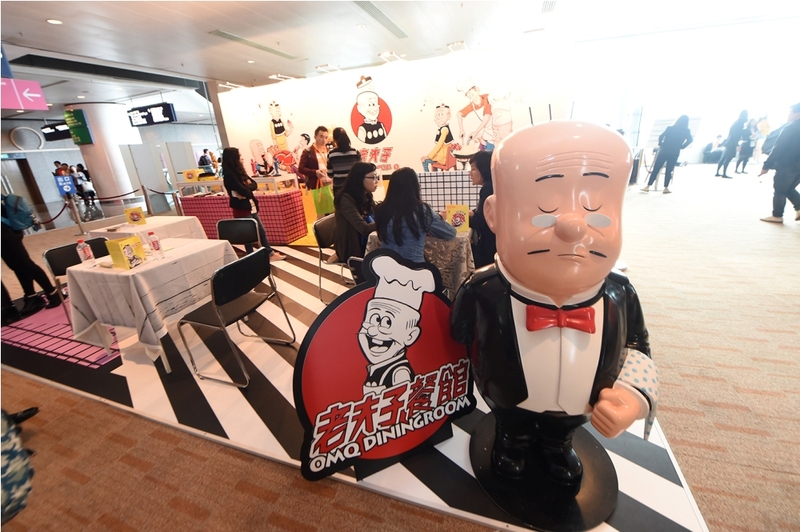 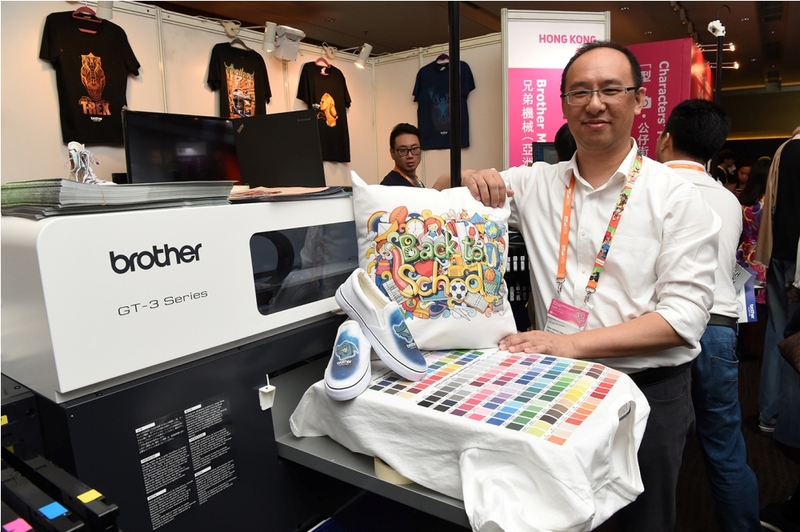 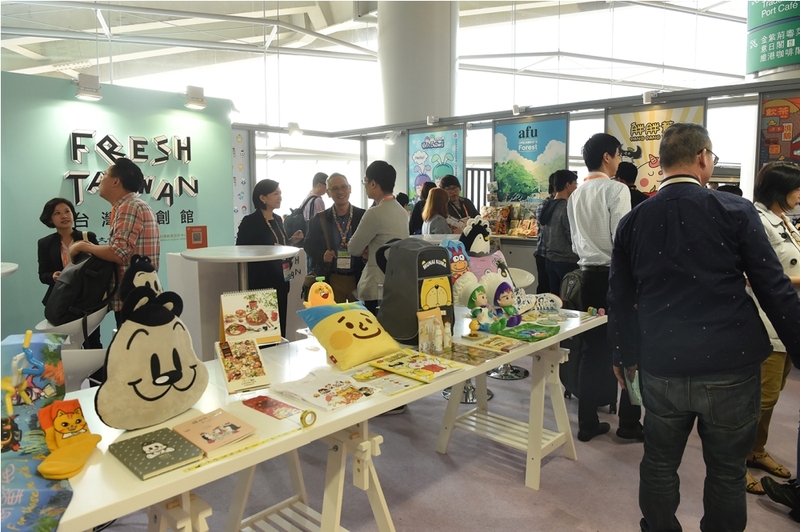 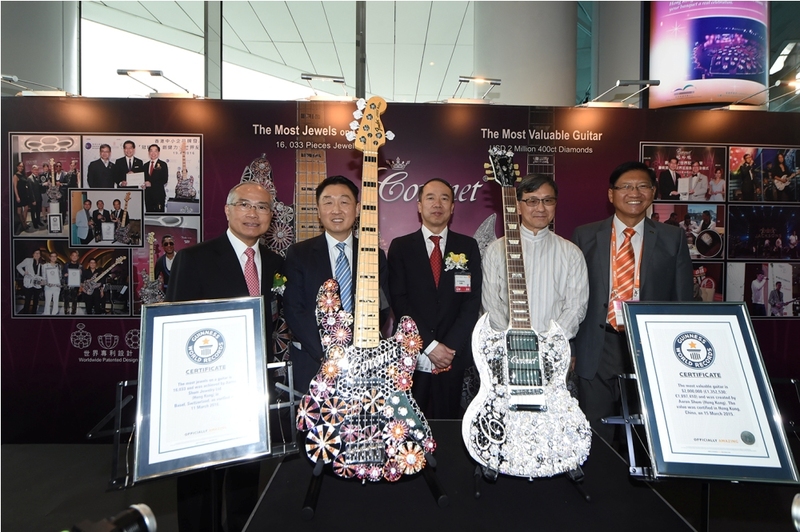 Hong Kong International Licensing Show 2019 Asia’s Largest Licensing Show and Conference Open A Wide Variety of Licensing Projects Showcase Hong Kong’s Creative Force 8 January 2018 – The world’s second-largest and Asia’s largest event of its kind, the 16th Hong Kong International Licensing Show and the seventh Asian Licensing Conference kicked off today at the Hong Kong Convention and Exhibition Centre (HKCEC), organised by the Hong Kong Trade Development Council (HKTDC). 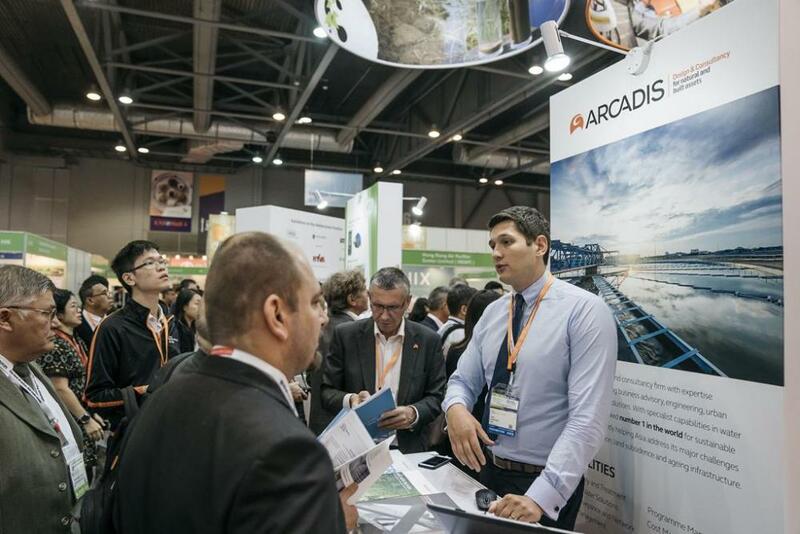 Rapid growth in licensing drives economy forward HKTDC Acting Executive Director Benjamin Chau said the growing use of licensing and the diverse businesses covered by the sector not only help the manufacturing and retailing companies increase products and services sales and explore new markets, Hong Kong creative and design talents can also establish cross-sector partnerships and launch overseas by licensing their brands and properties. 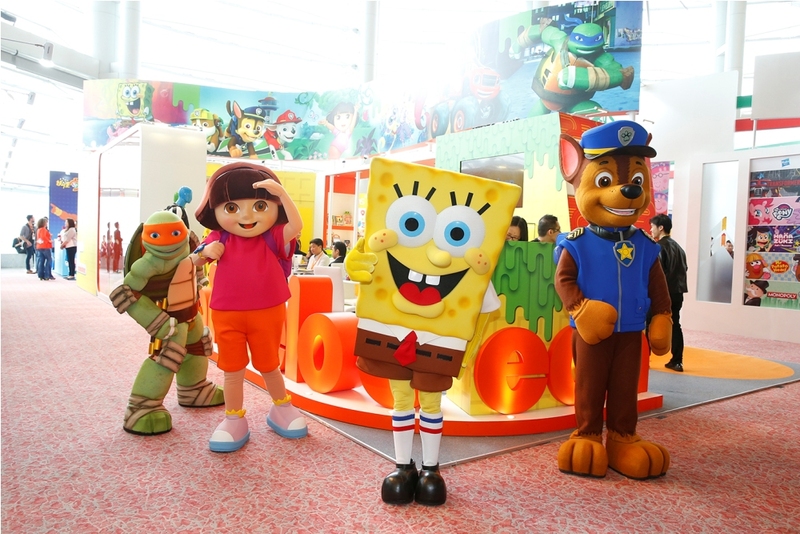 In recent years, location-based entertainment licensing has become popular, with many theme parks, hotels and cafes opening in Asia through licensing. 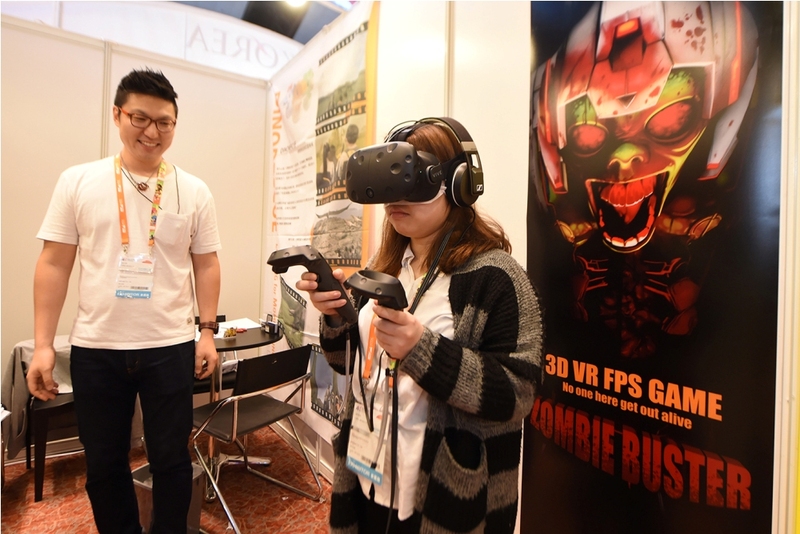 In addition, licensing opportunities brought by video gaming and digital entertainment in Asia, especially in the Chinese mainland, should also not be overlooked. 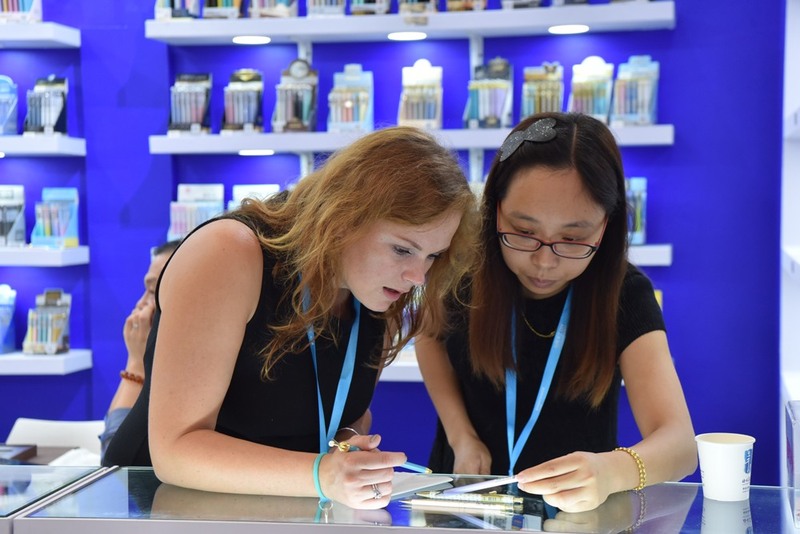 Licensing has become a major force in pushing forward the world economy. 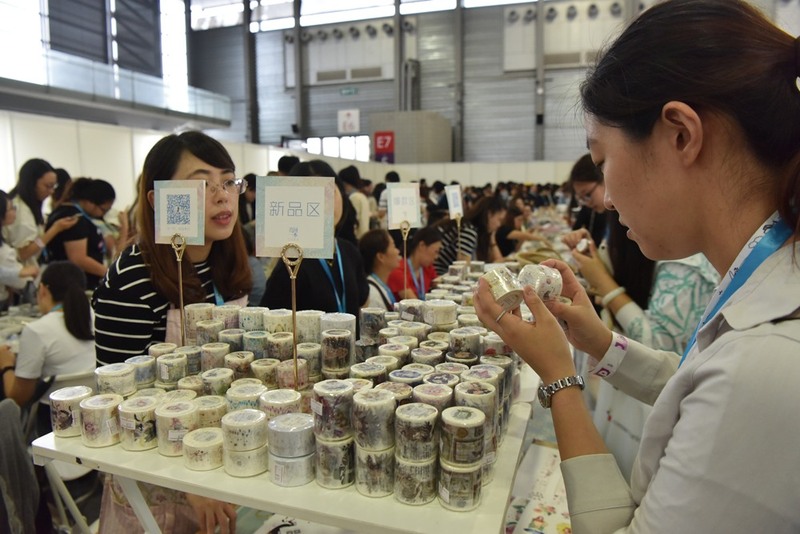 According to the group’s findings, retail sales of global licensed products in 2016 reached US$262.9 billion, up 4.4 percent over last year, while the growth rate in the Asian market reached 8.8 percent. 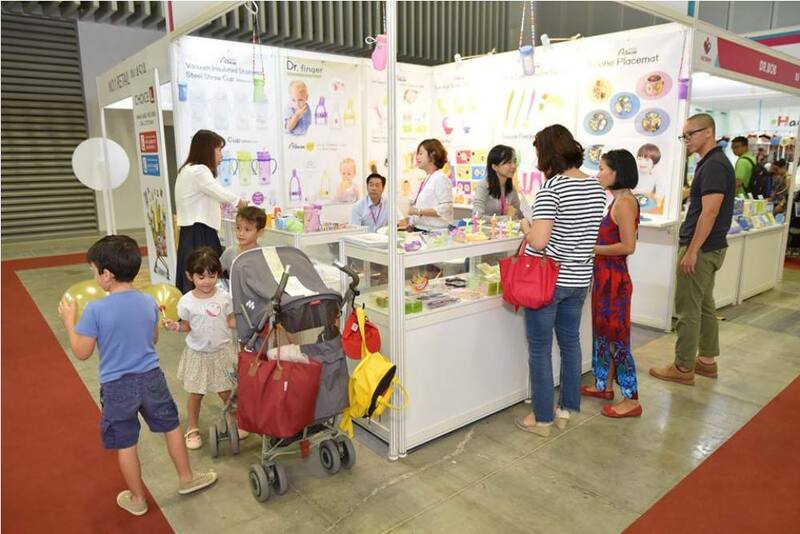 HKTDC Hong Kong Baby Products Fair 2018 Entering the 9th edition, the fair is expecting to welcome some 570 global exhibitors to showcase a comprehensive range of products for babies and toddlers, providing an ideal one-stop sourcing platform for buyers. 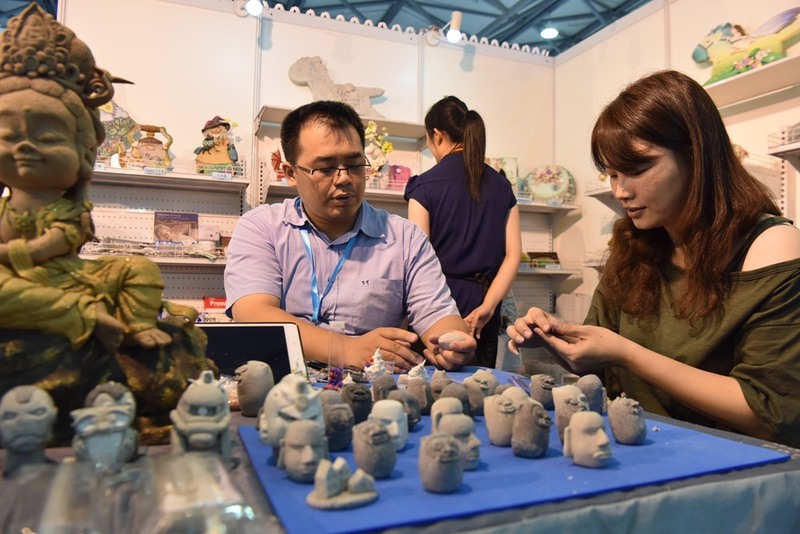 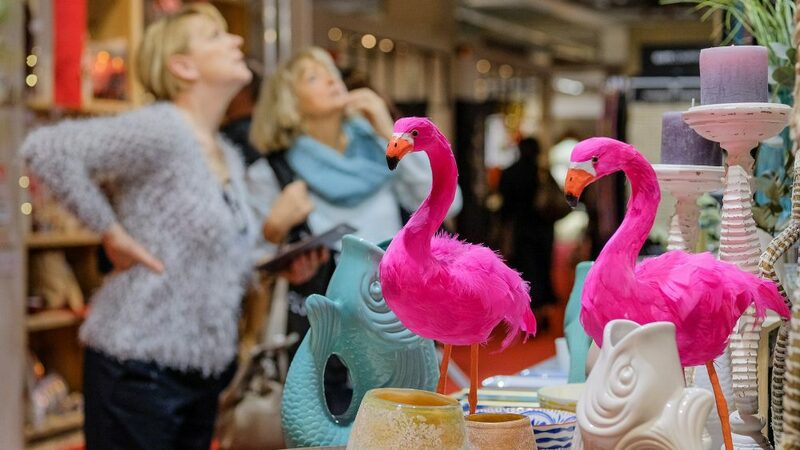 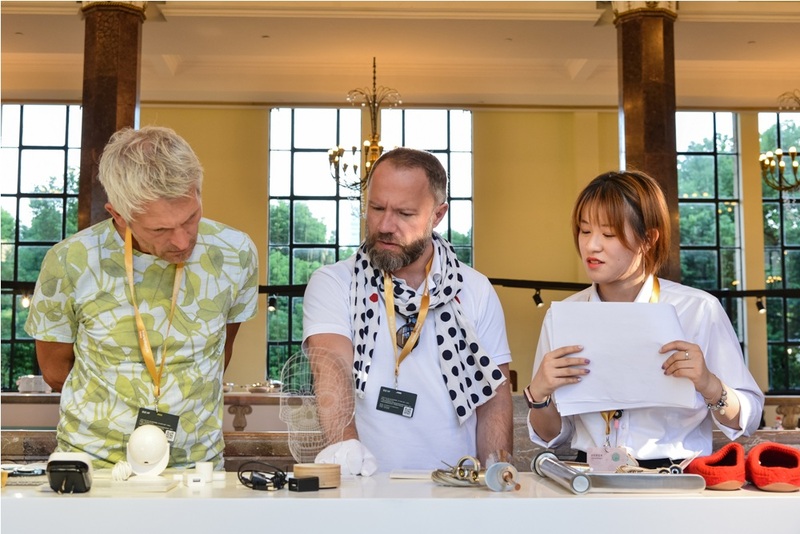 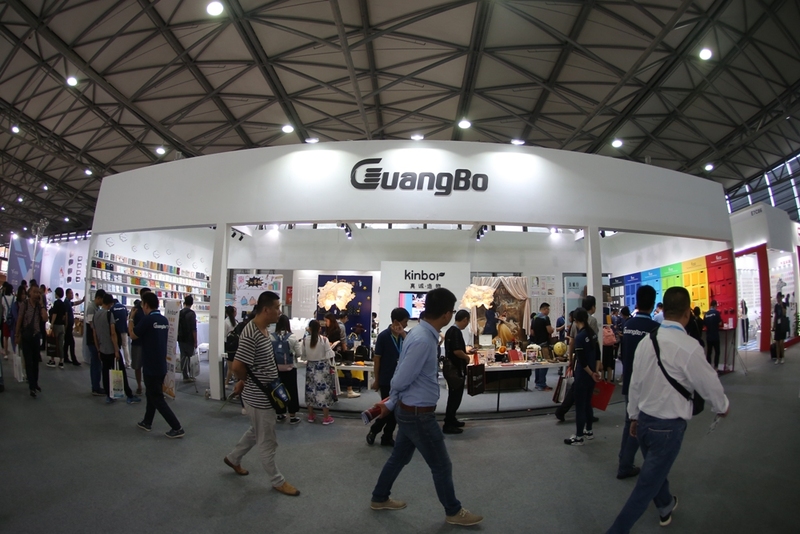 Last Edition, the fair has attracted over 30,000 international buyers. 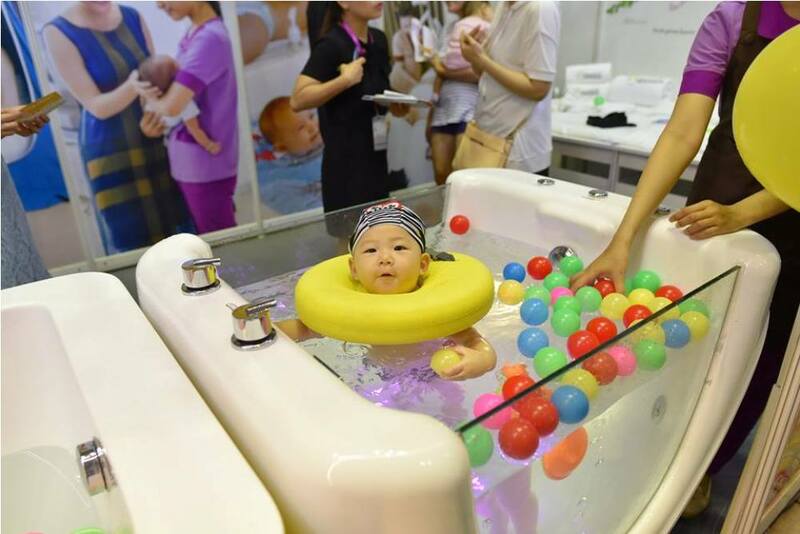 In the first eight months of 2017, Hong Kong’s total exports of baby products have reached USD 644 million, increased by 21.5% year-on-year, with the Chinese mainland, Macau, the US and the UK as the major export markets. 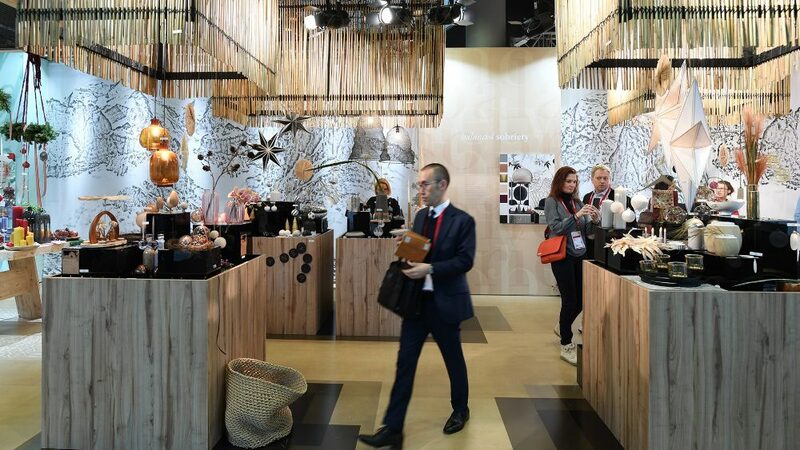 Themed Zones to Present Wide Range of Products To optimise buyers’ sourcing experience, the fair will be categorised under various themed zones including the Brand Name Gallery, showcasing some 50 brands from 16 countries and regions. 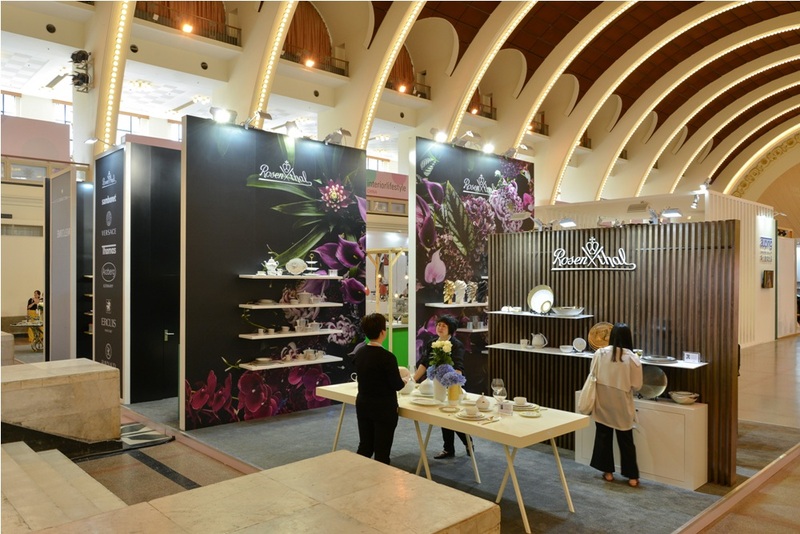 Some of the renowned brands include BibaToys, Evenflo, La Mascot, Micralite, Pali, PICCI and Oyster. 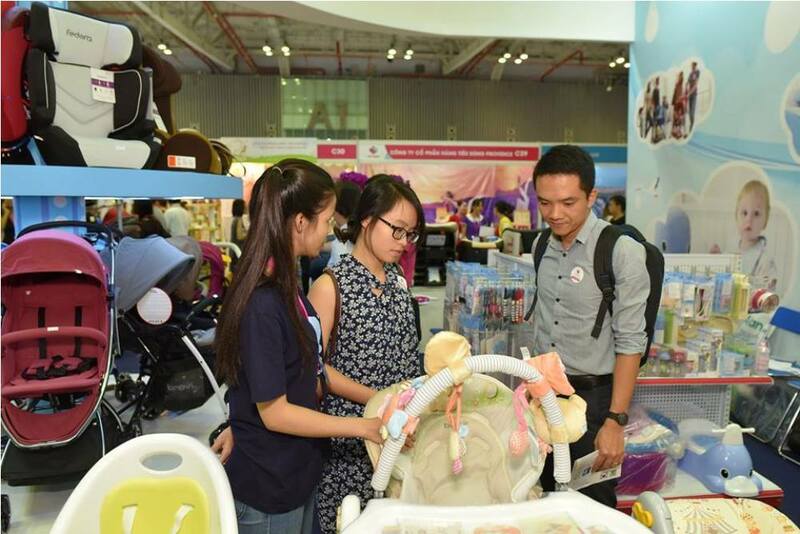 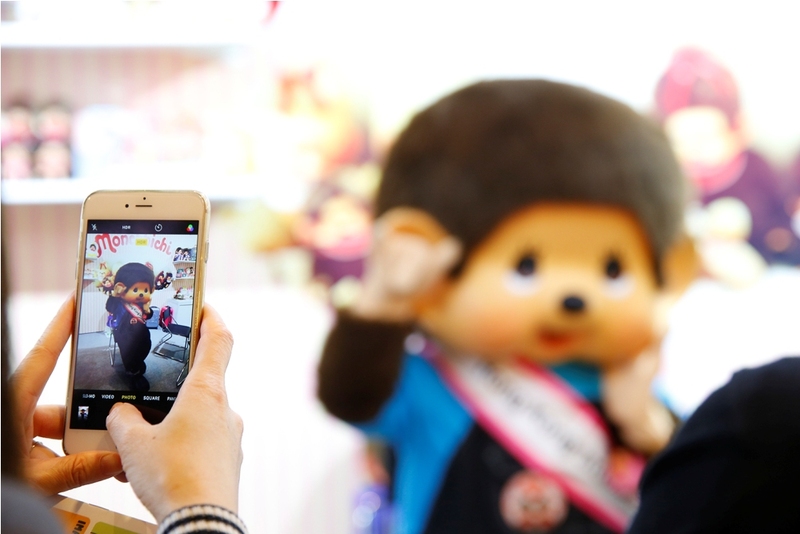 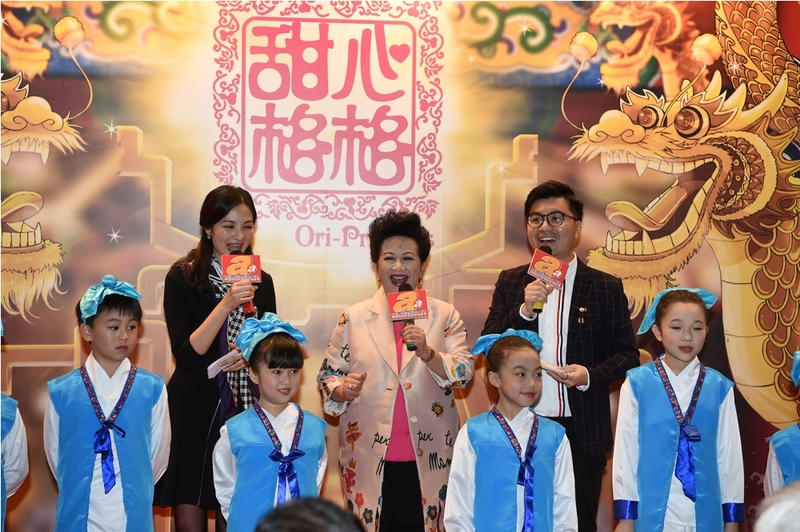 For the first time, the Hong Kong Children, Babies, Maternity Industries Association (HKCBMIA) Pavilion and the Singapore Pavilion will be set up at the fair, housing quality baby products from seven and six companies respectively. 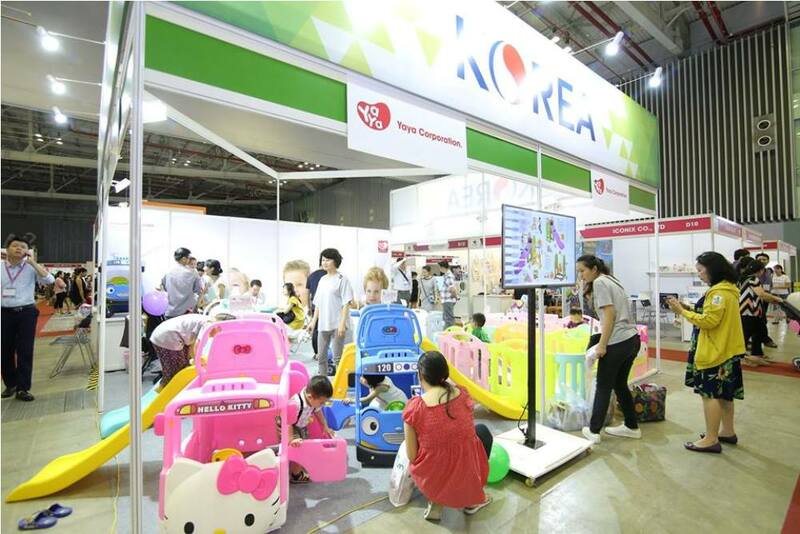 The Korea Pavilion will return to the fair with more than 25 exhibitors, presenting renowned brands such as i-angel (baby carrier), Dwingular (playmat), Daiichi (strollers) and Haenim Co., Ltd. (electrical appliances). 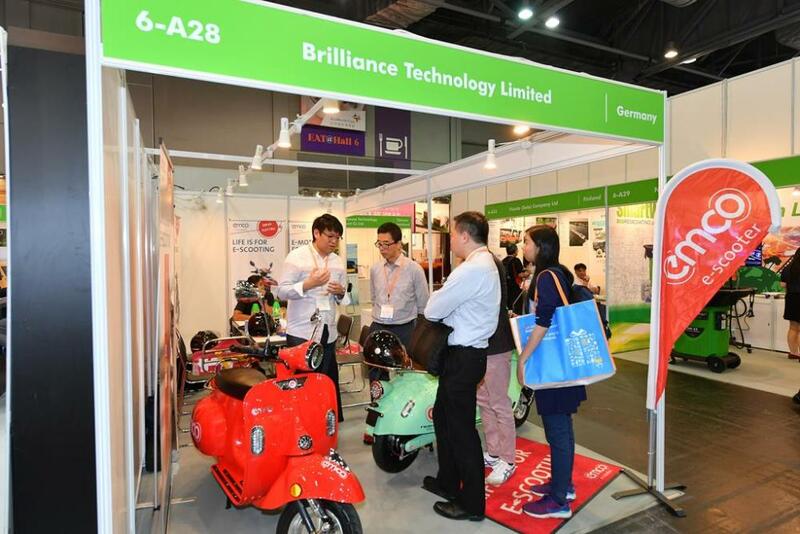 World of Strollers & Gear II @ Convention Hall will debut to showcase award-winning and quality strollers and baby car seats. 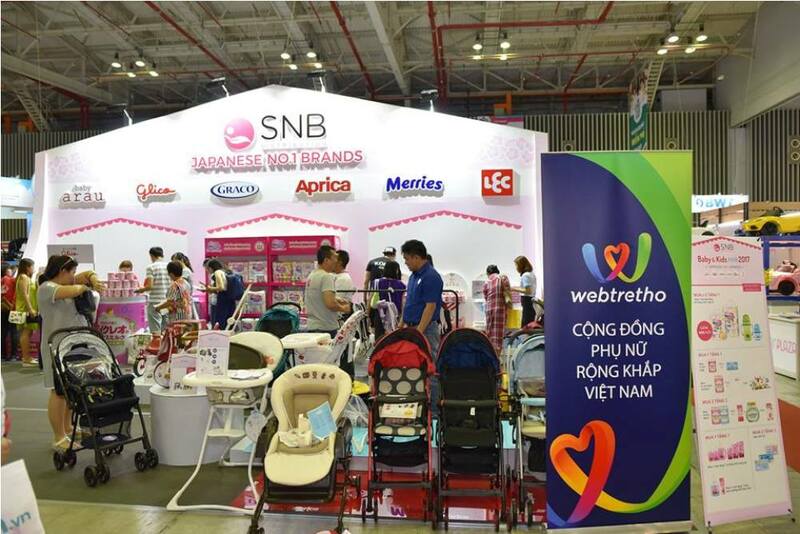 Other featured zones include Baby Tech for buyers to source hi-tech products, Baby Bedding Items and Furniture, Baby Food and Healthcare Products zones among others. 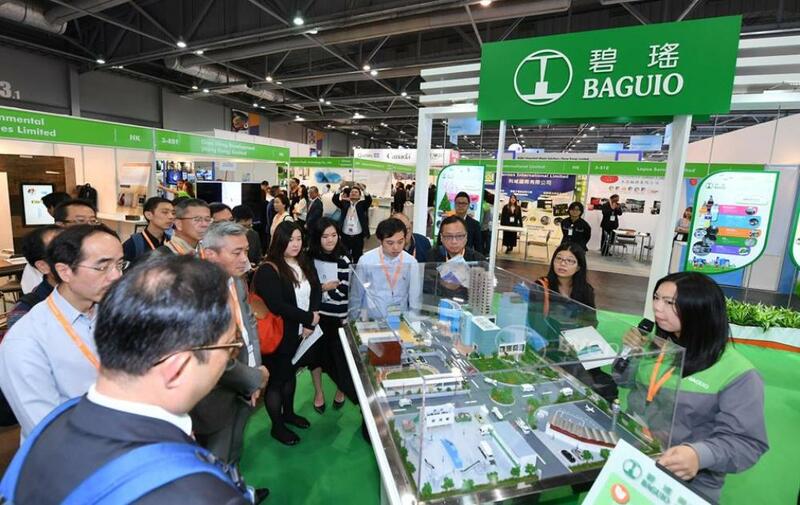 Value-added Events to Foster Information Exchange During the fair period, a series of seminar, buyer forum, product launch and networking events will be staged to create a platform for industry players to establish business connections and share market knowledge. 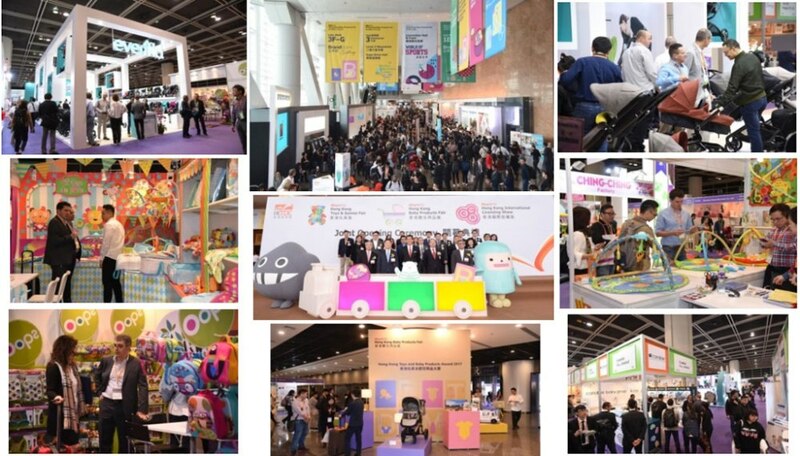 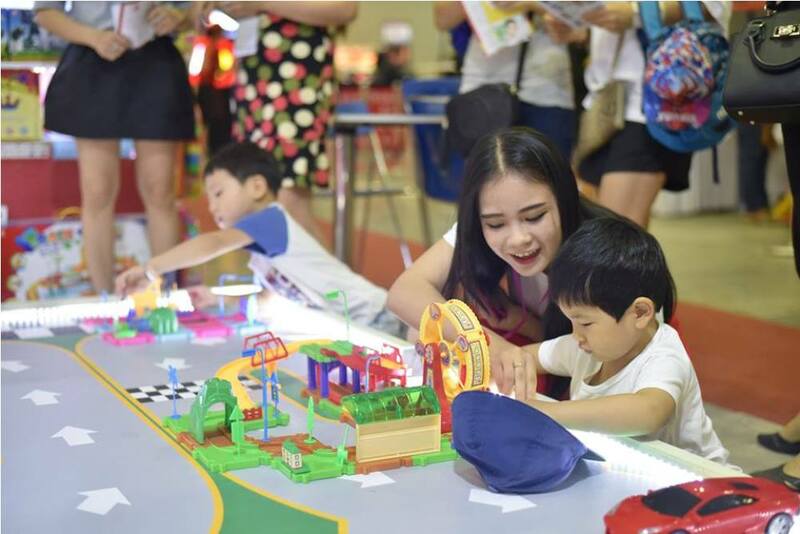 Crossover Business Opportunities Held concurrently with the Hong Kong Baby Products Fair will be the HKTDC Hong Kong Toys & Games Fair, Hong Kong International Stationery Fair and HKTDC Hong Kong International Licensing Show. 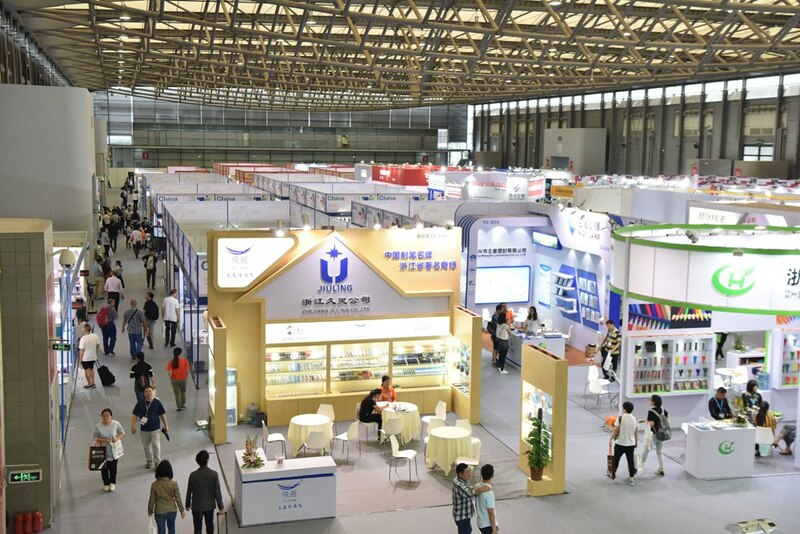 The four fairs will provide abundant trading opportunities and good potential for crossover business activities among the participants from various sectors. 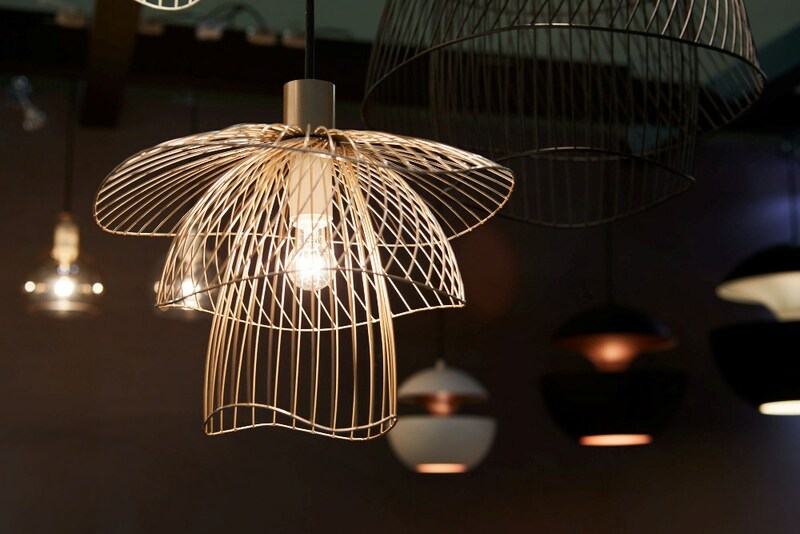 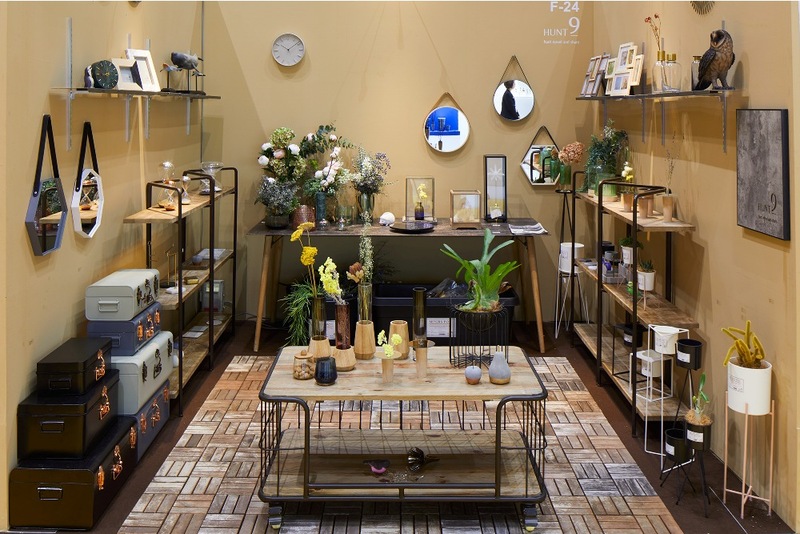 IFFT/Interior Lifestyle Living 2018 The first IFFT/Interior Lifestyle Living took place in 2008, combining IFFT (International Furniture Fair Tokyo) with the concept of Interior Lifestyle Tokyo, and becoming the leading trade fair for the Japanese high-end interior market. 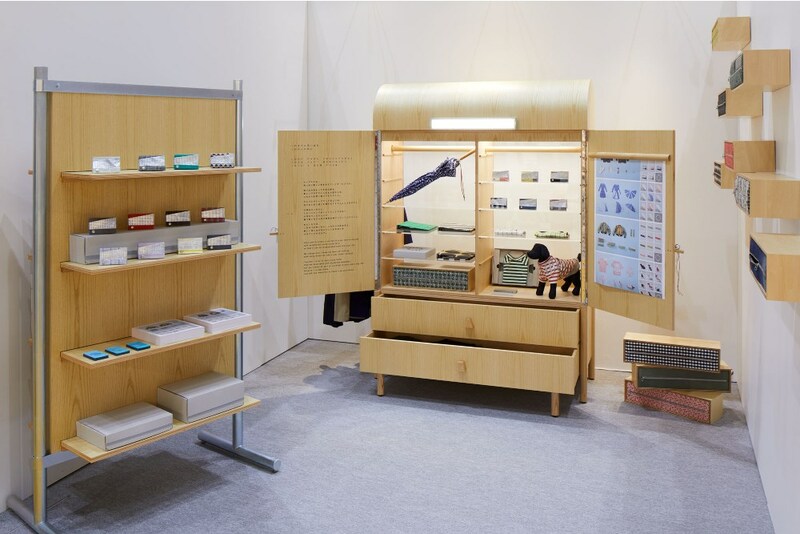 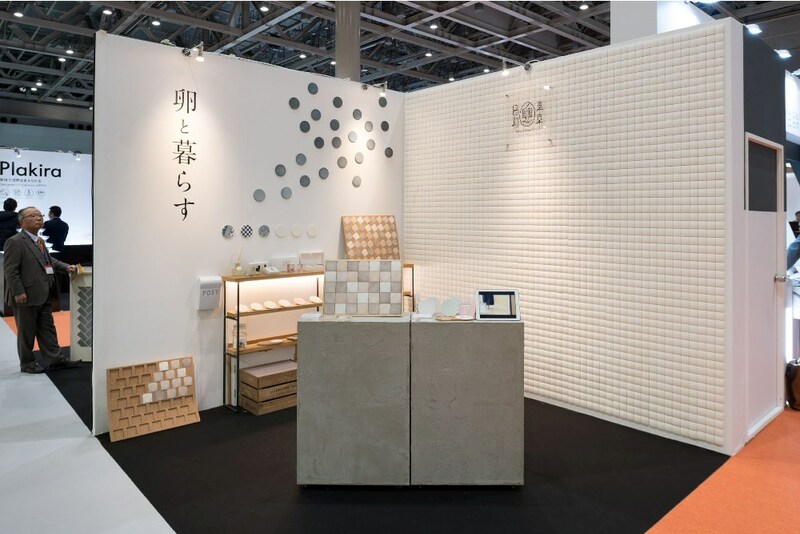 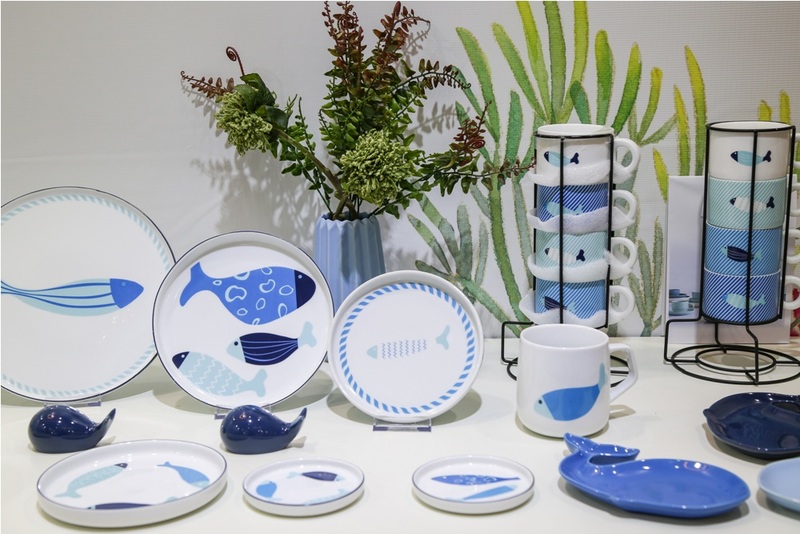 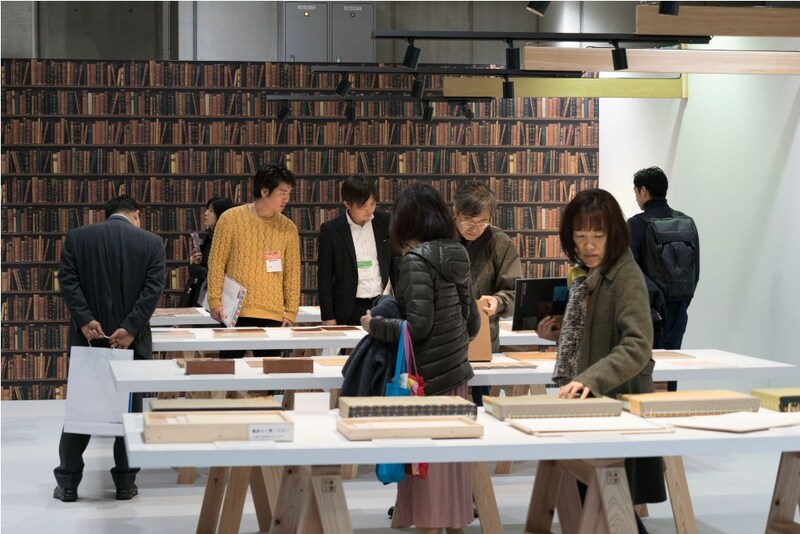 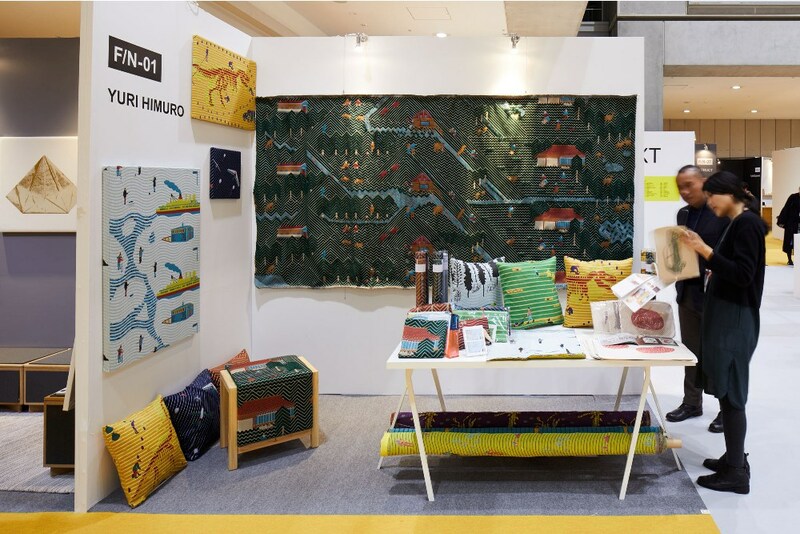 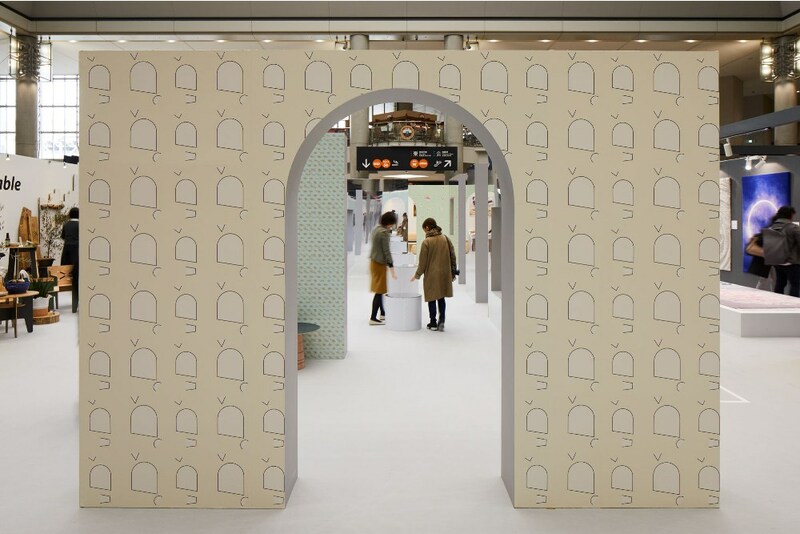 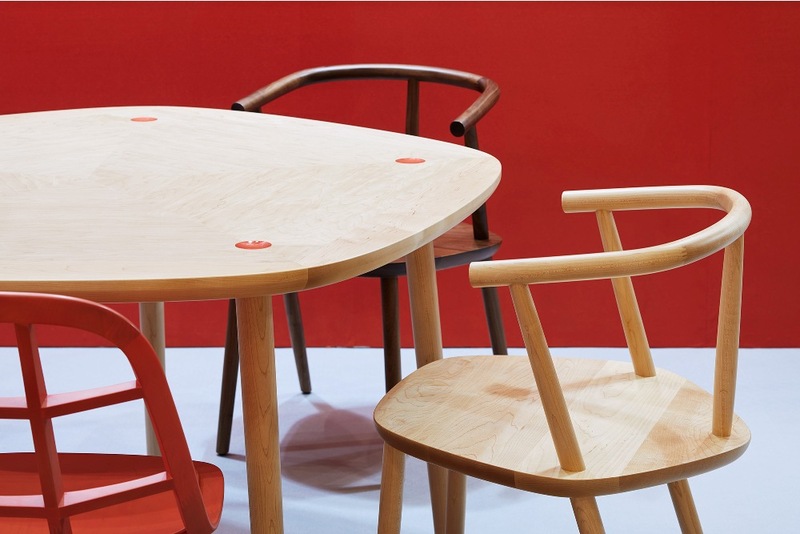 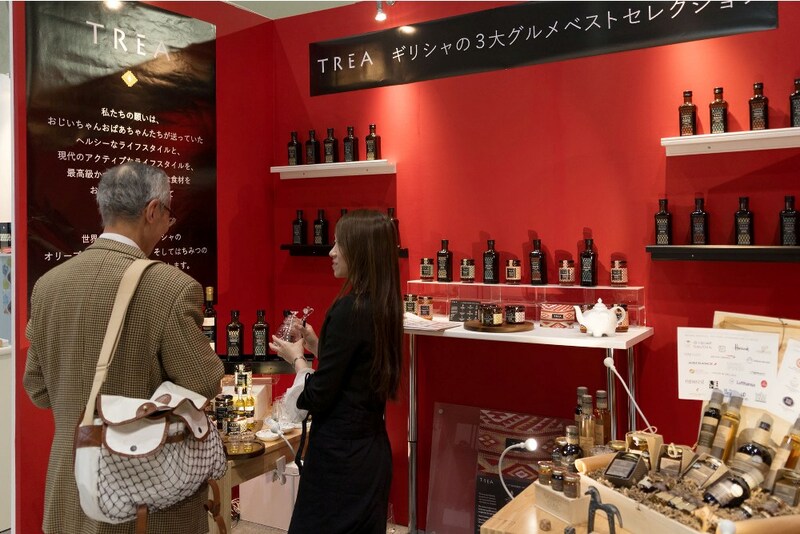 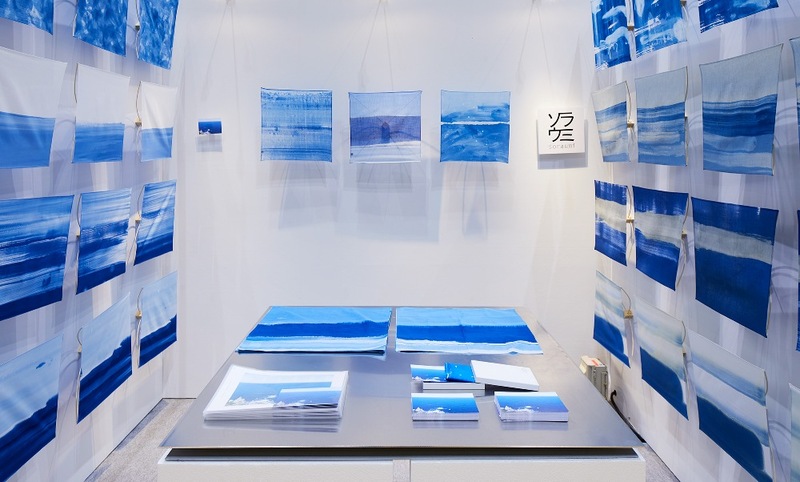 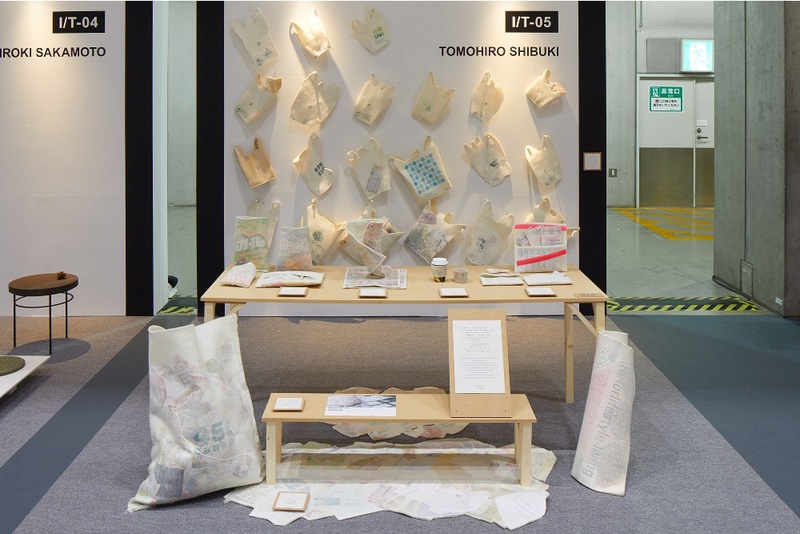 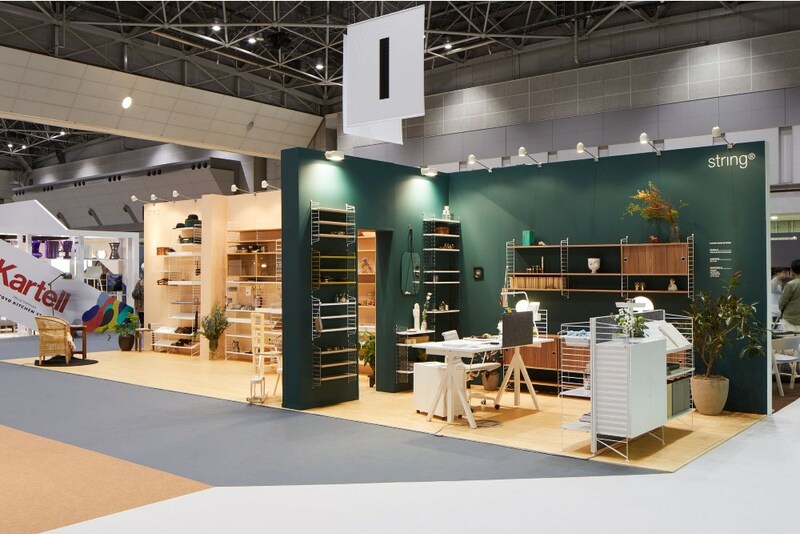 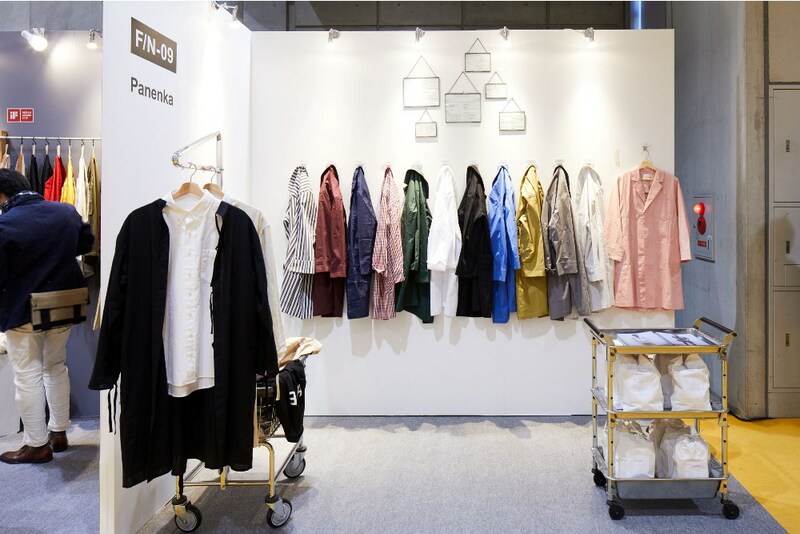 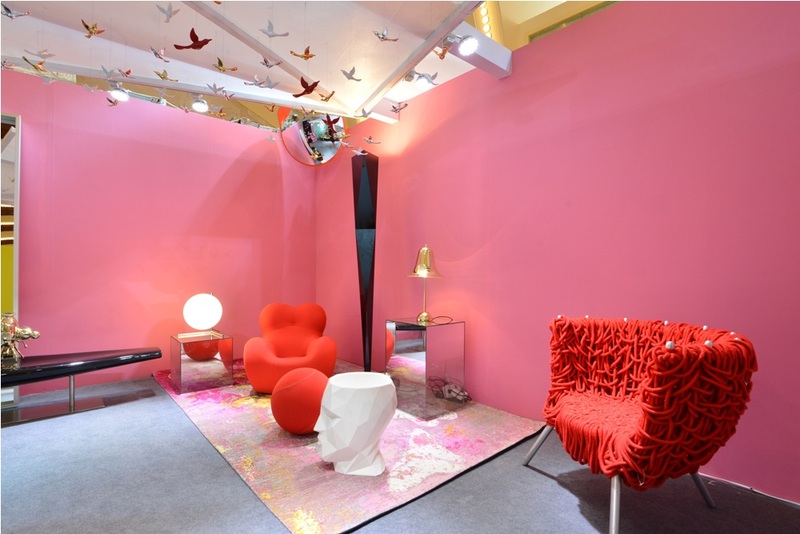 This fair is a sister fair of Interior Lifestyle Tokyo held in June, which is based on Messe Frankfurt’s largest international consumer goods fair Ambiente and the international textile fair Heimtextil. 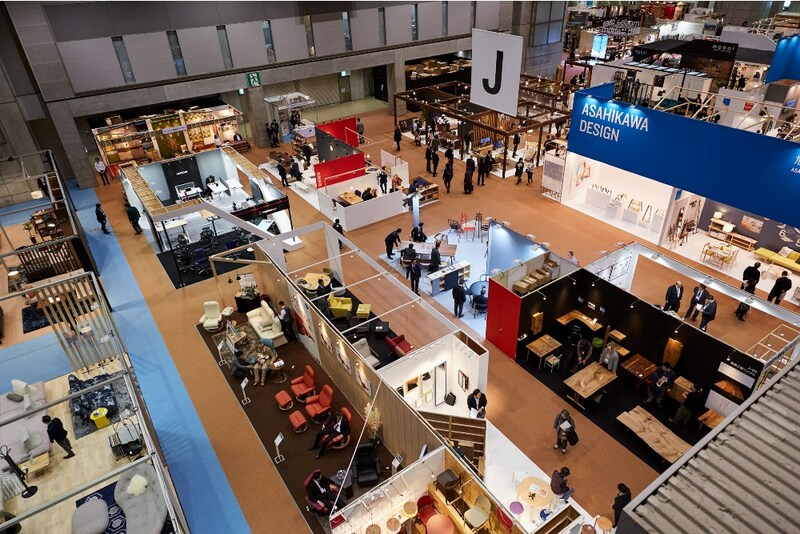 IFFT/Interior Lifestyle Living concluded with outstanding success ! 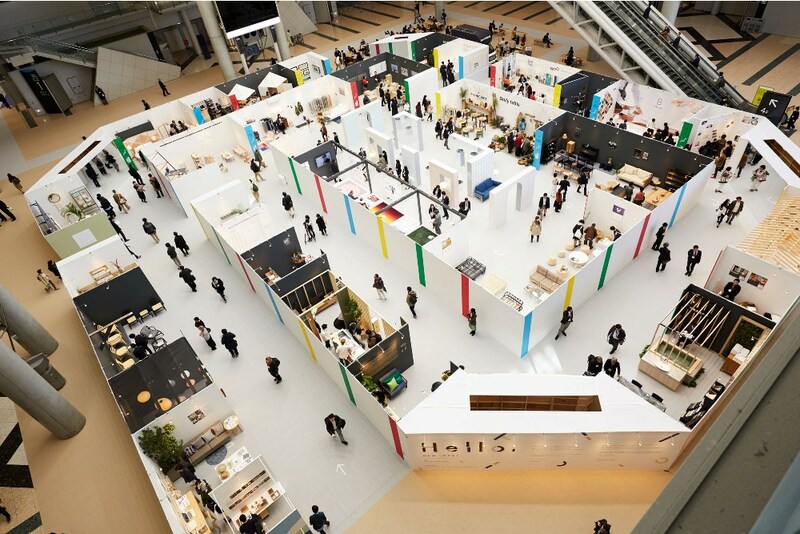 Participation in IFFT/Interior Lifestyle Living. 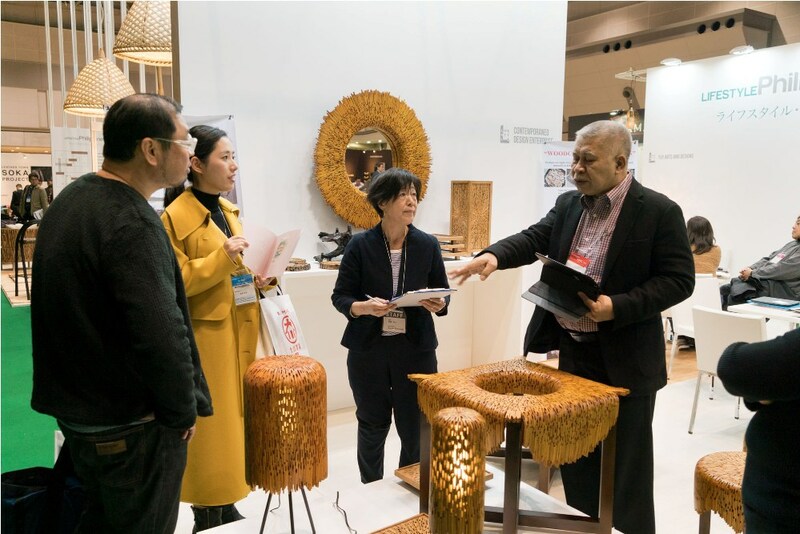 Total number of visitors: 16,654 visitors, number of exhibitors: 472 exhibitors (Japan 348 / Overseas 124 from 19 countries) *including co-exhibitors *IFFT/Interior Lifestyle Living will not be approved as Bonded Exhibition Ground by Tokyo Customs. 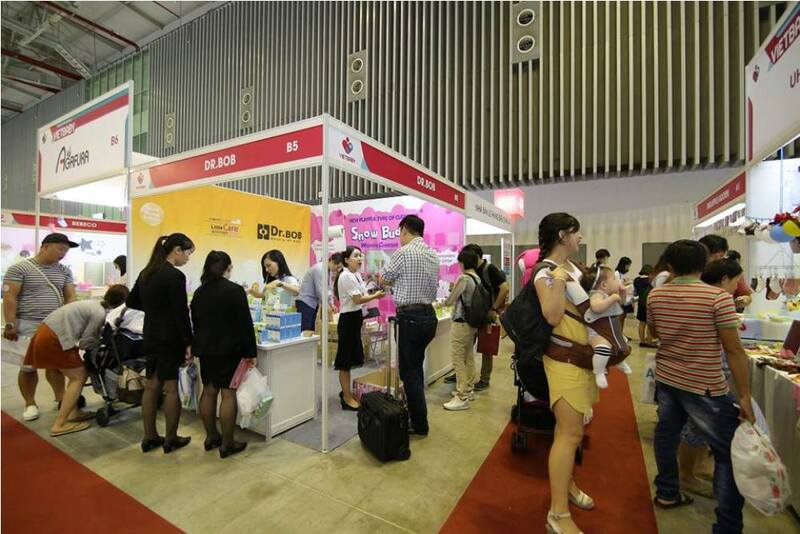 Viet Baby Fair 2018 The population of babies and kids (aged 0-12) is predicted to be 30 of Vietnam’s population! 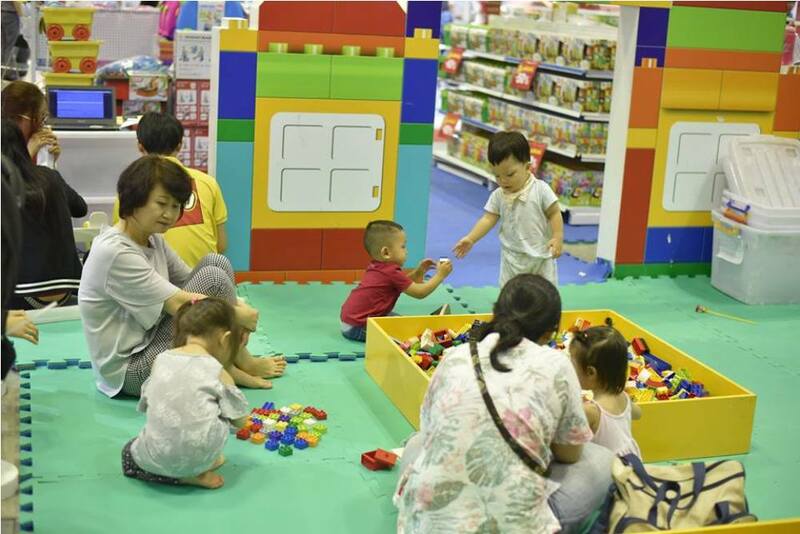 Vietnam has 92 million people and it is 14th populous country in the world, 23 million people of Vietnam’s population are babies and kids. 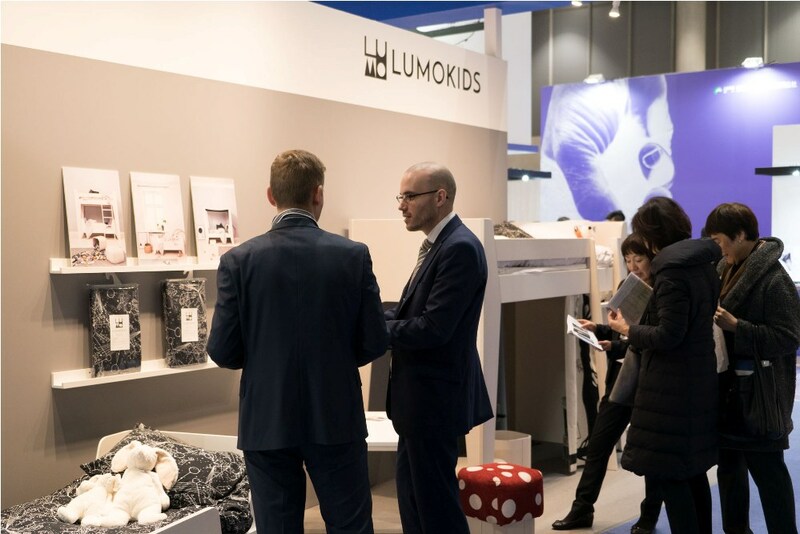 The increase of income level leads to the increase of consumption in premium baby/kids goods! 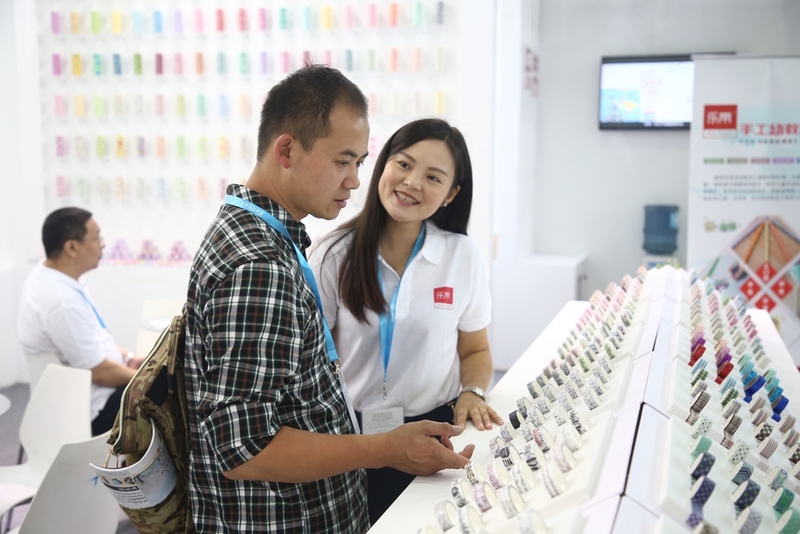 Since 2013, the standard of living has been improving and parents has been able to get the parenting information easily. 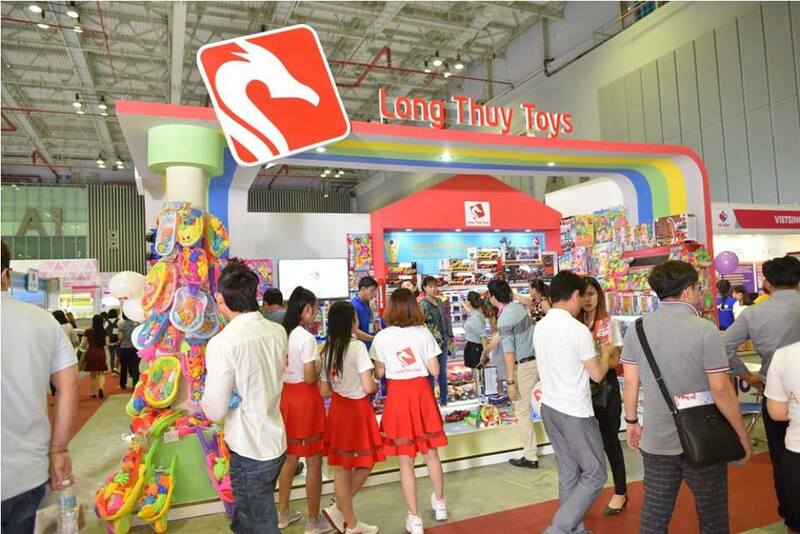 Accordingly, Vietnamese parents tend to buy good quality and premium products. 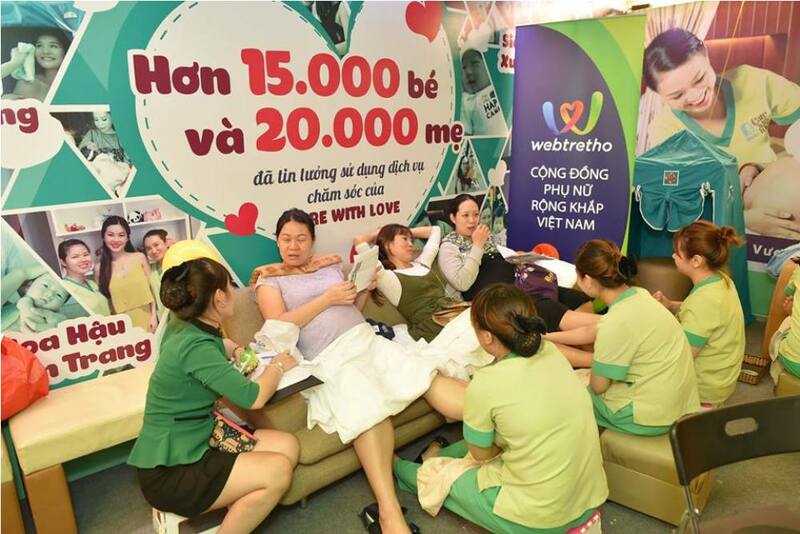 Many Vietnamese became to prefer premium products by the improvement of their income and the living standard. 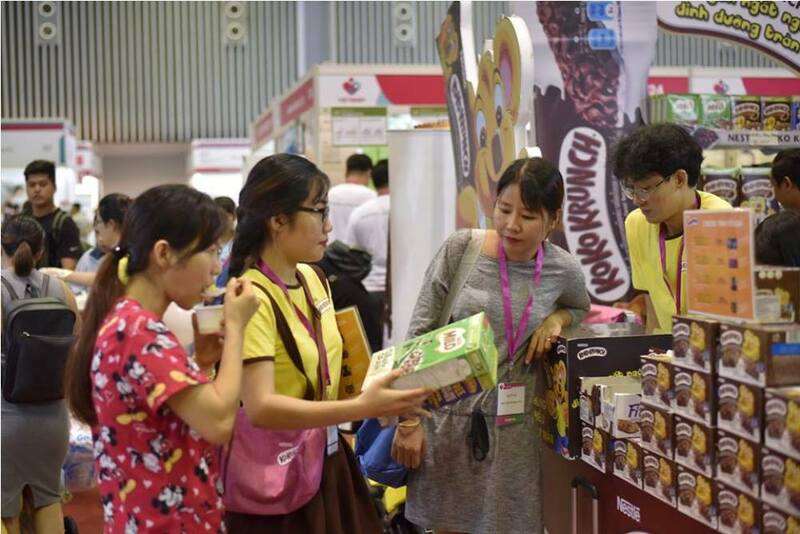 Although the price of foreign companies’ products is 40-50% more expensive than the same products of Vietnam, the products of foreign companies get more and more popular among Vietnamese parents. 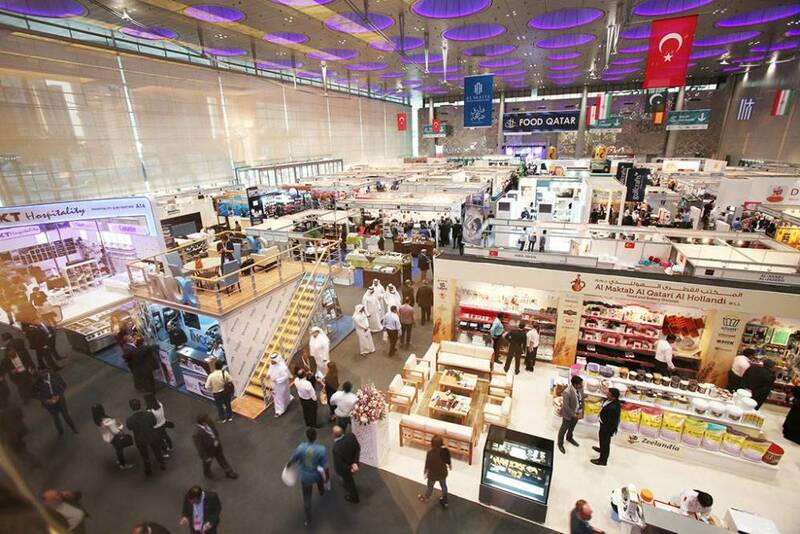 Hospitality Qatar 2018 With a keen focus on Hotel Supply and Design, Hotel Franchising and Investment, as well as Food and Beverages, Hospitality Qatar addresses the requirements of the key elements that make up Qatar’s rising hospitality industry. 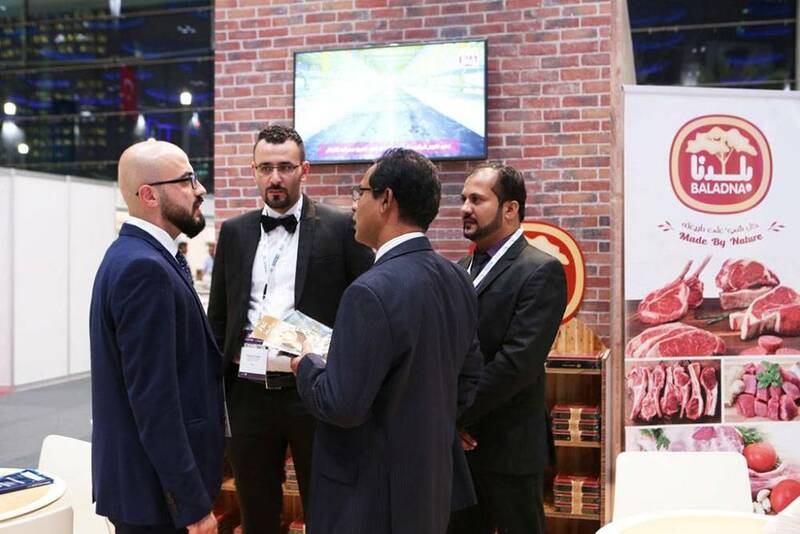 Hospitality Qatar is not just an exhibition, but rather a full-fledged platform that covers the HORECA market from every angle. 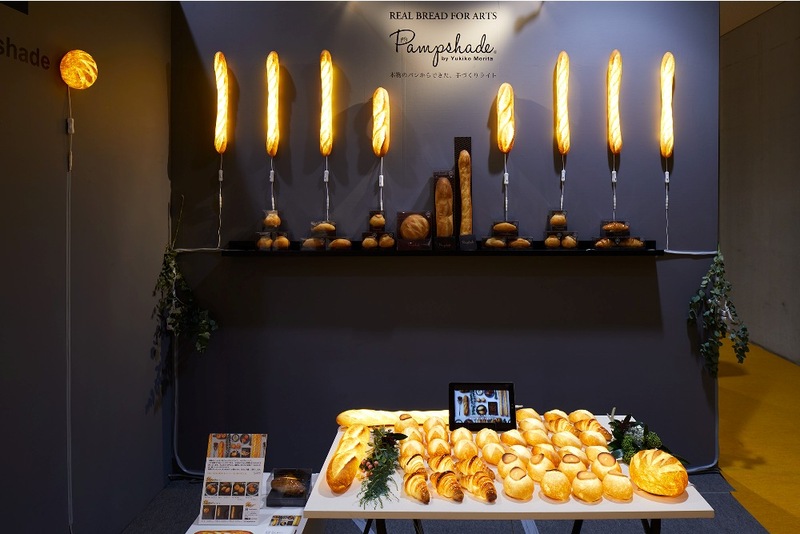 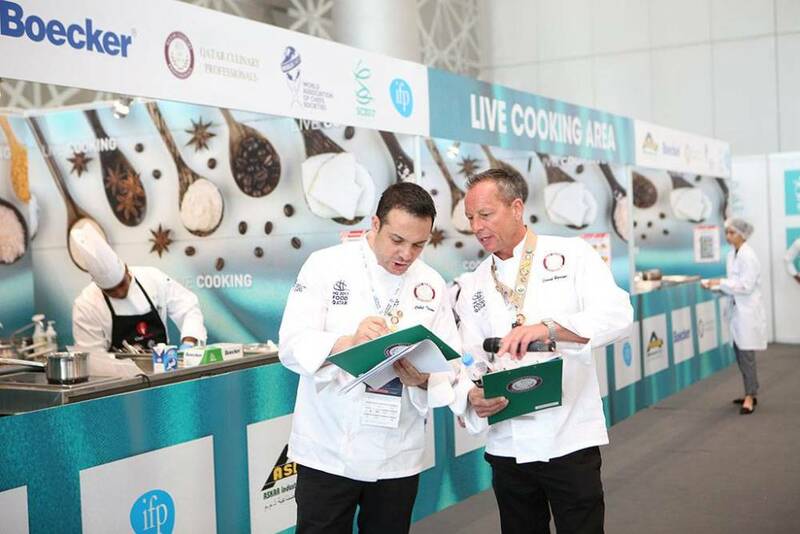 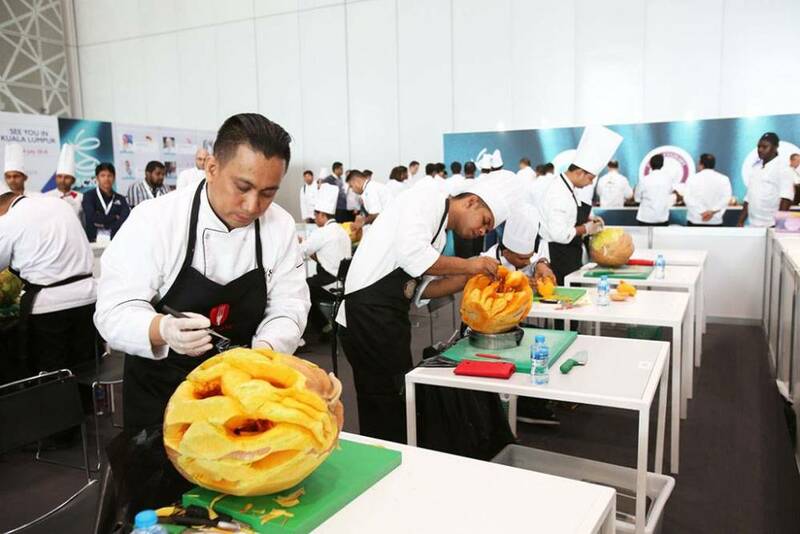 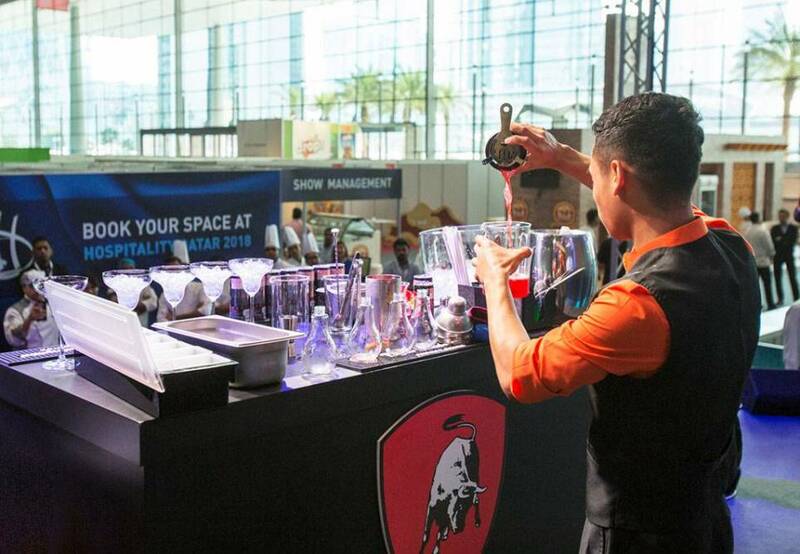 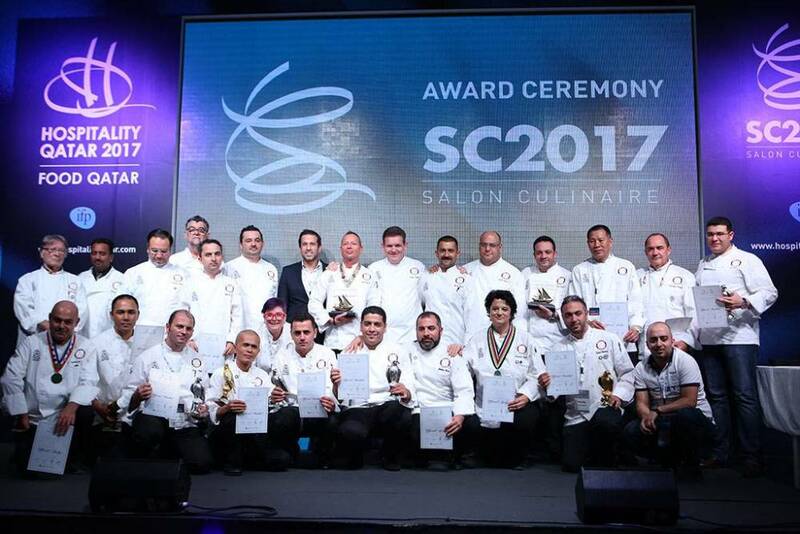 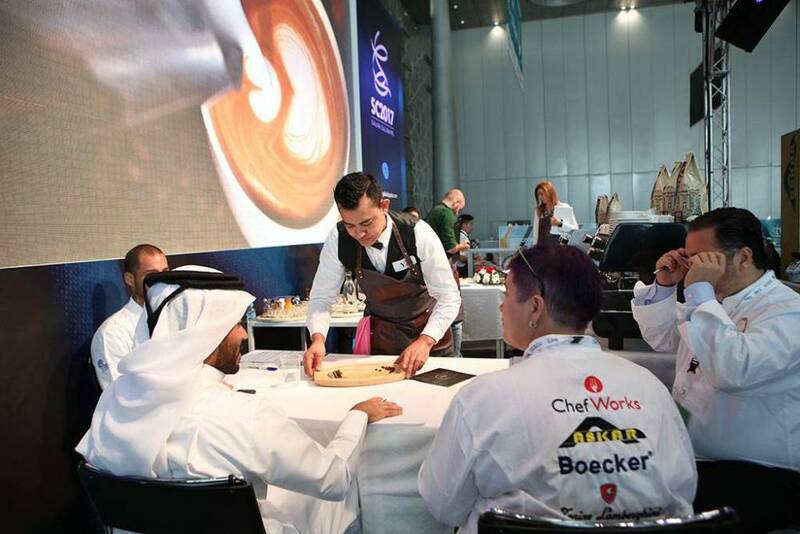 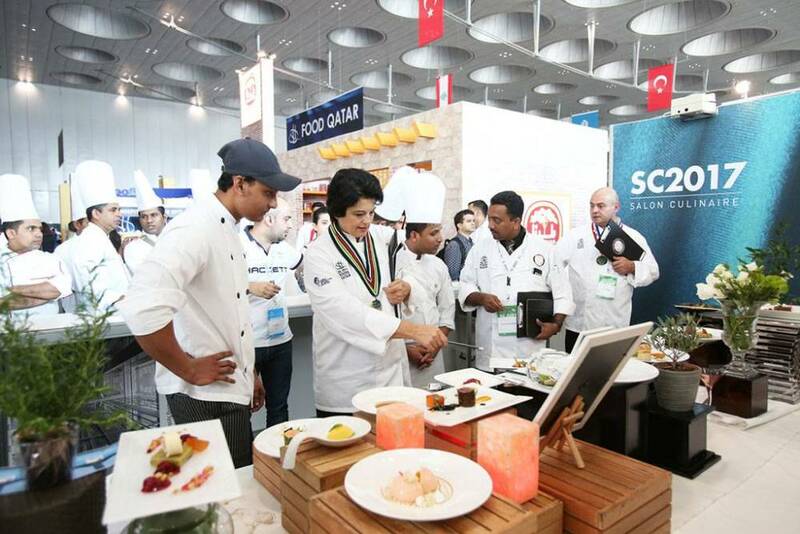 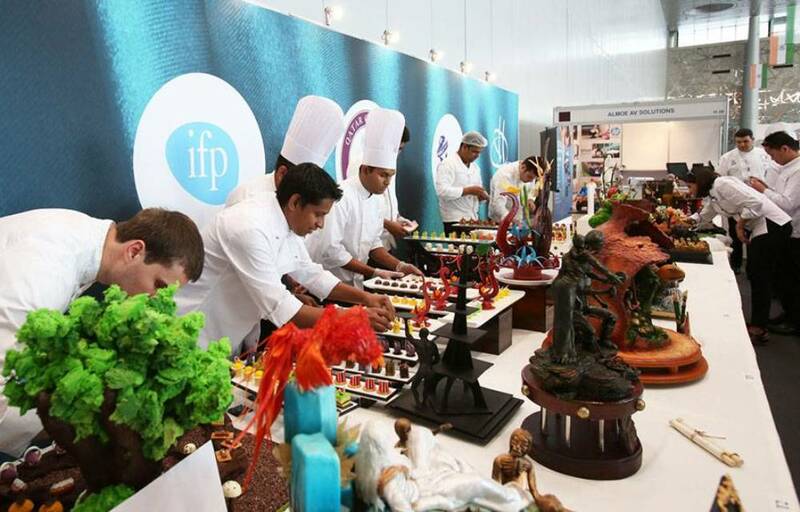 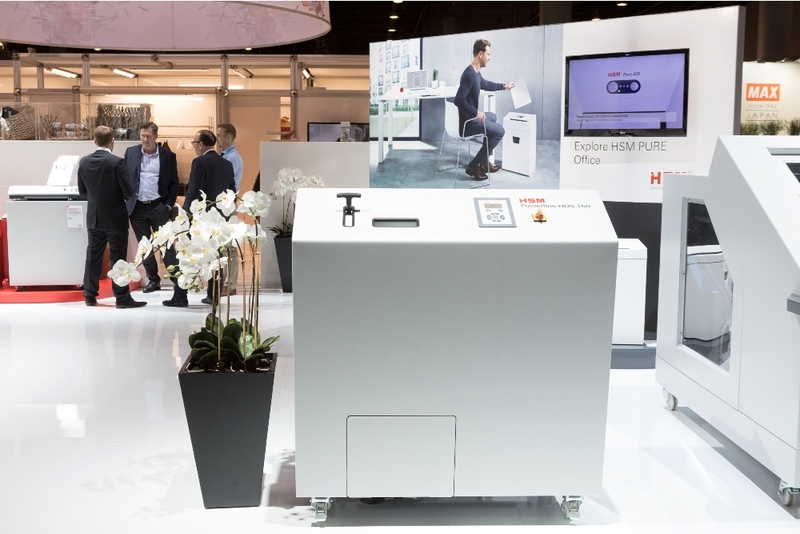 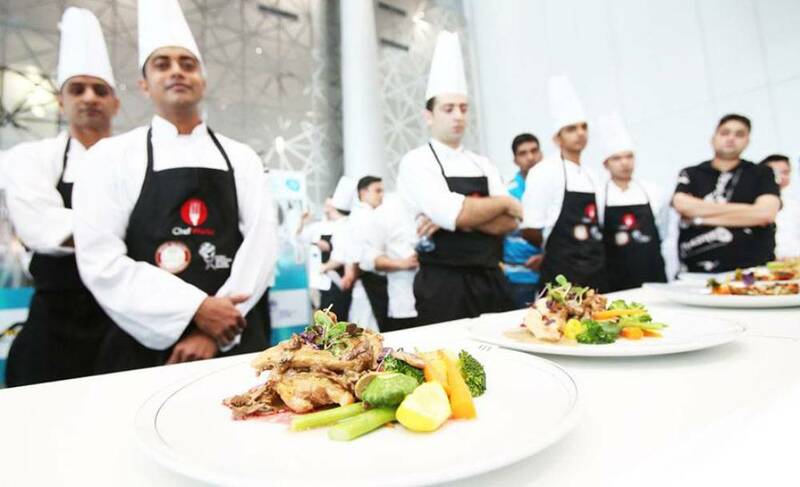 The show encompasses a dedicated B2B Matchmaking Program to help exhibitors and visitors meet potential business partners, as well as dynamic concurrent events dedicated to HORECA specialists. 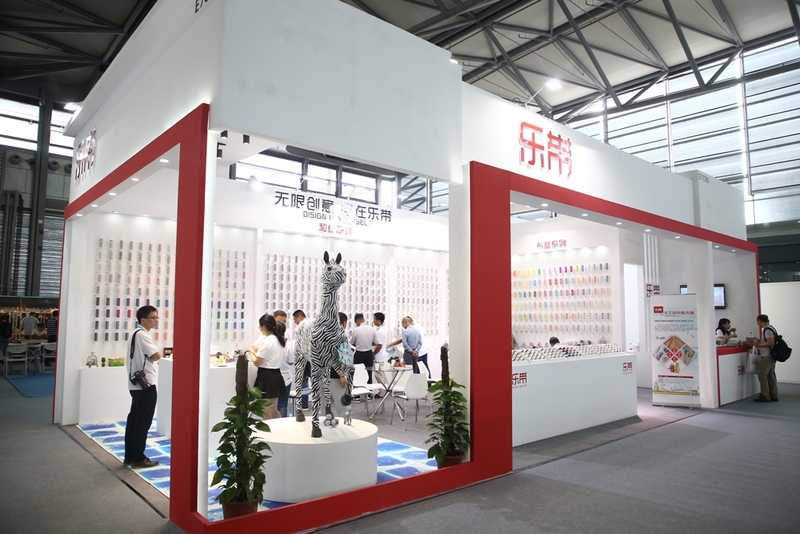 Paperworld China 2018 Paperworld China is Asia’s leading exhibition in stationery, office supplies and hobby & crafts industry. 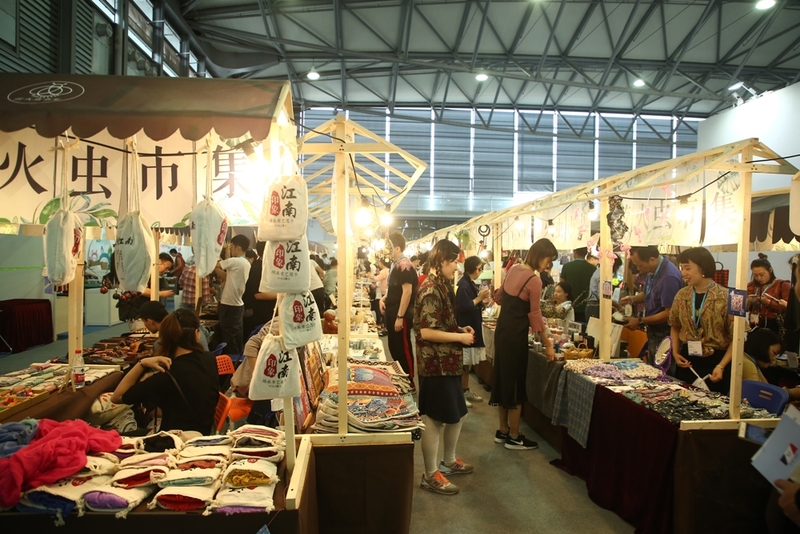 The fair held annually in Shanghai, China. 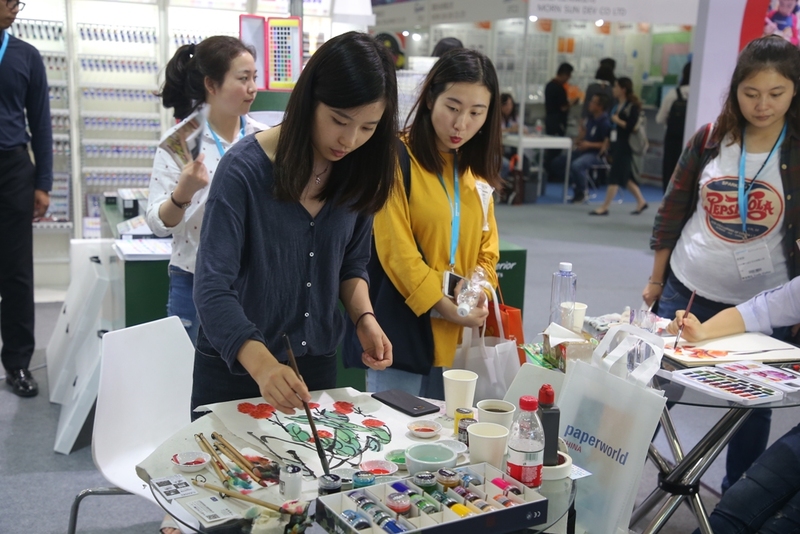 Here you’ll find a complete range of products for school, office and working home, a mix of culture from the east and west and a series of informative programs shared by industry experts and knowhow. 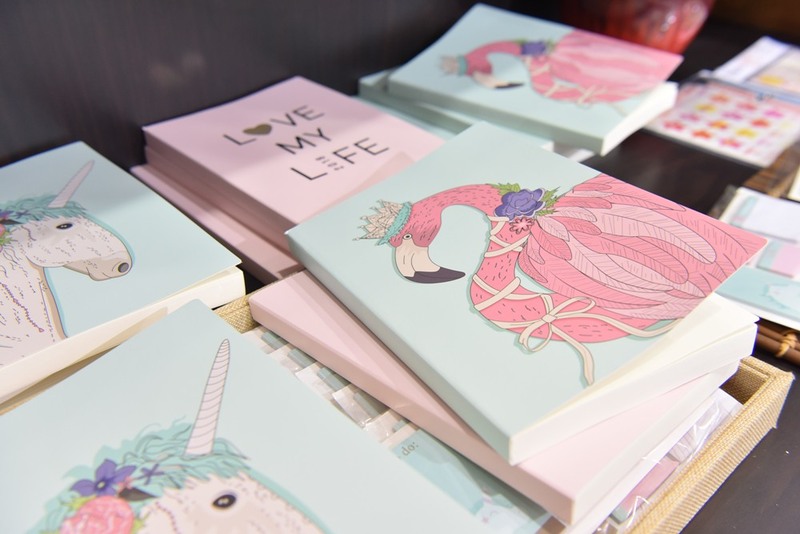 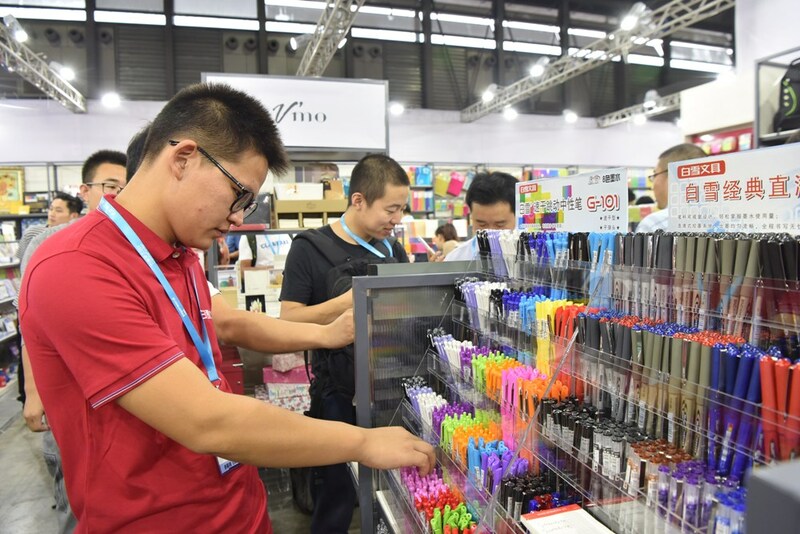 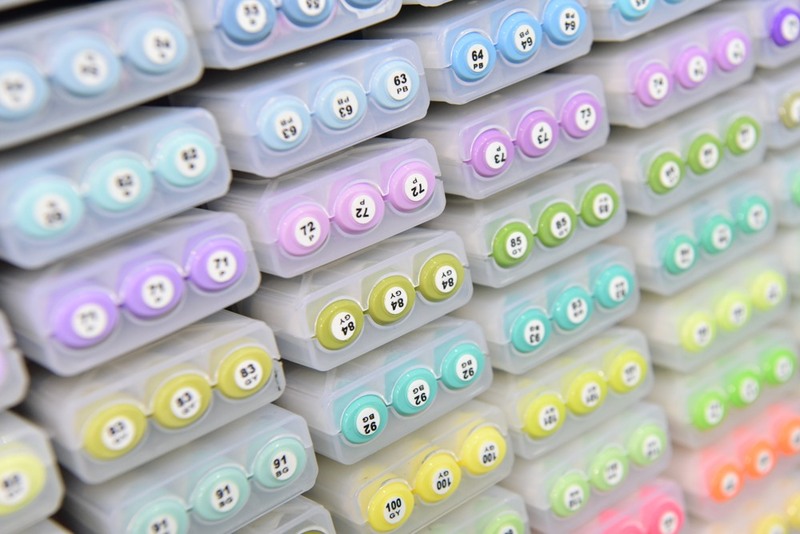 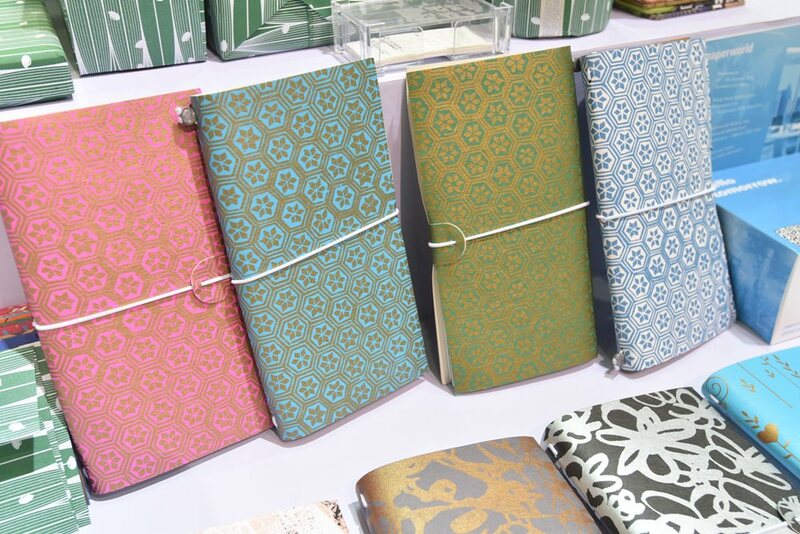 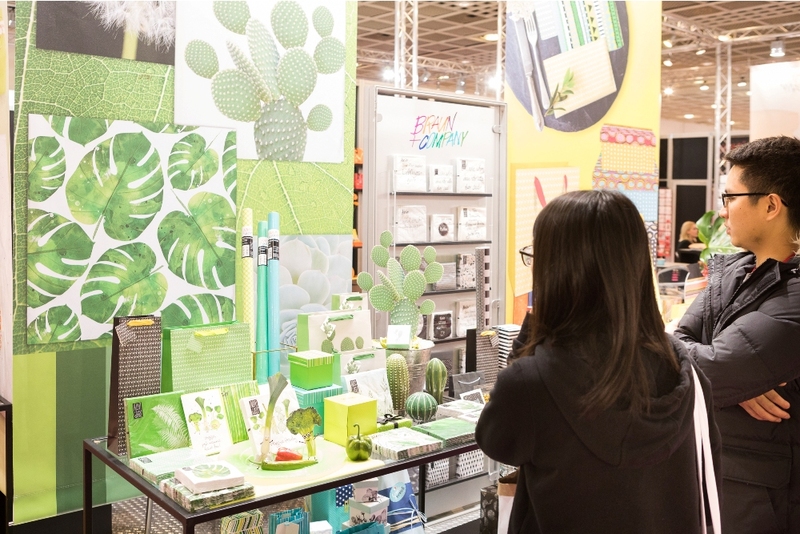 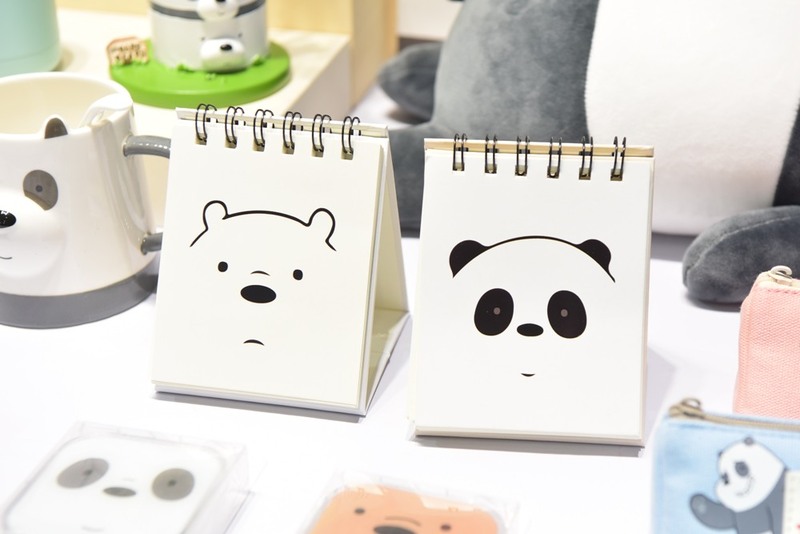 Paperworld China made its debut in Shanghai since 2005 under the name of mother show in Frankfurt – “Paperworld”, which is the world largest trade fair in stationery, office supplies and writing instrument industry. 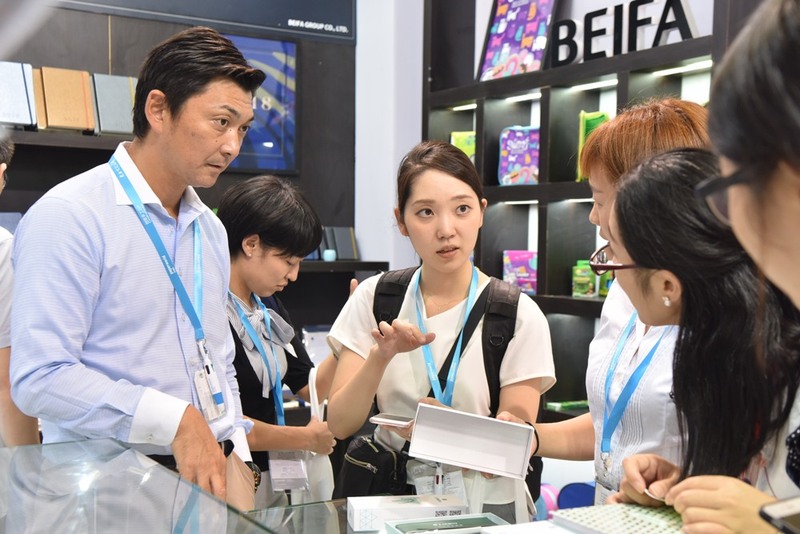 The fair aims at providing the best networking platform for industry players from stationery, office supplies and paper products industry in exchanging knowledge and conducting business. 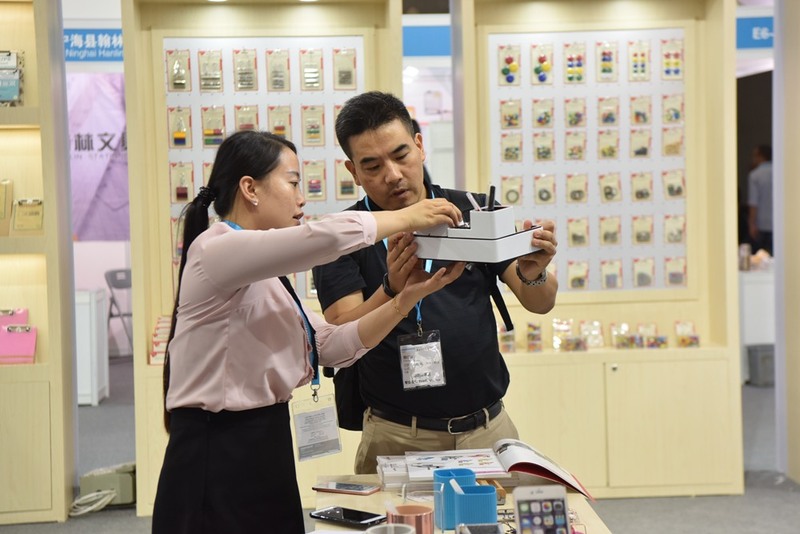 Locating in China, one of the world’s manufacturer bases in the world, Paperworld China is able to work closely with the industry and react quickly to the market change. 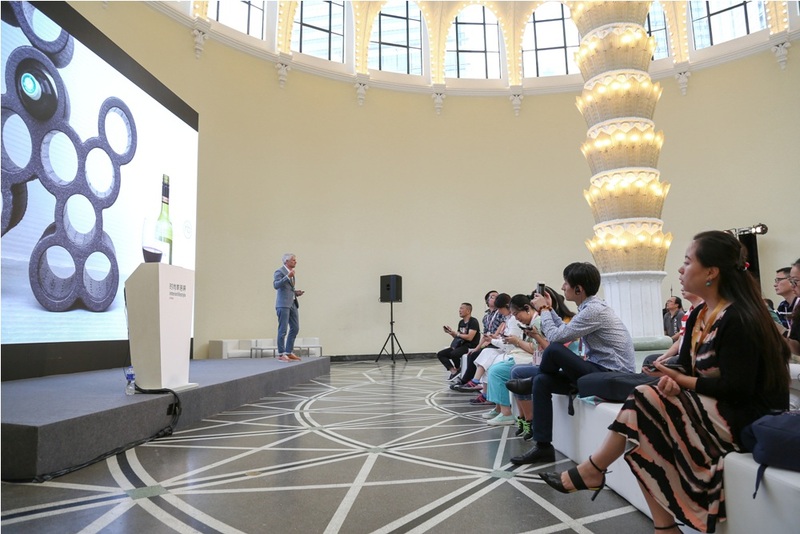 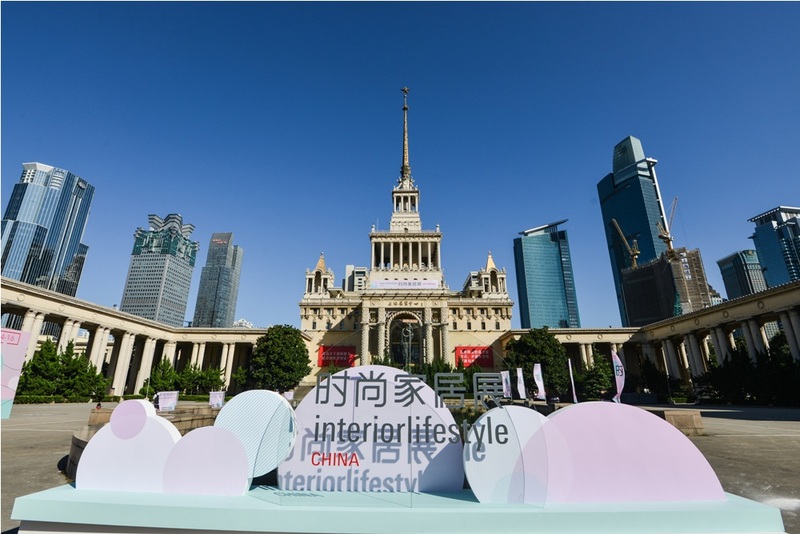 Better Life Starts Here Interior Lifestyle China, the foremost and trendsetting international event for the Chinese mid to high-end consumer goods market, is the perfect stage to expand your business. 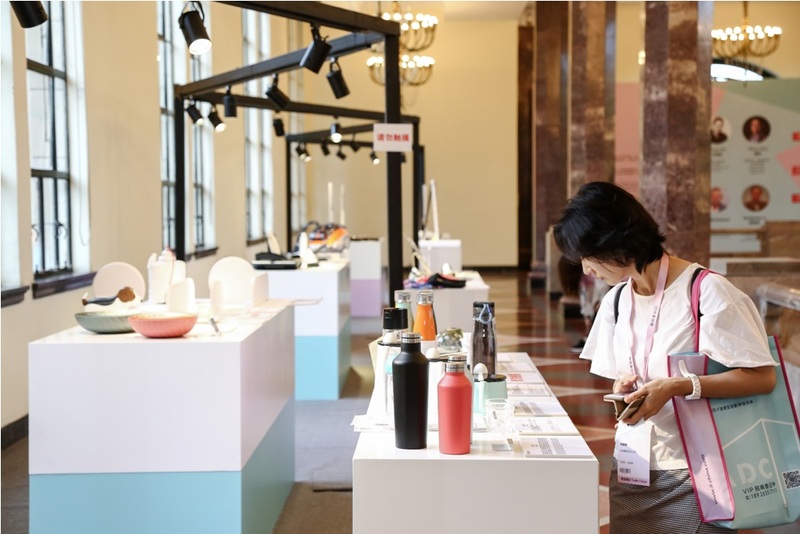 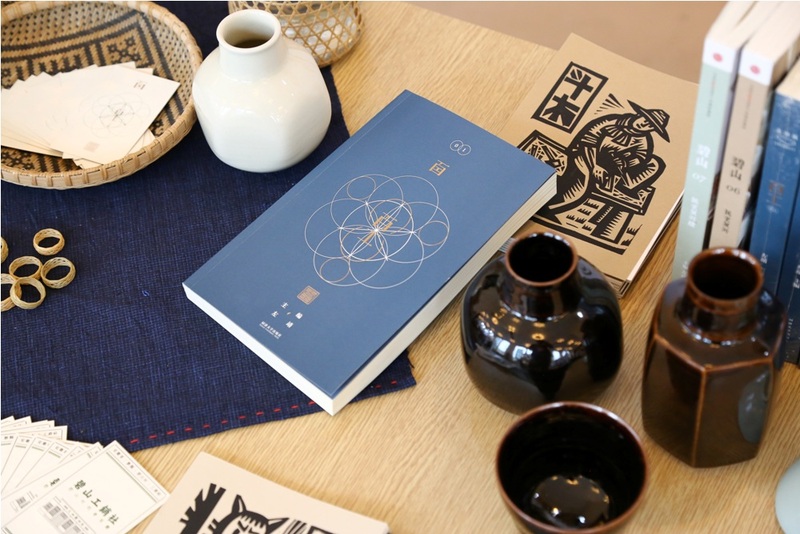 Drawing from the success of Ambiente, the world’s leading international consumer-goods fair, Interior Lifestyle China is not only an effective platform for national brands to intensify their businesses, but also the ideal stepping stone for international brands to enter the Chinese market. 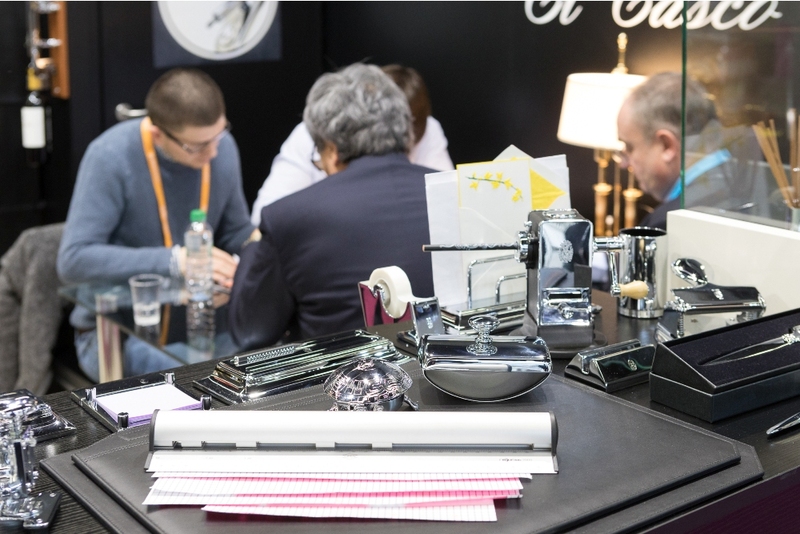 Meeting the Right People at the Right Place. 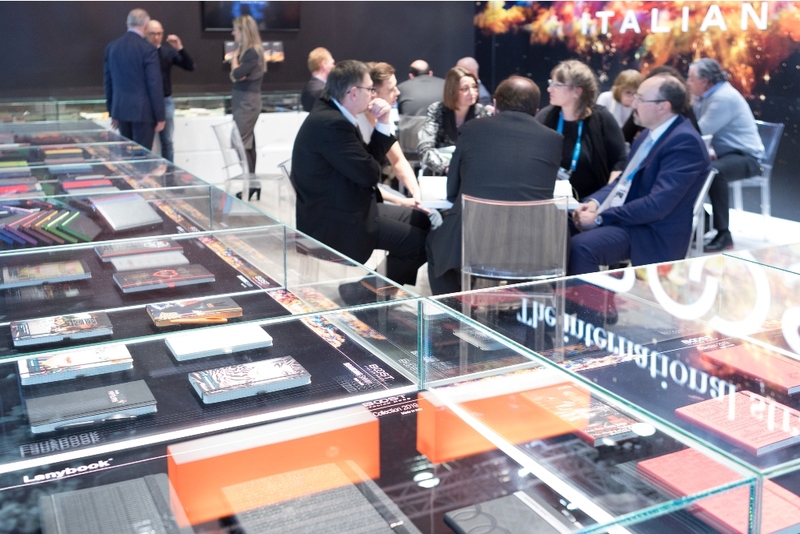 In a fast-growing yet ever-changing market, getting the right contacts is essential for your business development. 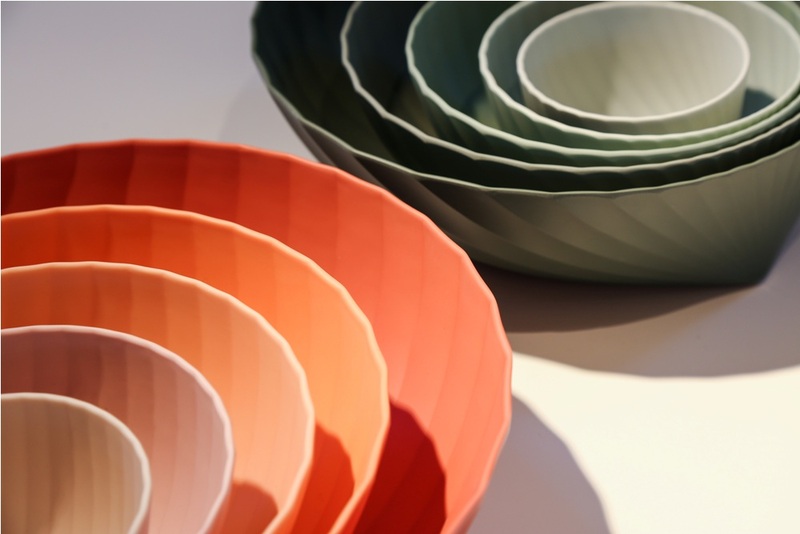 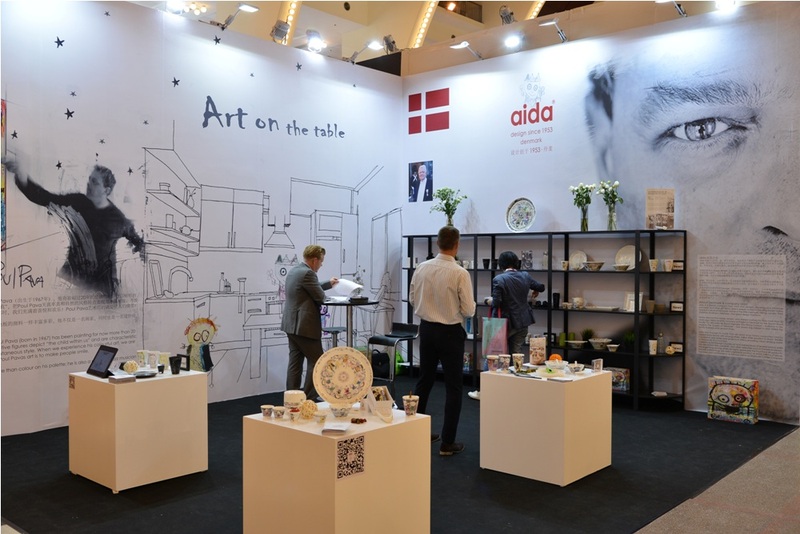 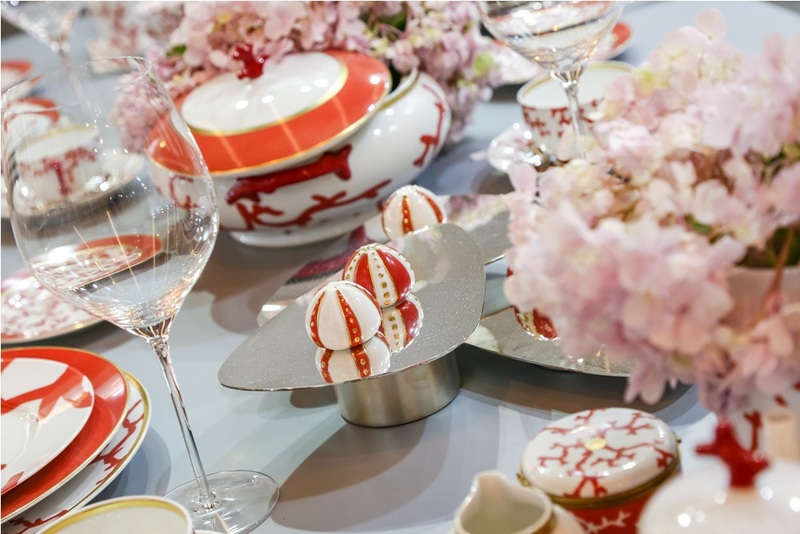 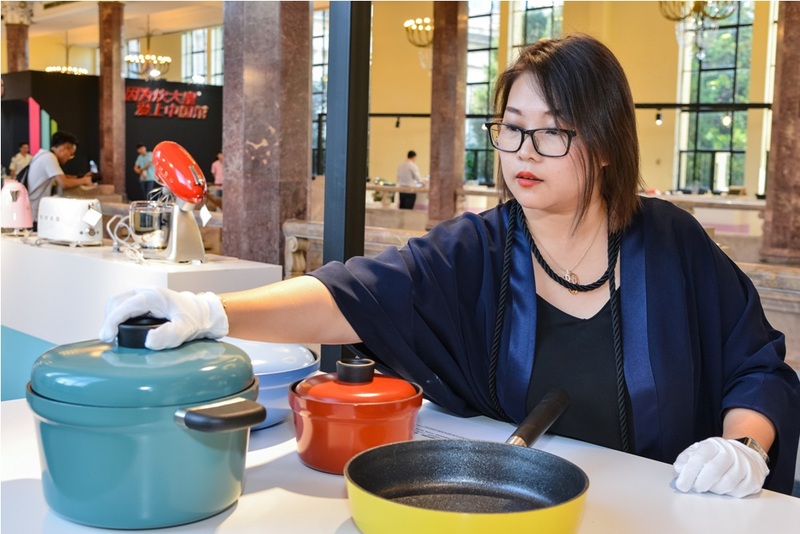 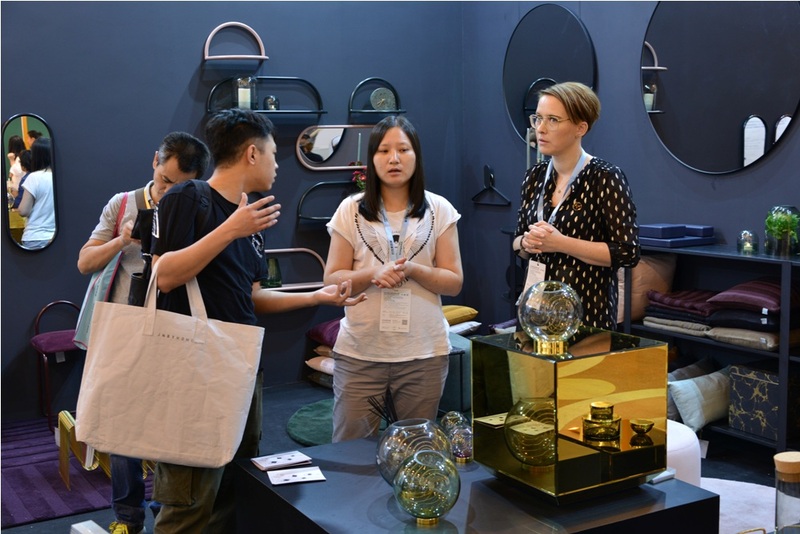 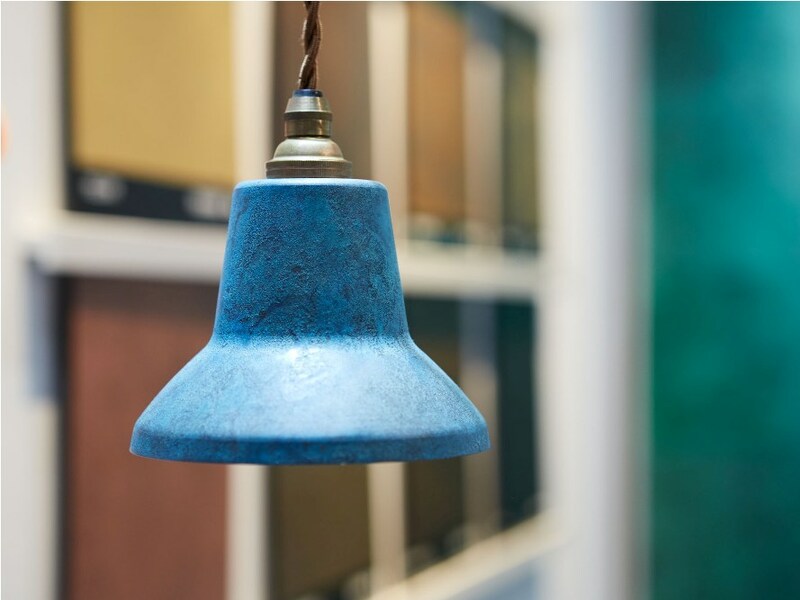 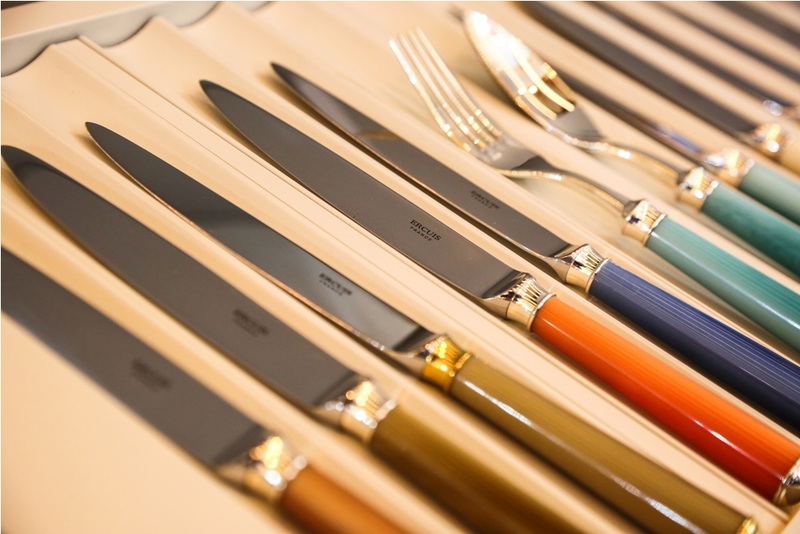 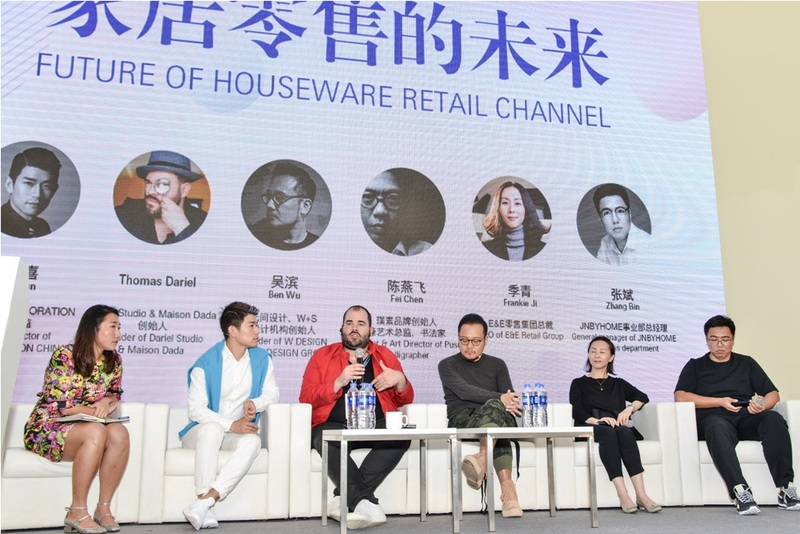 Being the only trade-show in the China market for mid-to-high end housewares and interior design products, Interior Lifestyle China is the most effective platform for businesses to engage with high quality business partners in China. 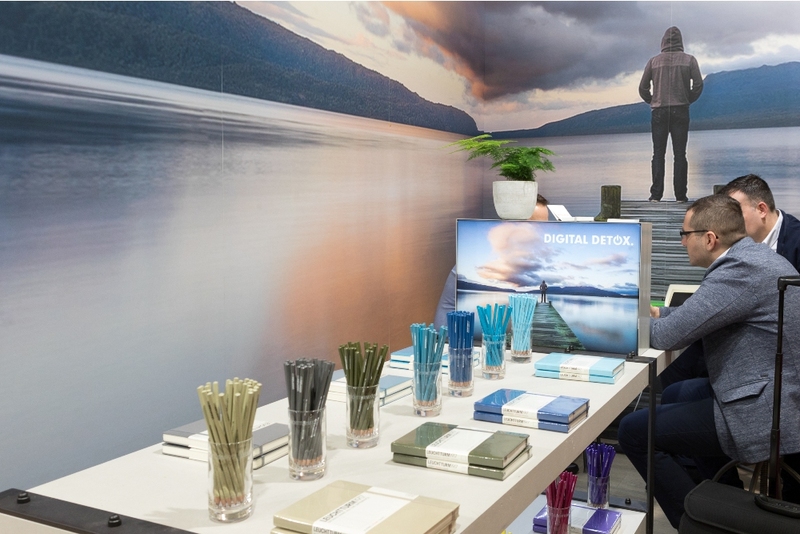 An Integrated Marketing Solution. 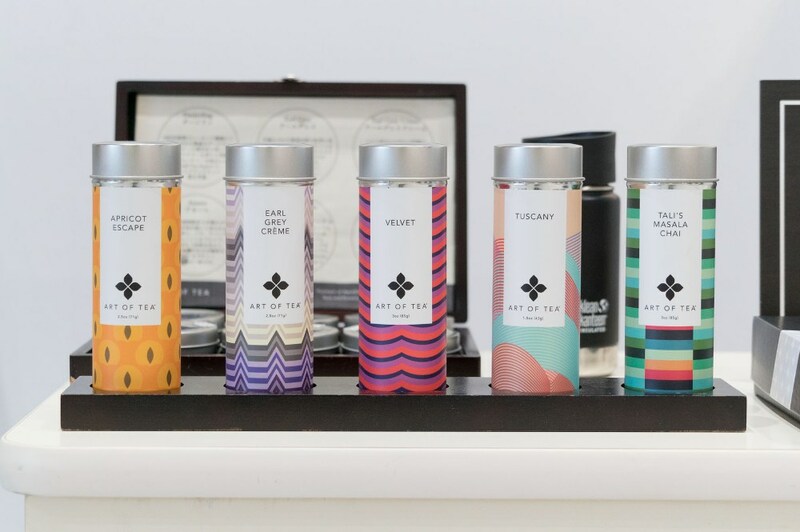 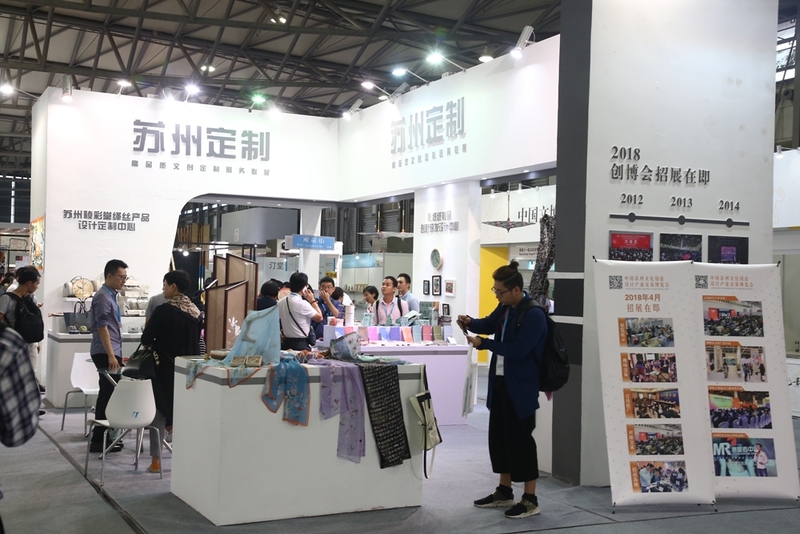 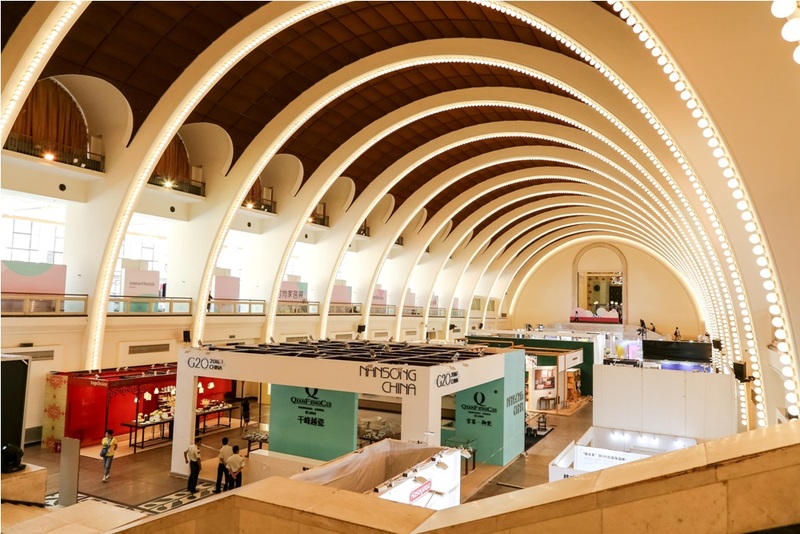 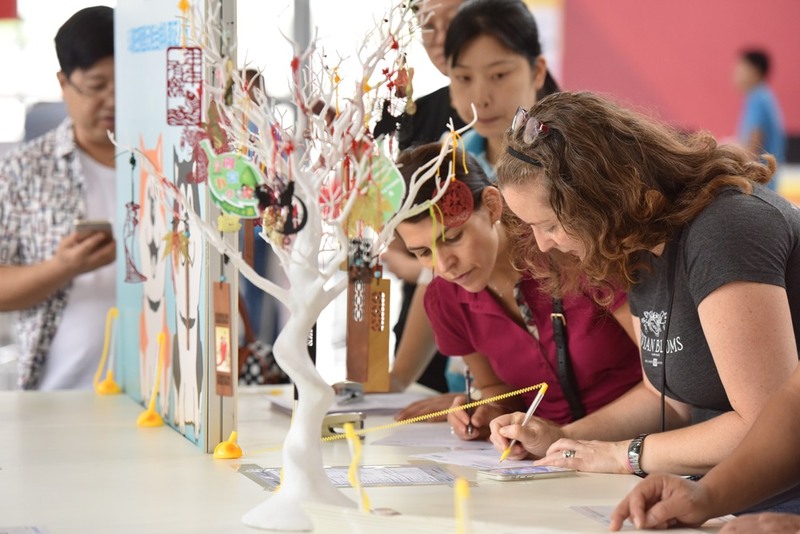 Going beyond a trade fair, the fair offers well-developed marketing solutions for businesses that are eager to tap into or further expand their China business. 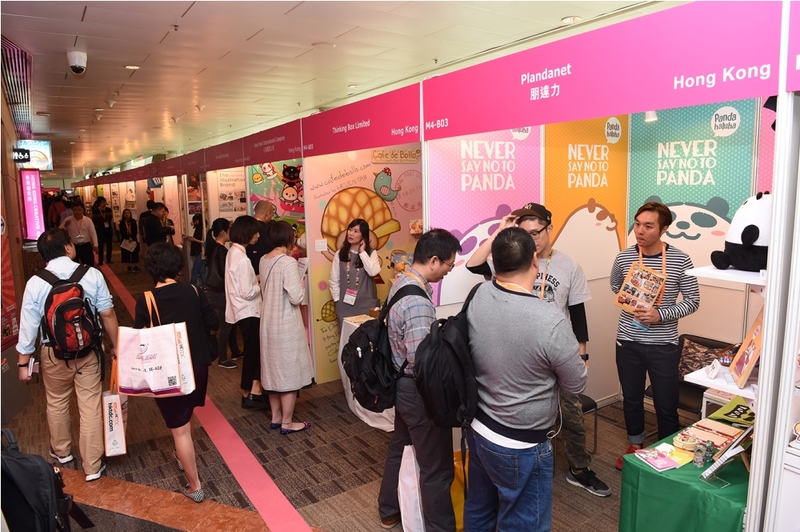 Through the fair’s official social media platforms like WeChat & Facebook, coverage in the fair’s press releases and e-newsletters, road shows, onsite business matching as well as the theme display, your brand will be known in this profitable market long before the fair opens. 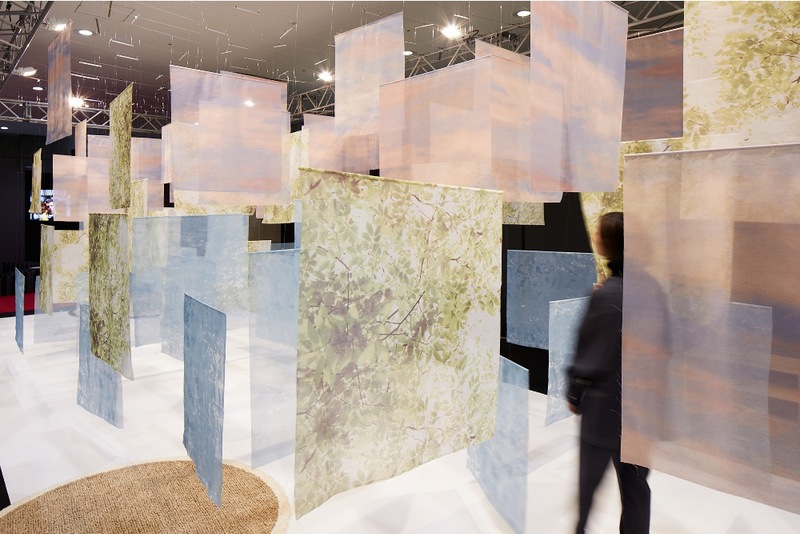 Discover the Bigger Picture. 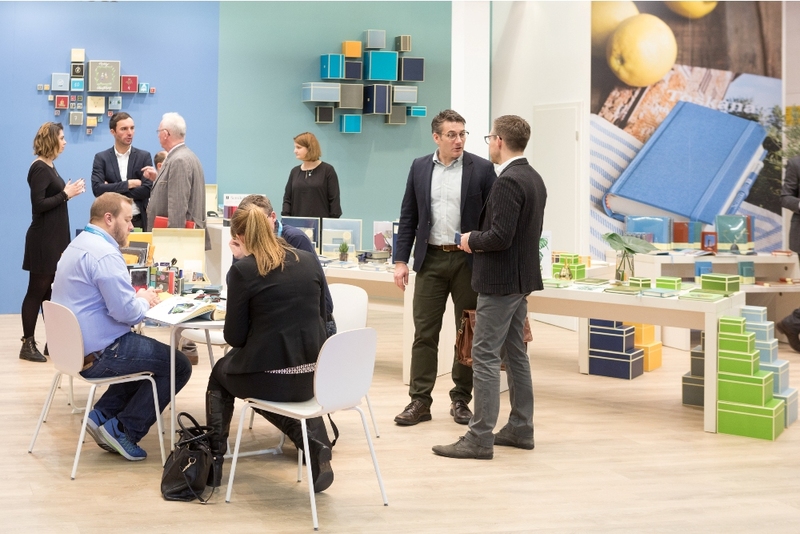 Not only where business gets done, the fair is also a place for you to discover the whole market picture and strengthen your marketing strategies. 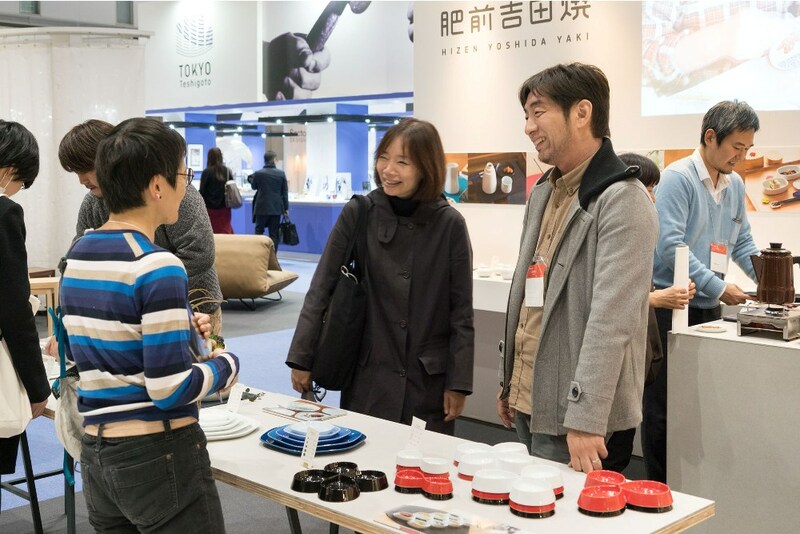 And a series of discussion forums and special display zones for new products and trends will reveal the latest market and technology trends, expertise, industry insights and design ideas.